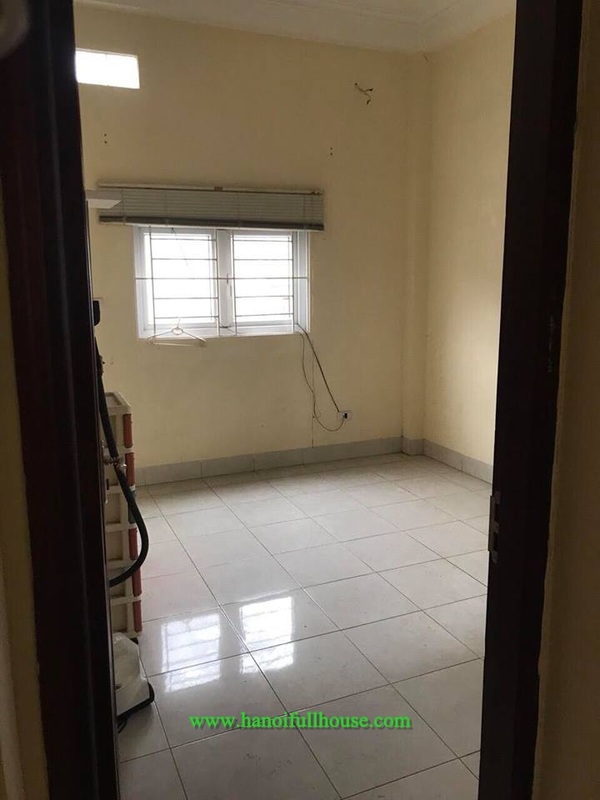 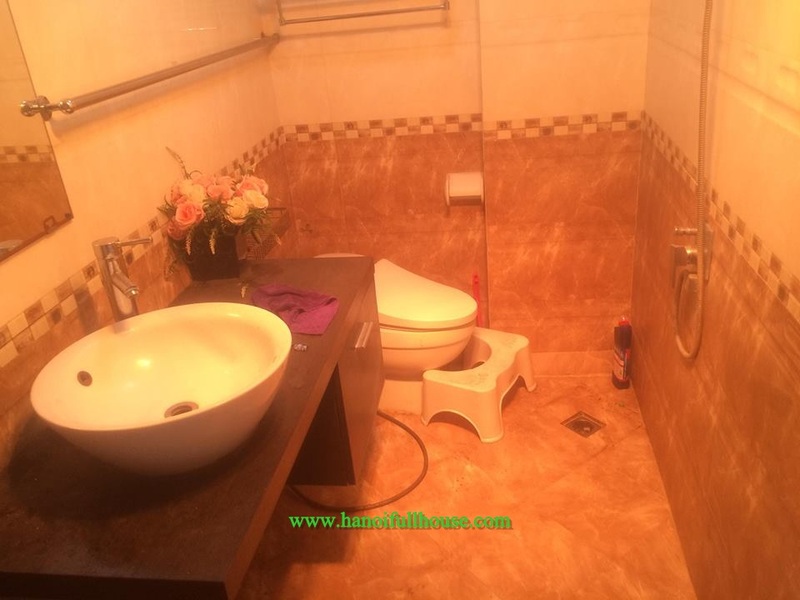 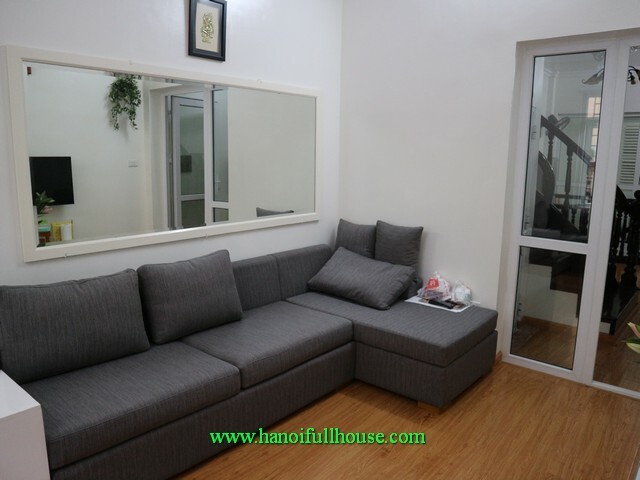 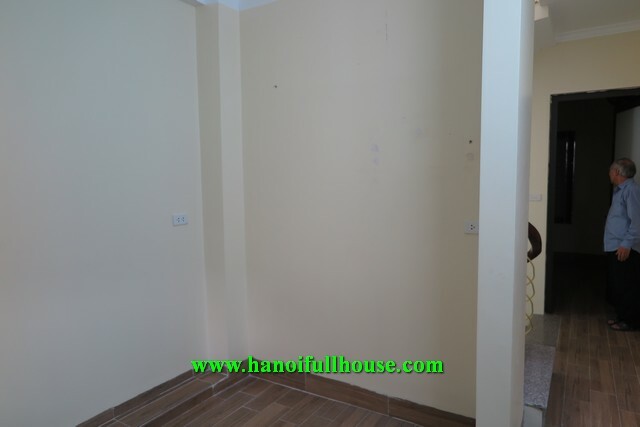 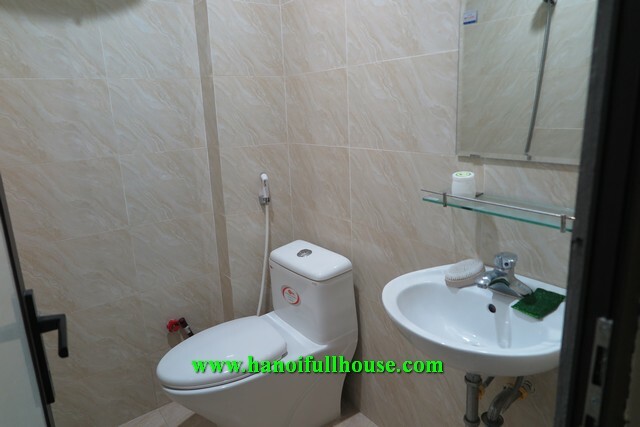 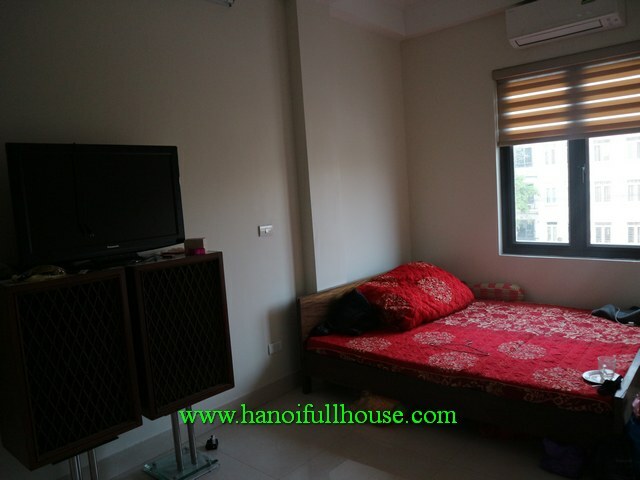 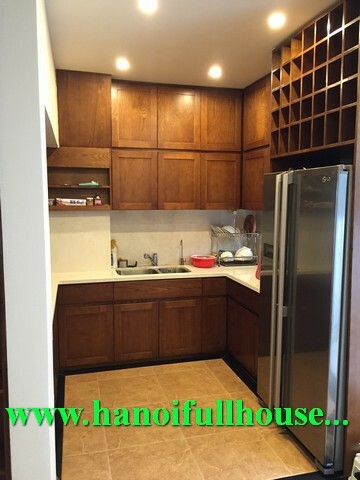 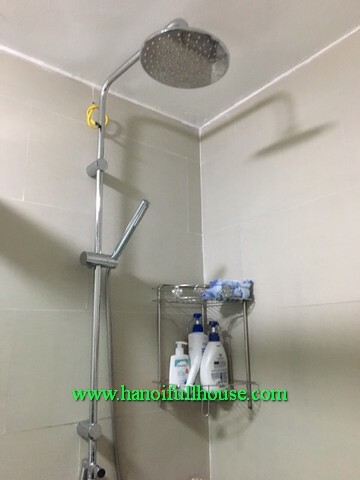 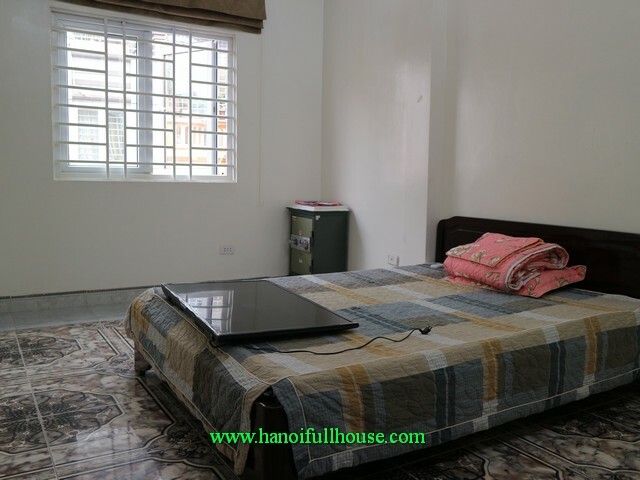 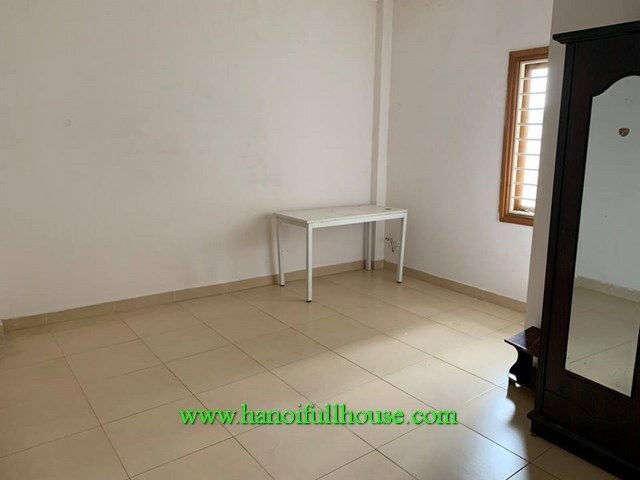 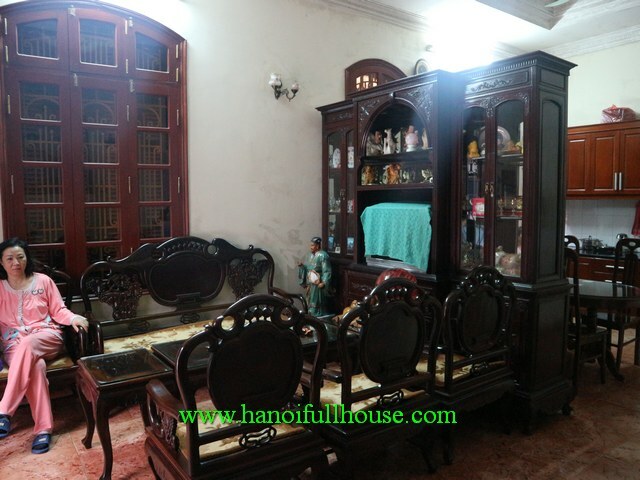 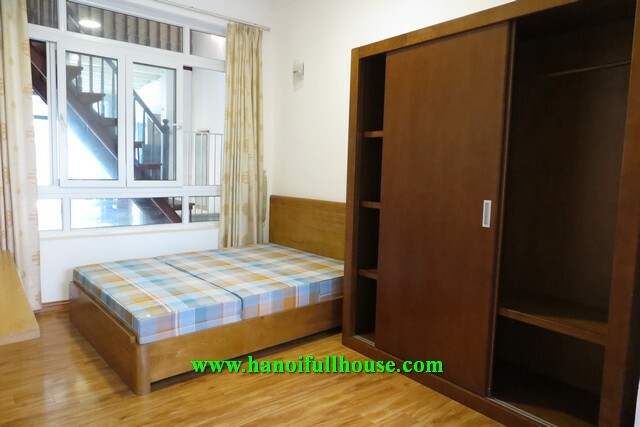 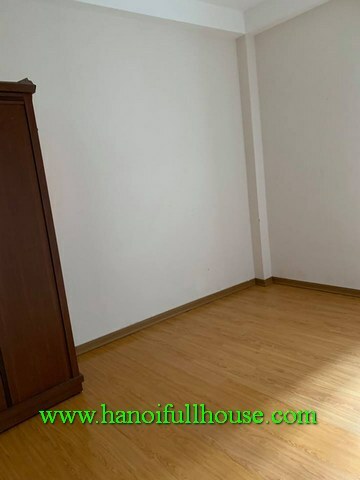 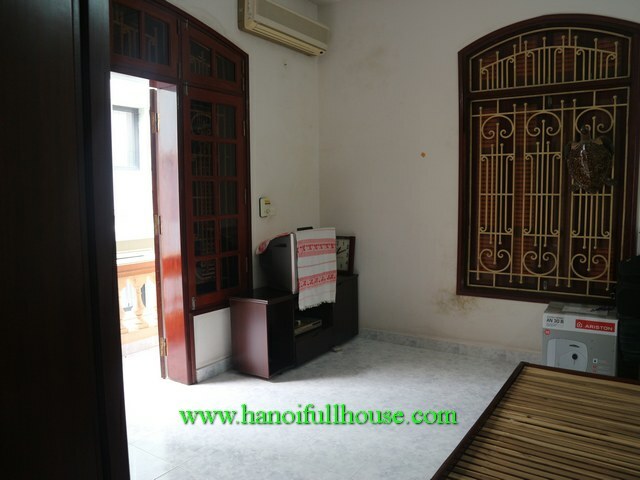 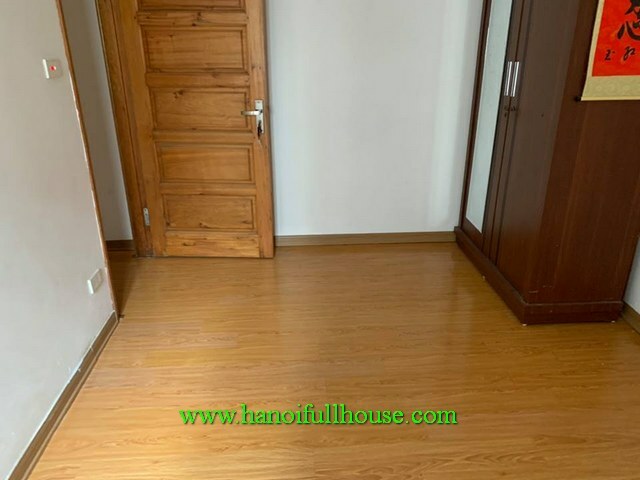 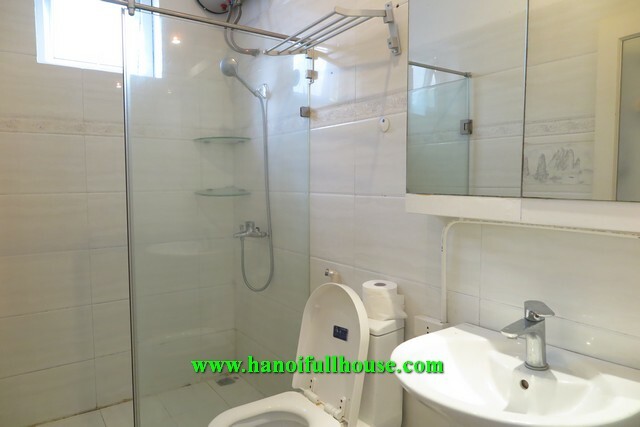 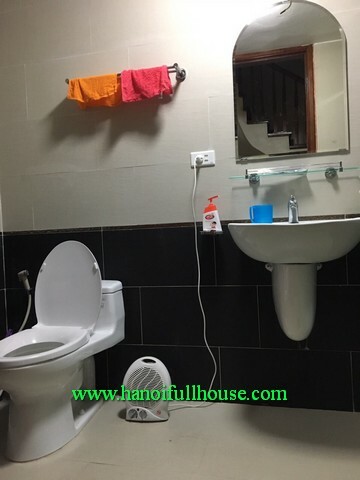 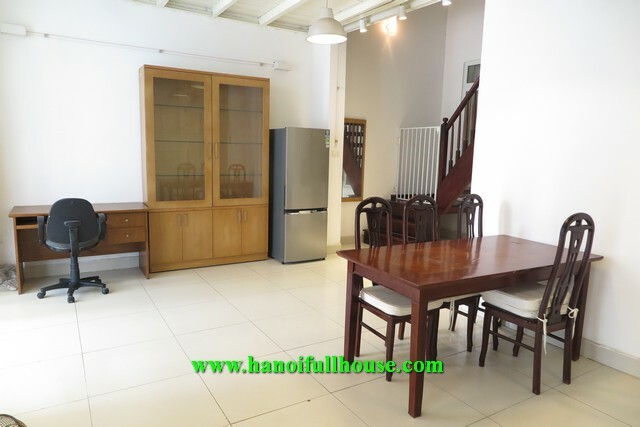 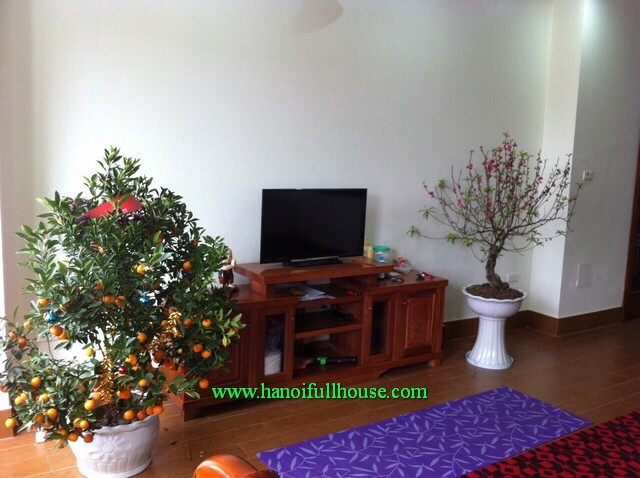 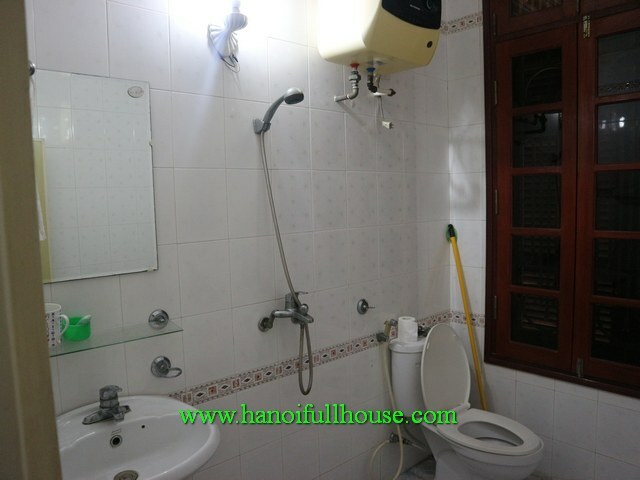 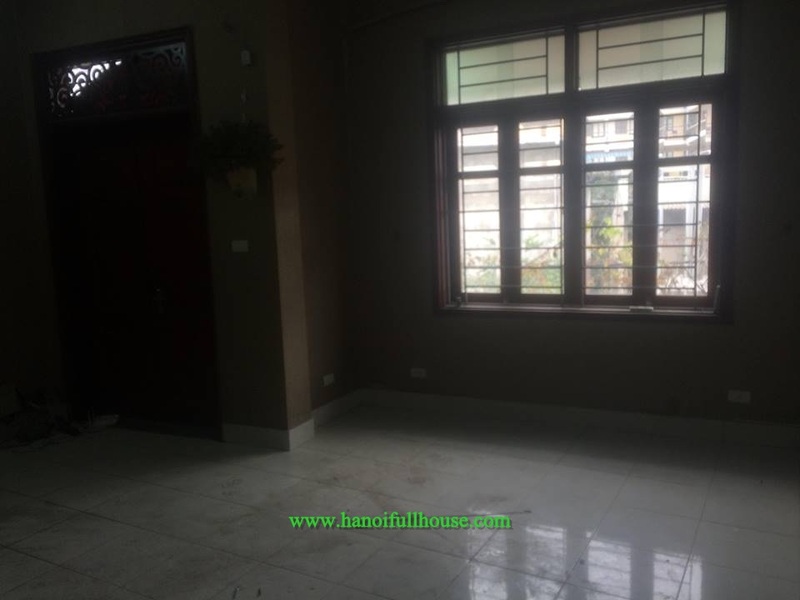 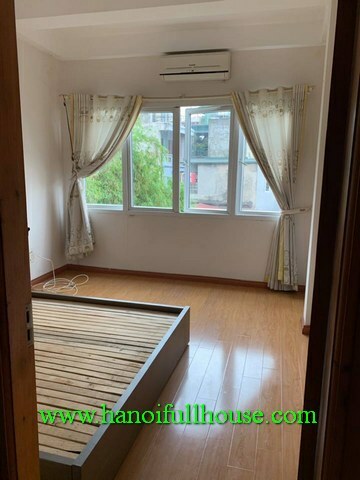 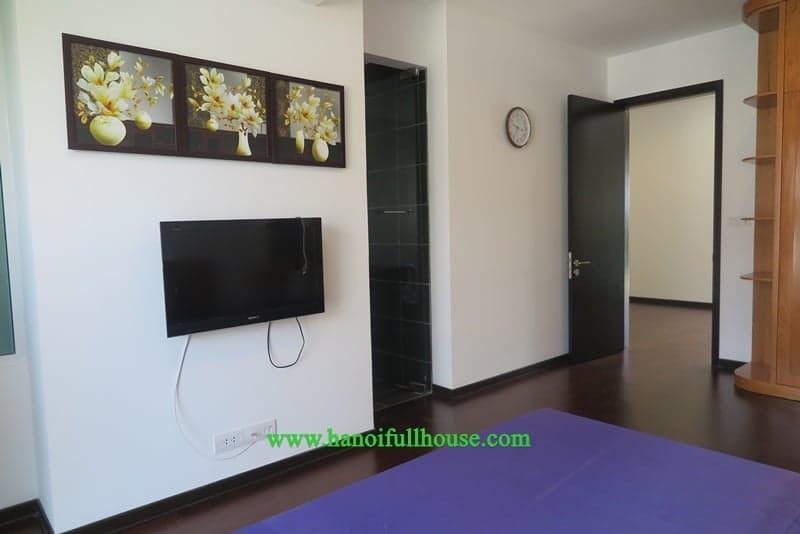 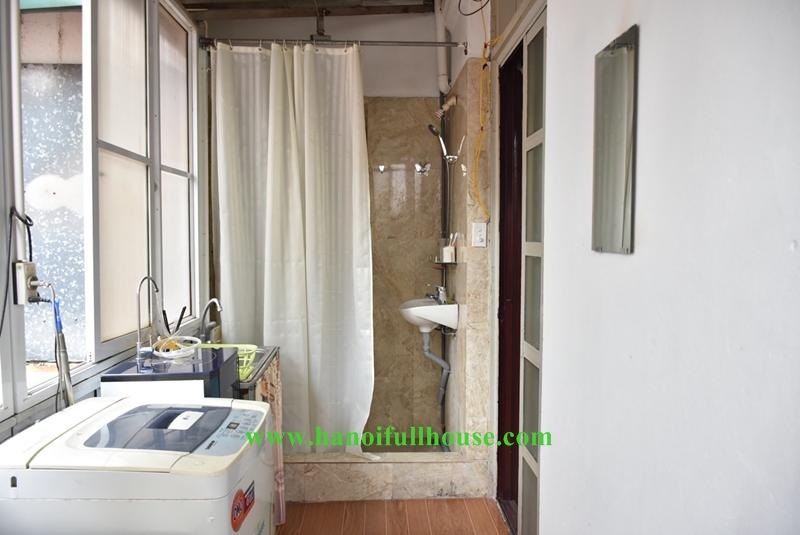 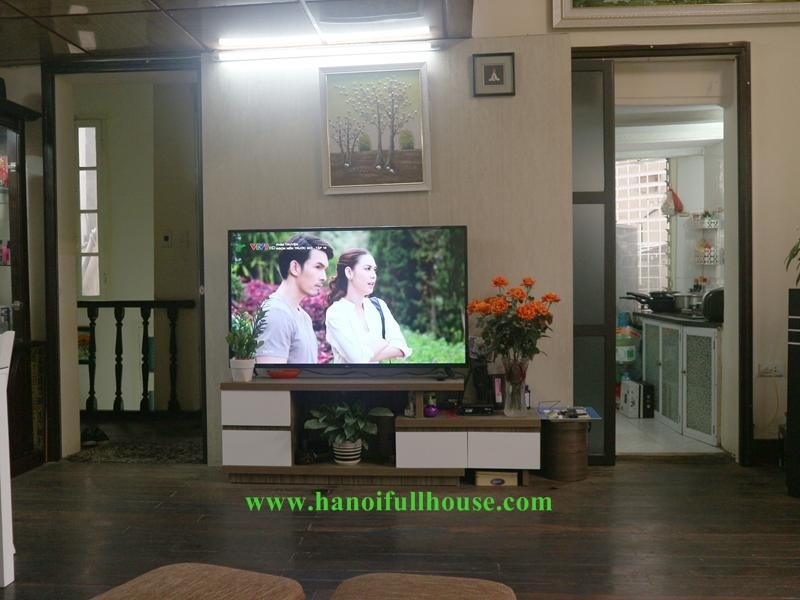 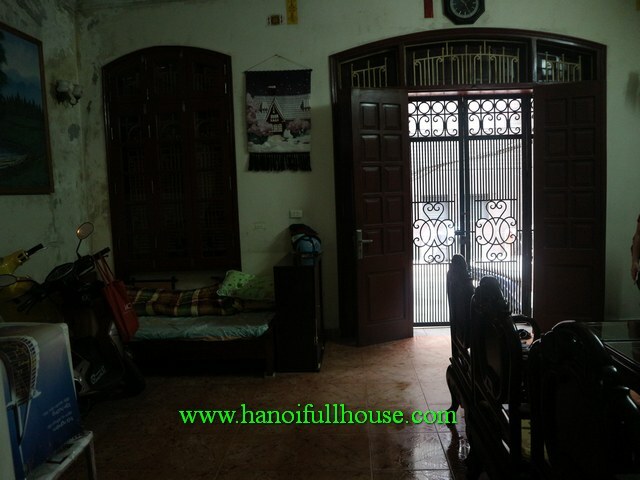 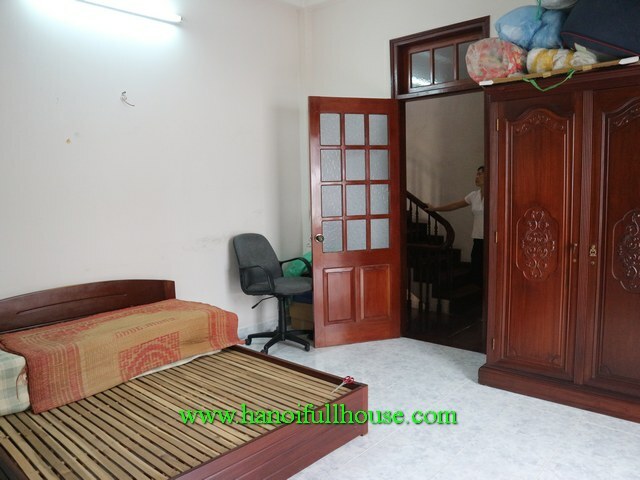 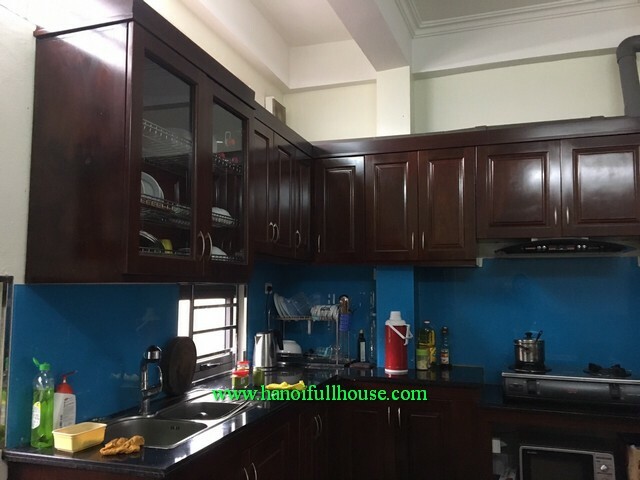 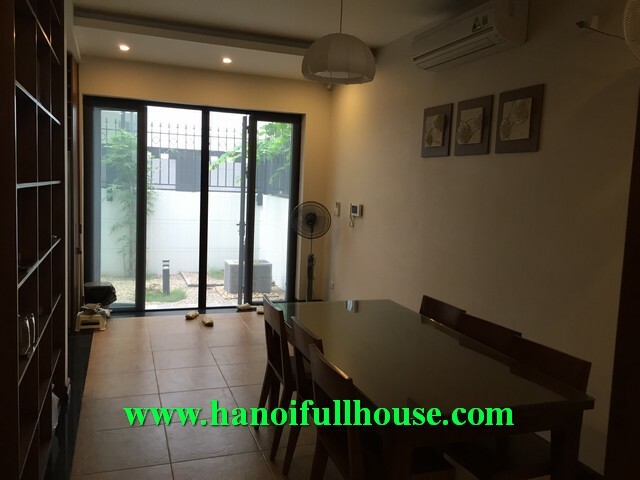 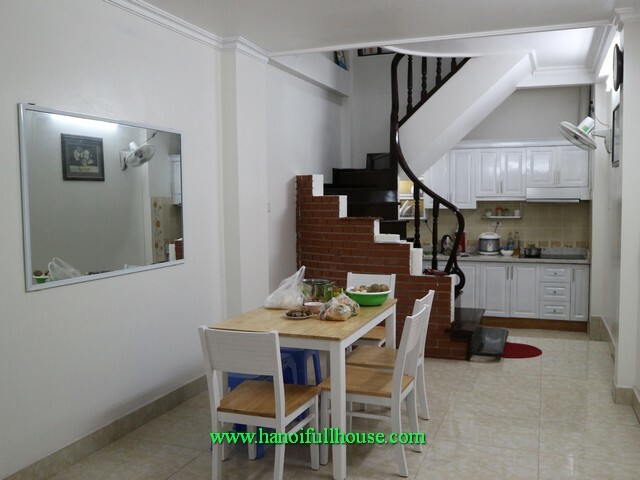 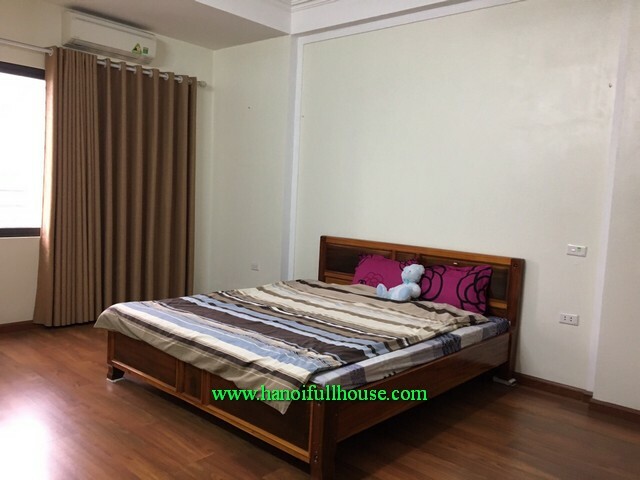 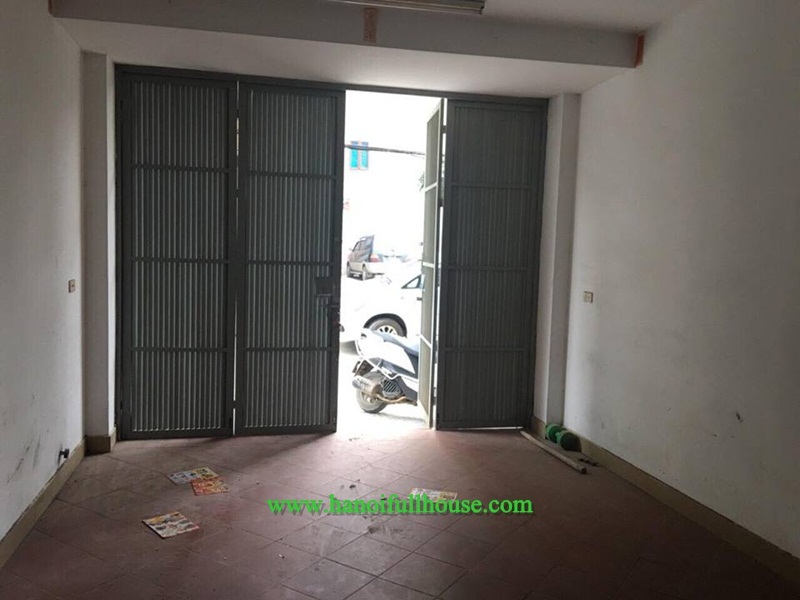 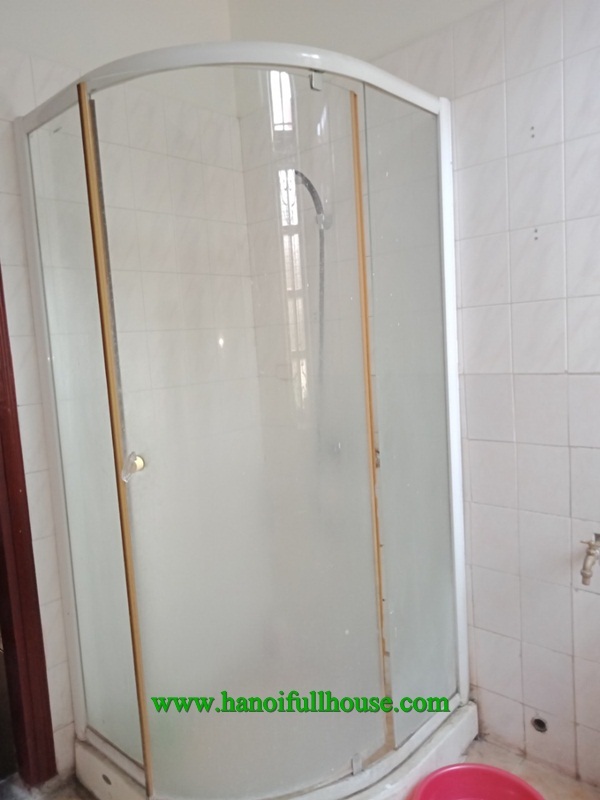 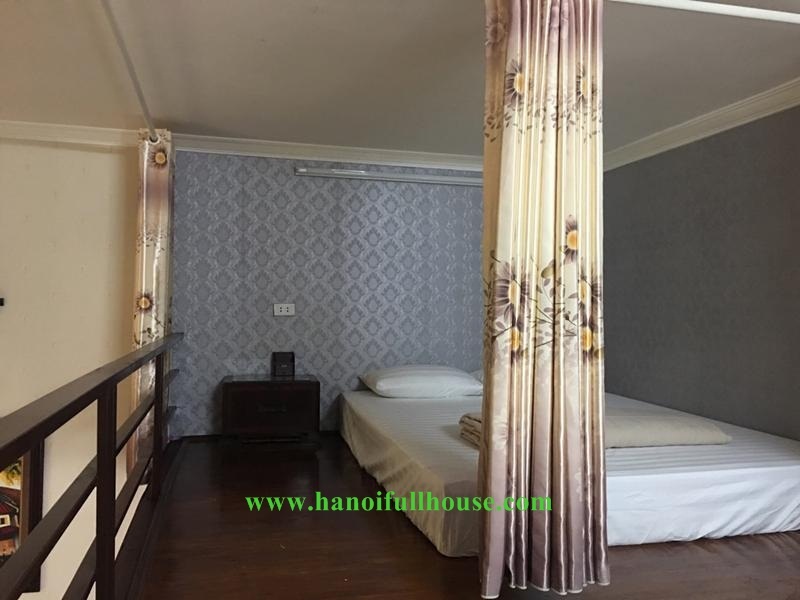 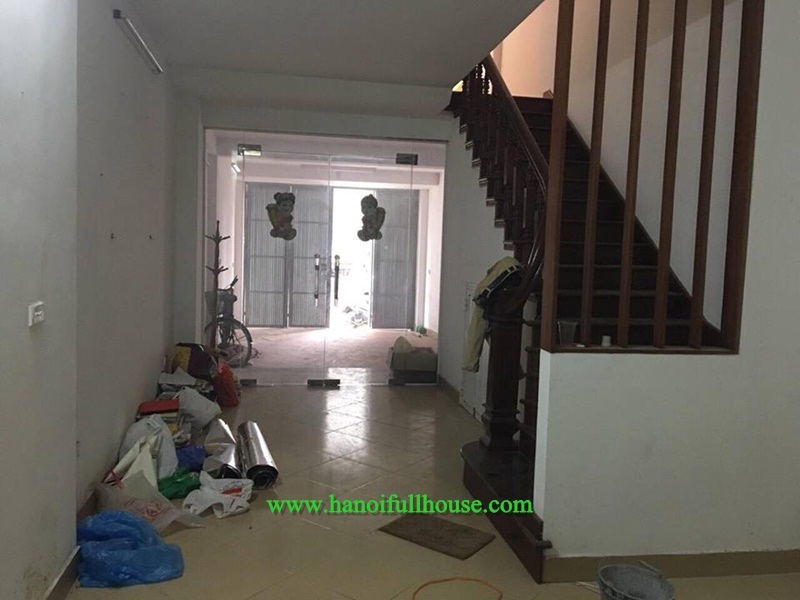 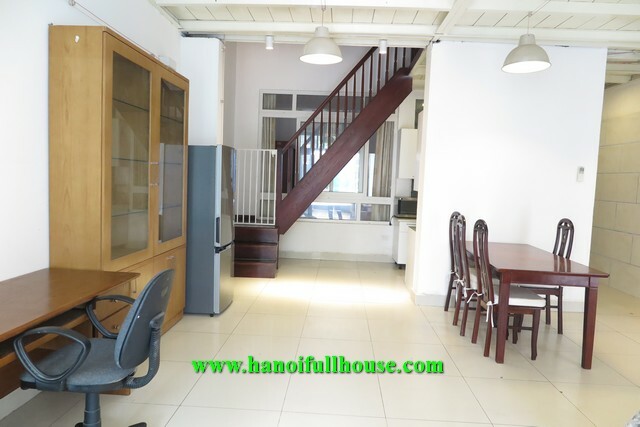 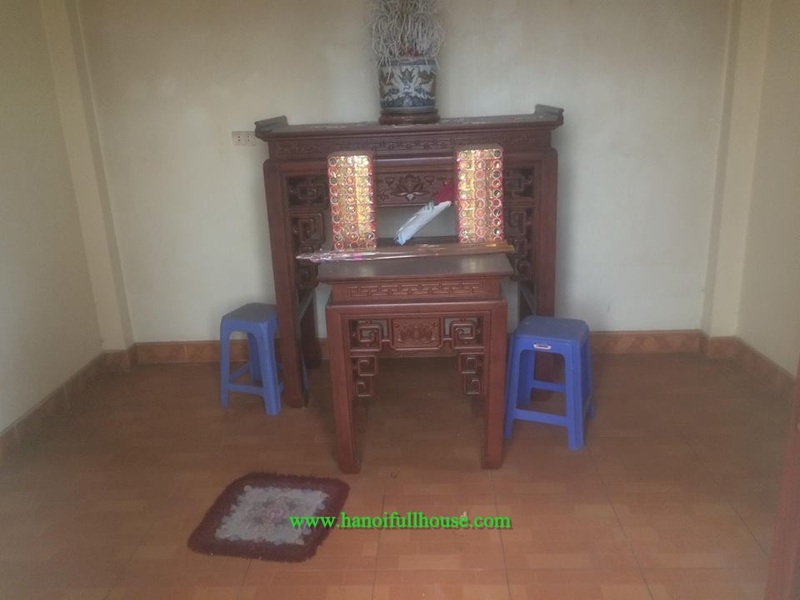 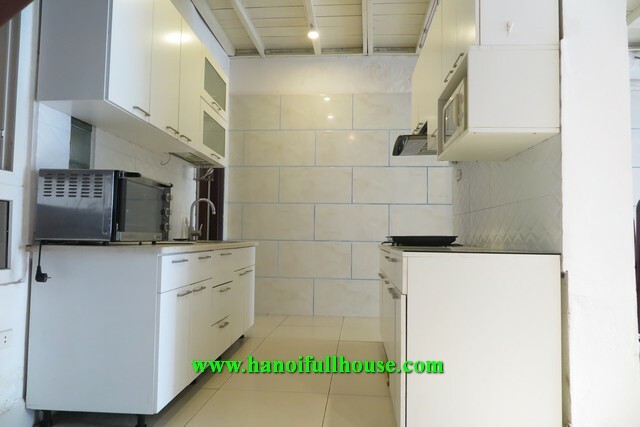 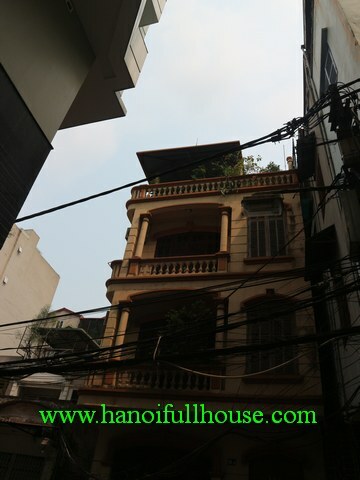 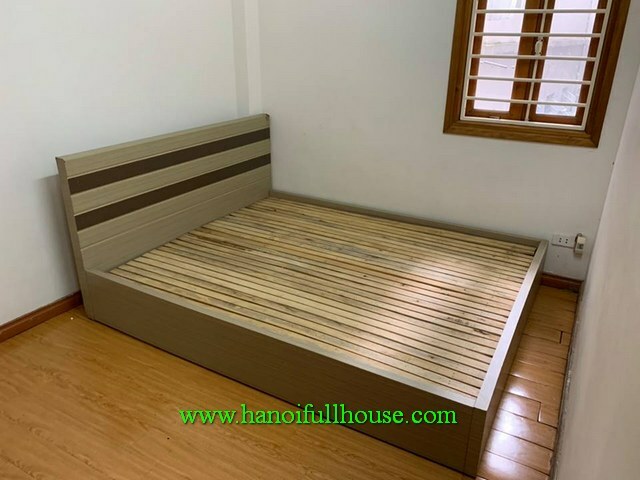 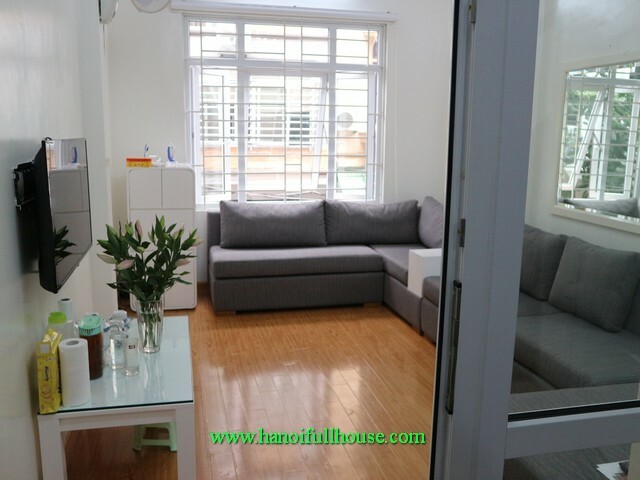 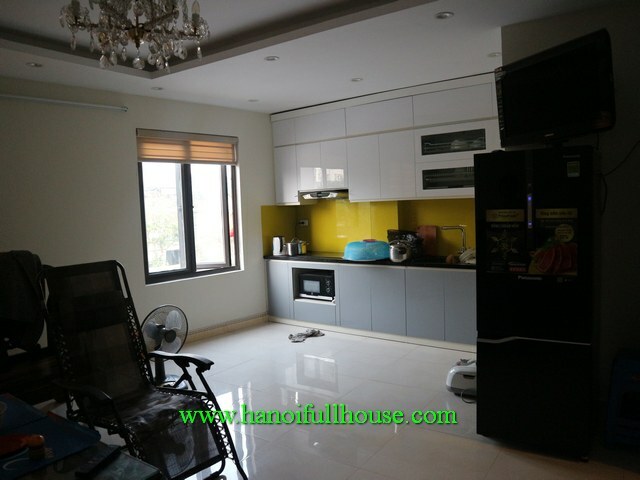 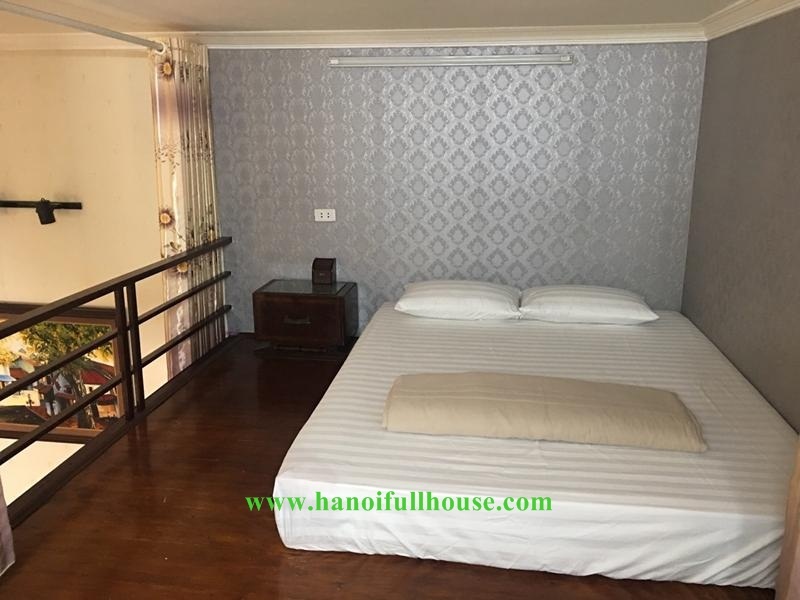 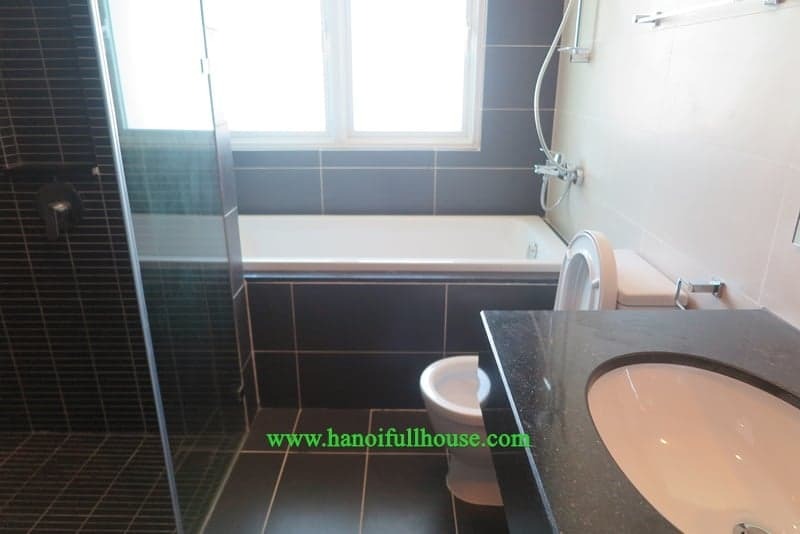 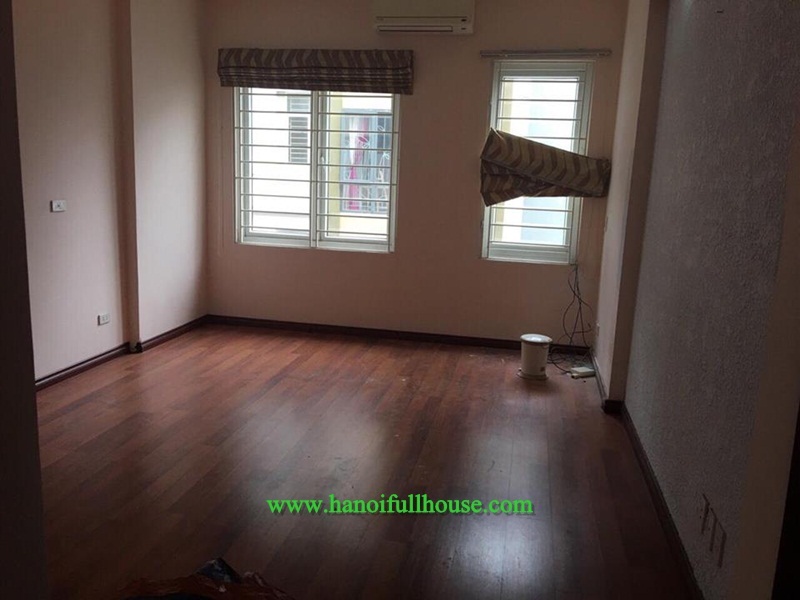 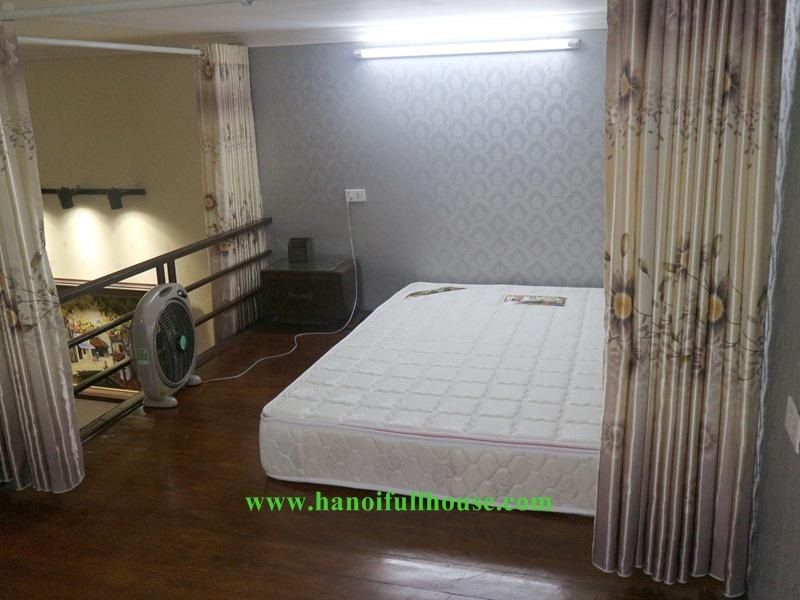 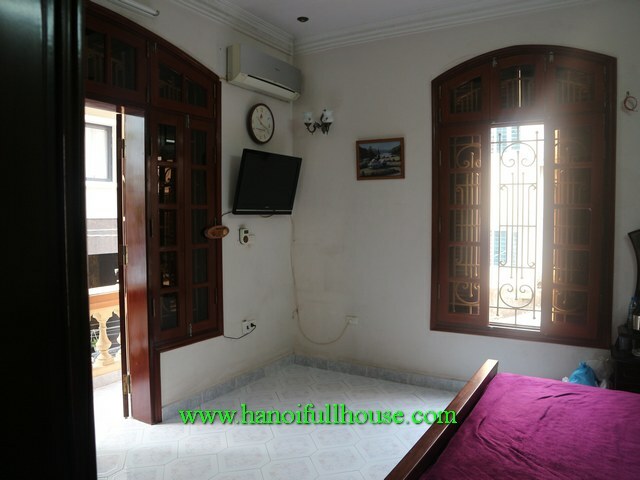 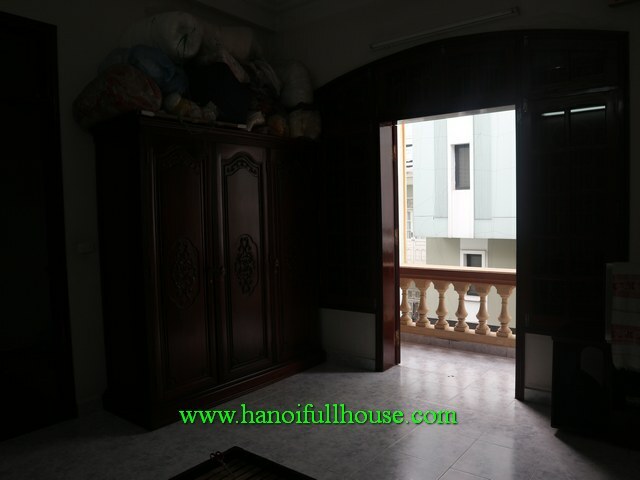 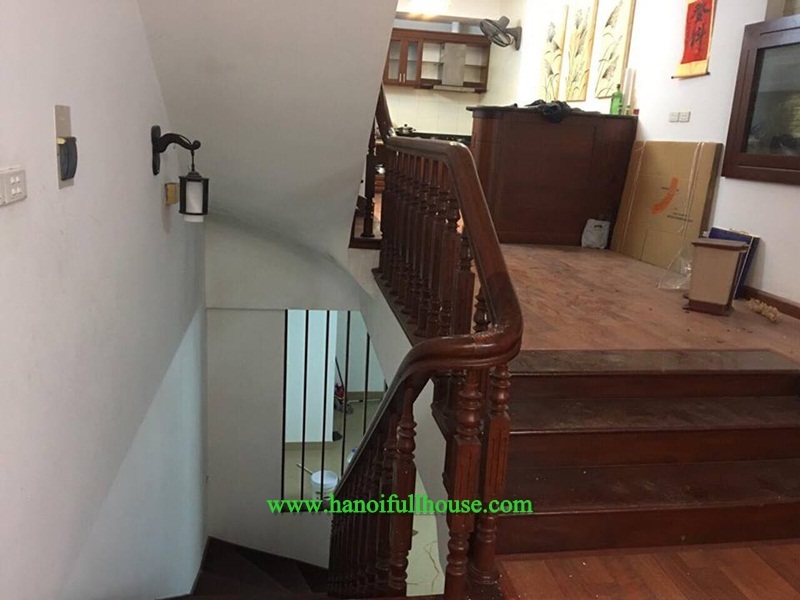 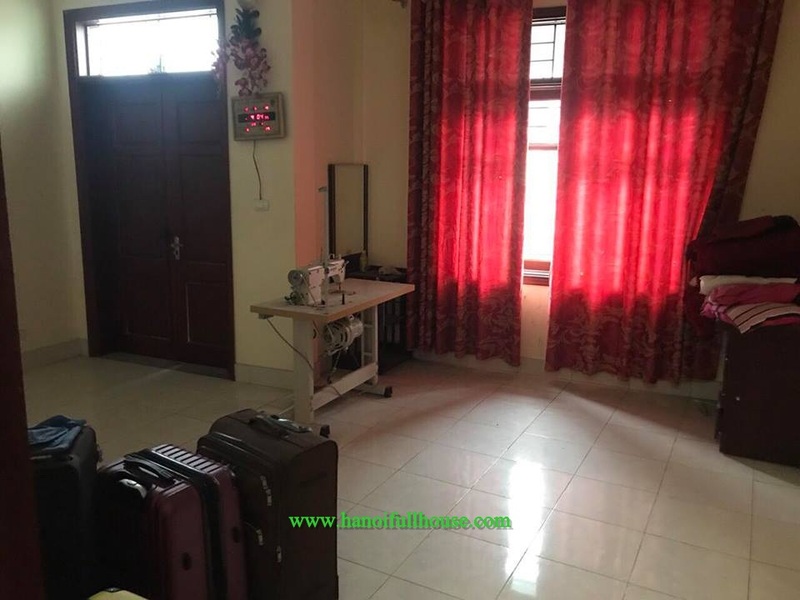 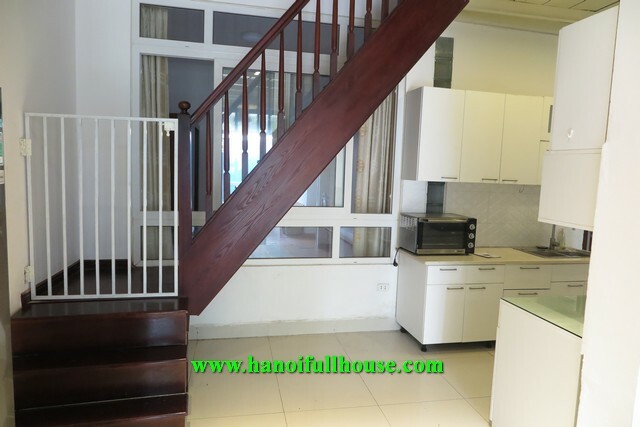 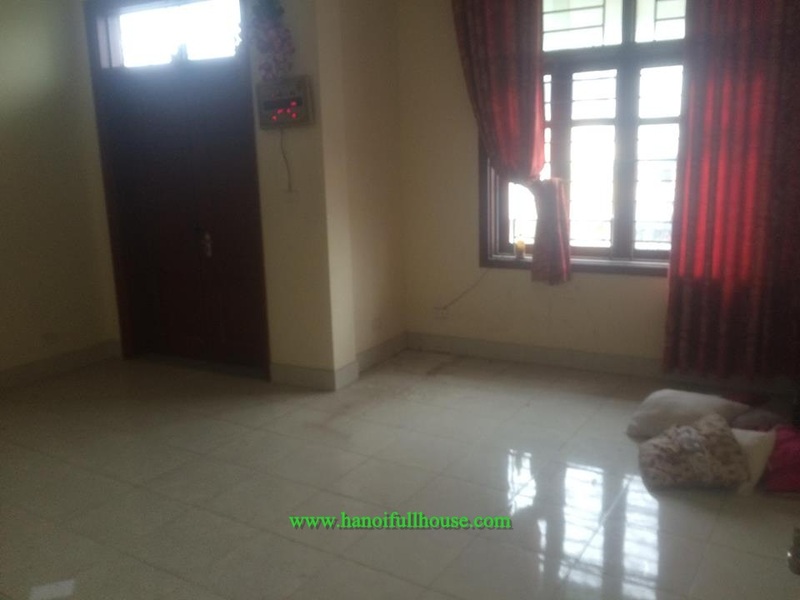 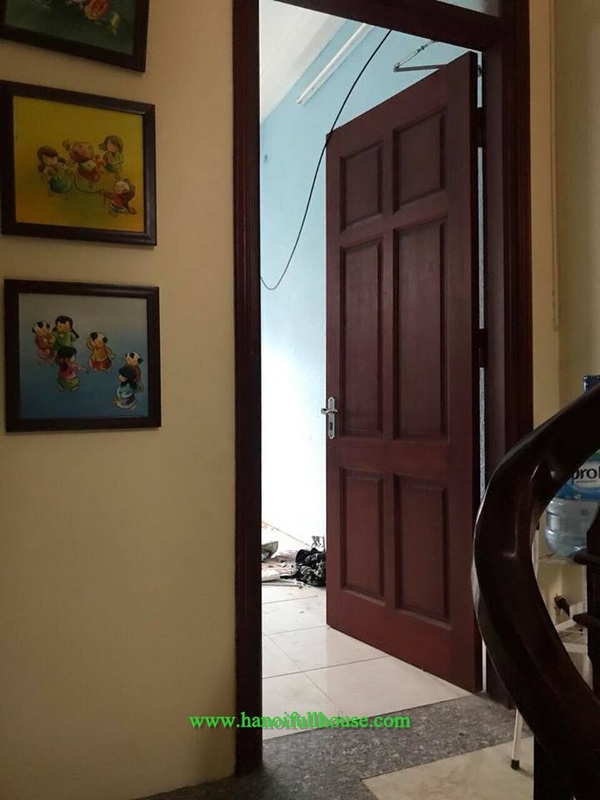 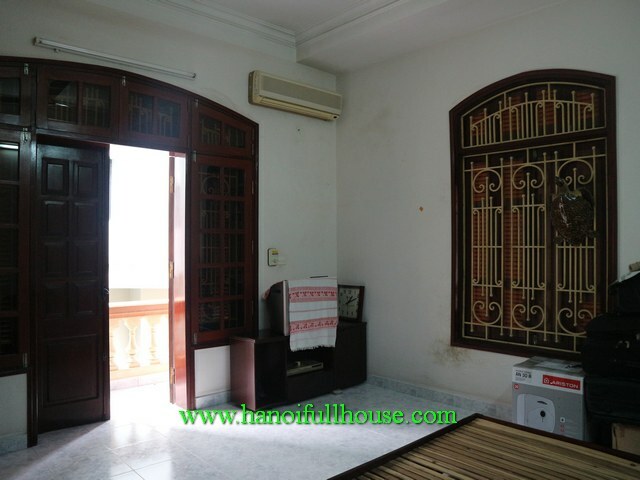 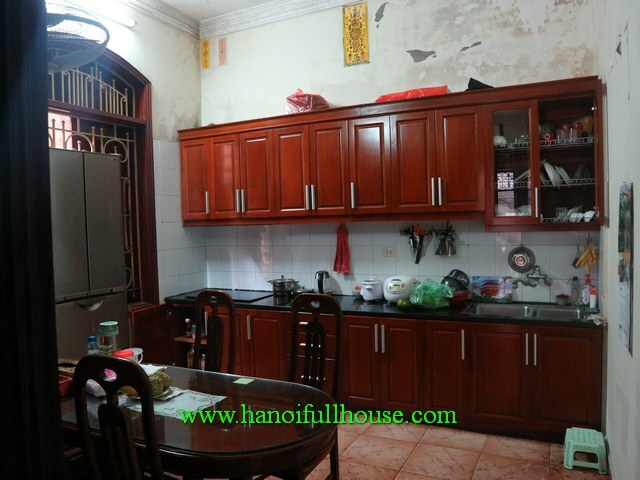 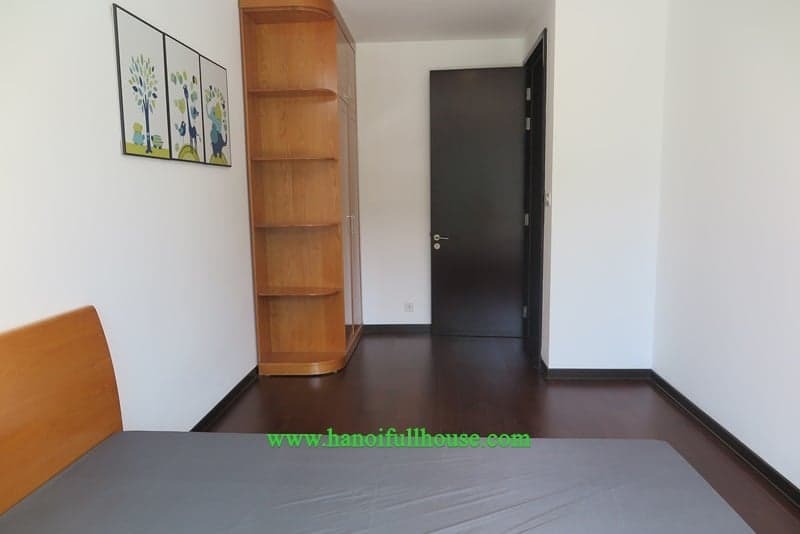 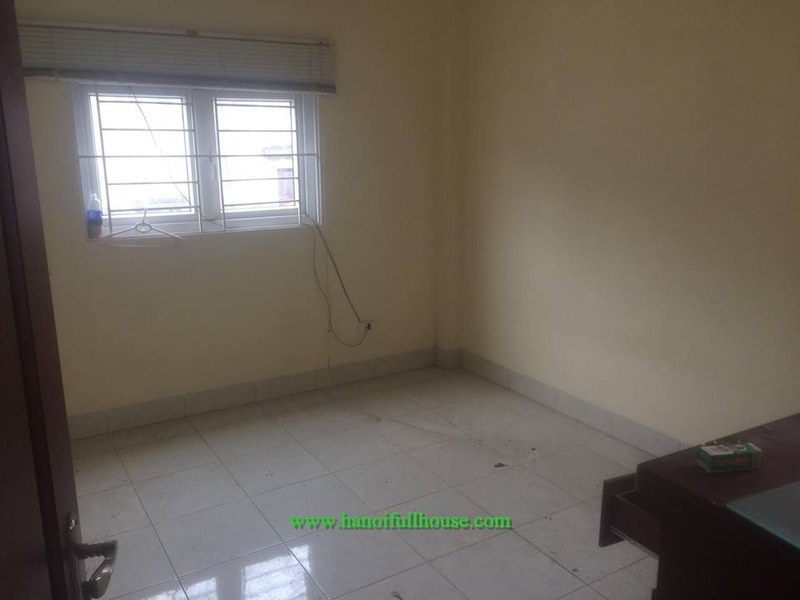 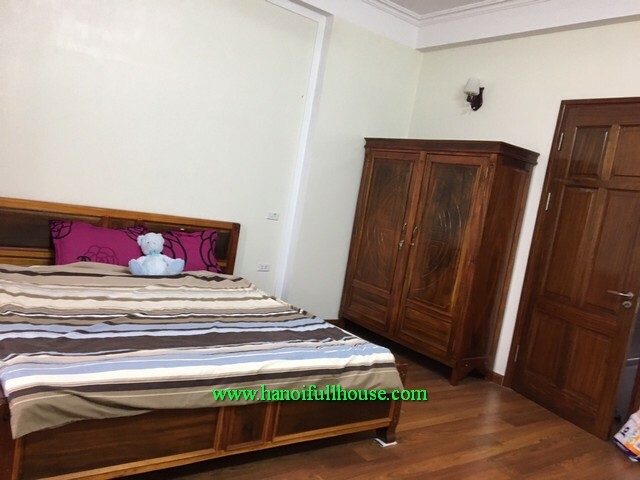 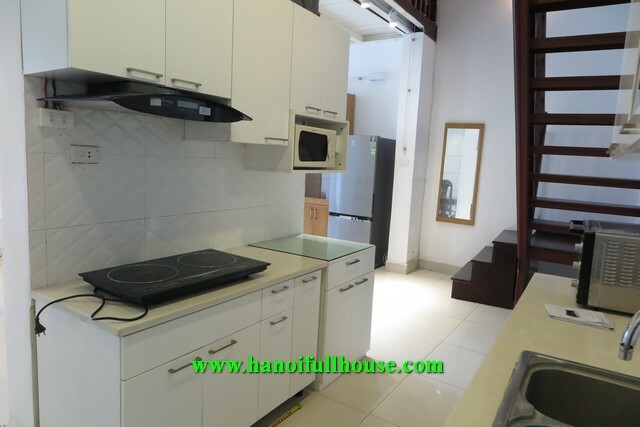 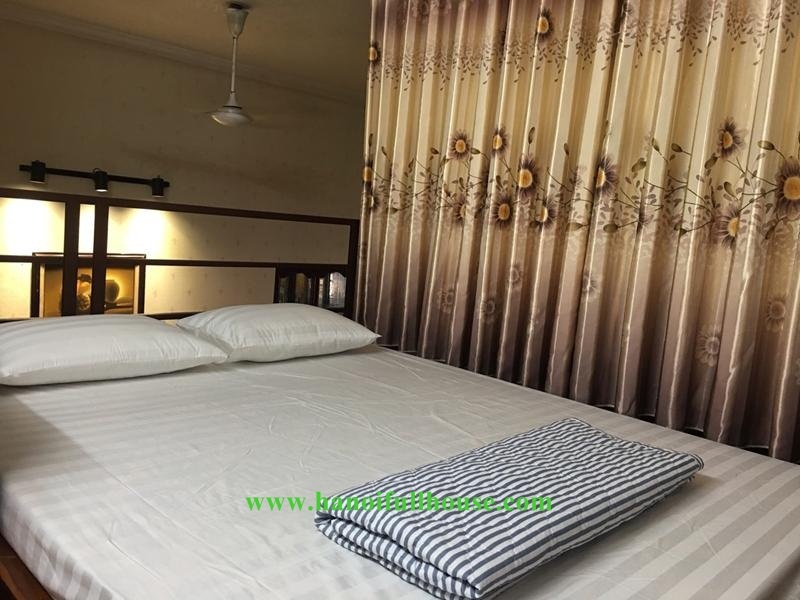 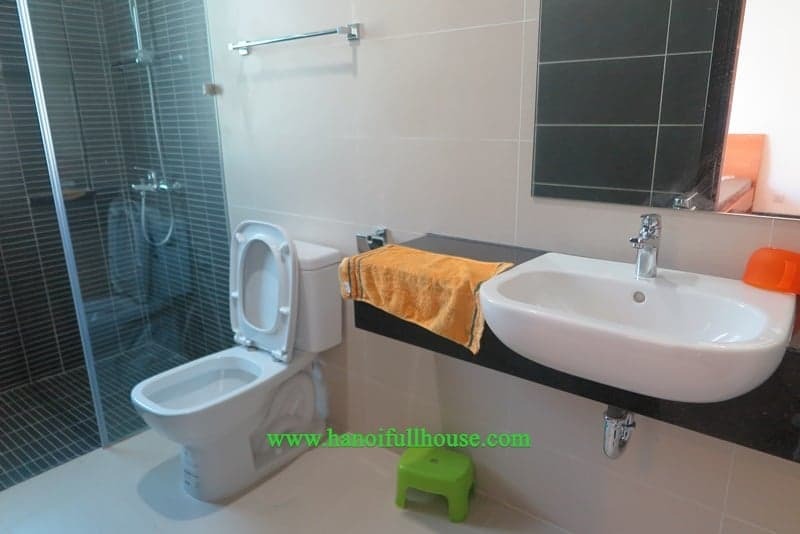 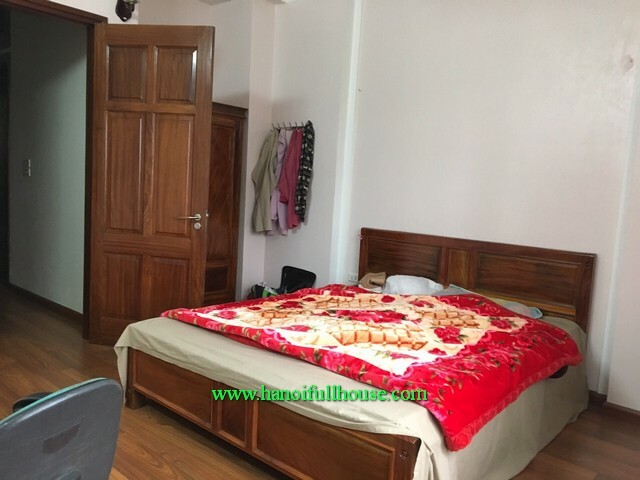 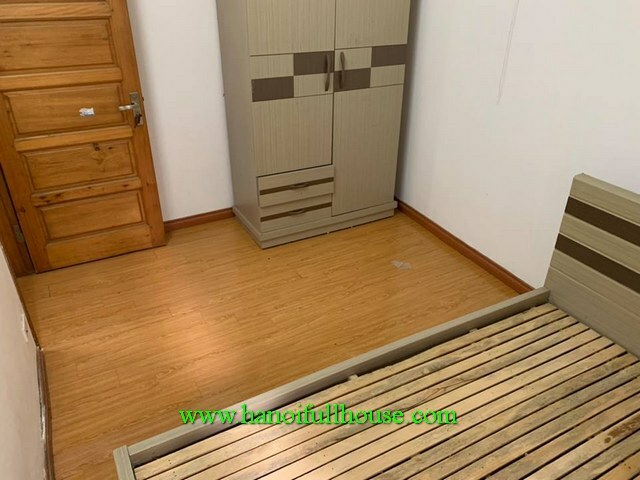 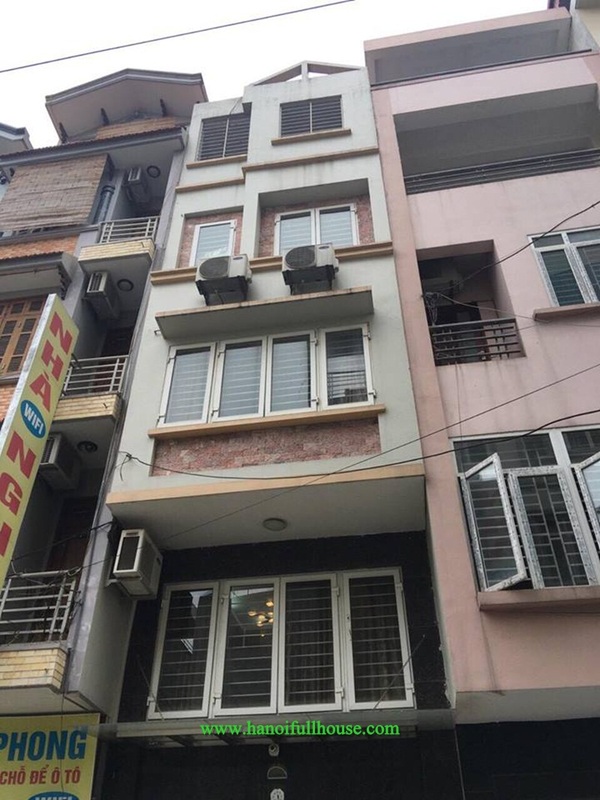 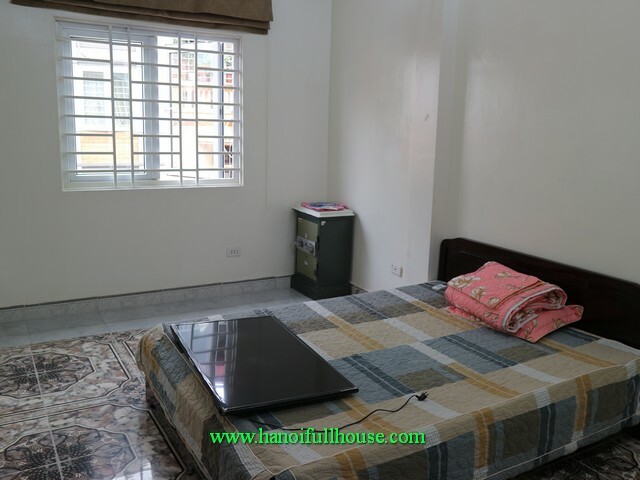 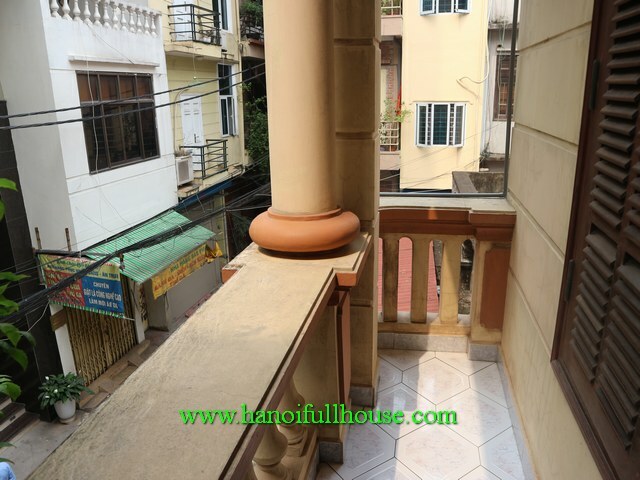 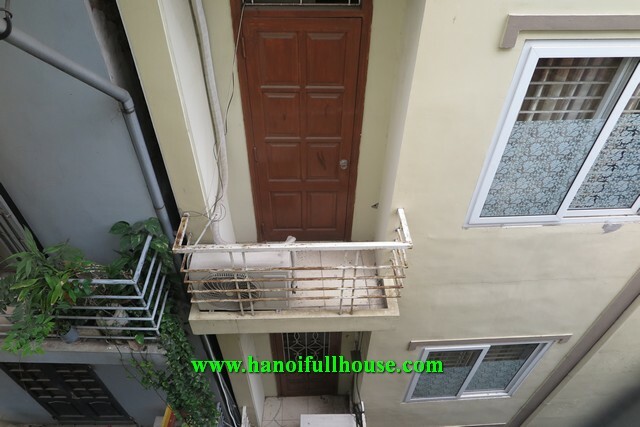 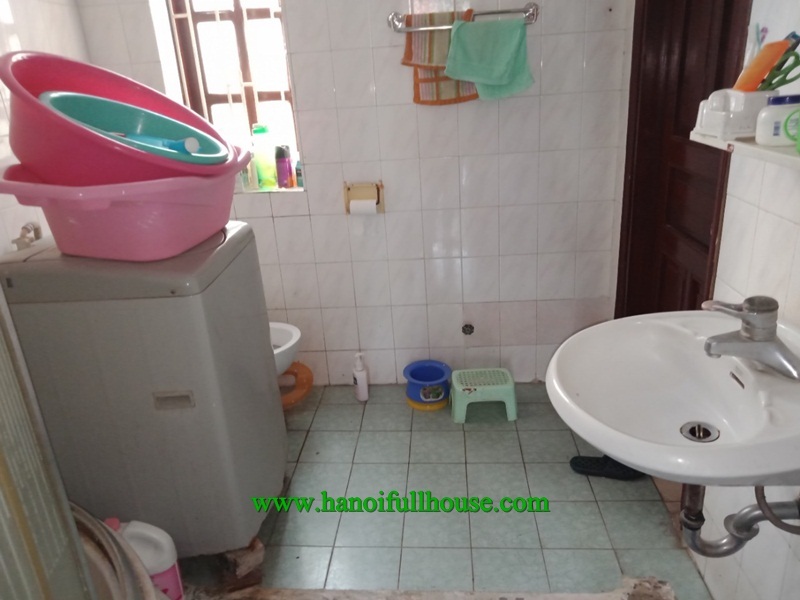 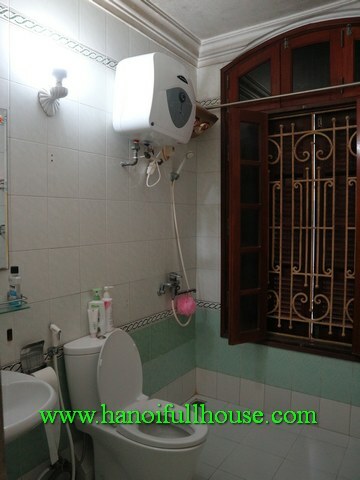 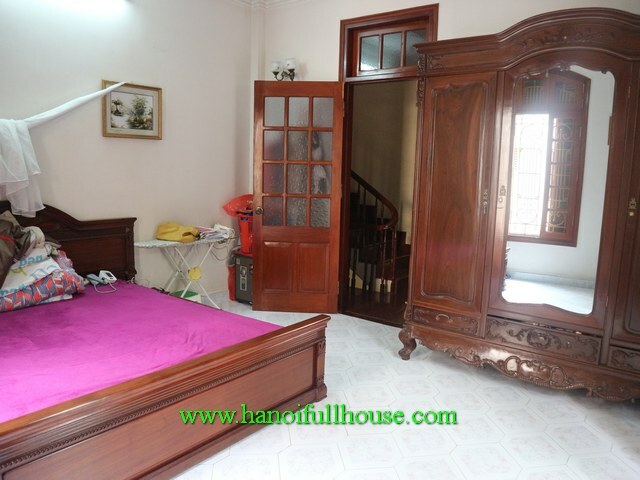 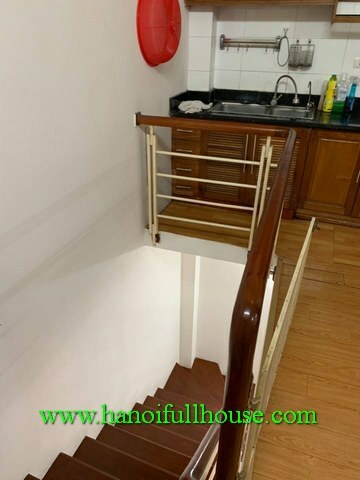 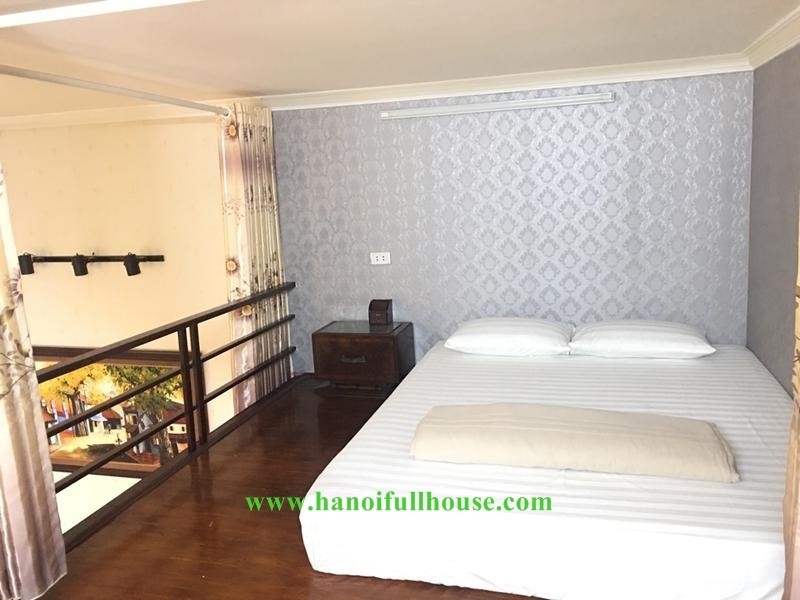 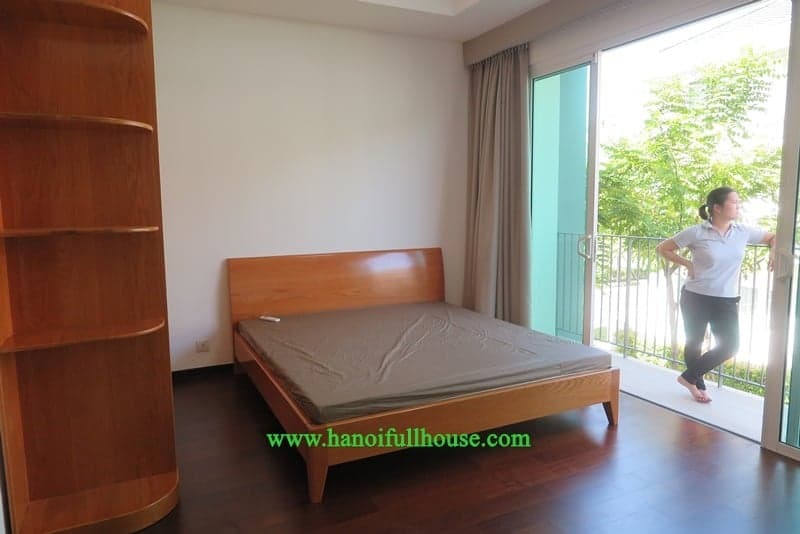 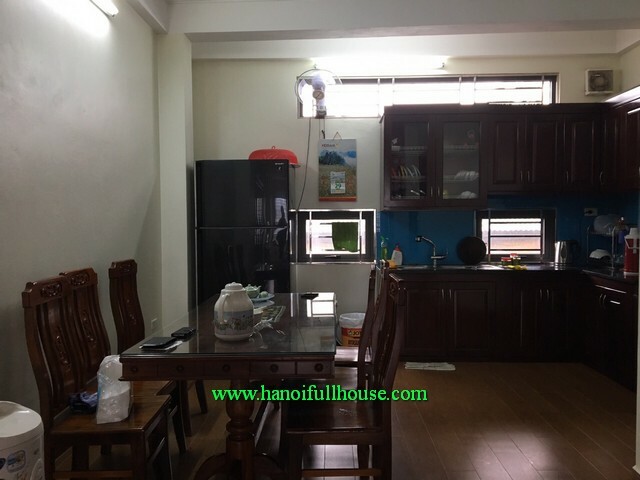 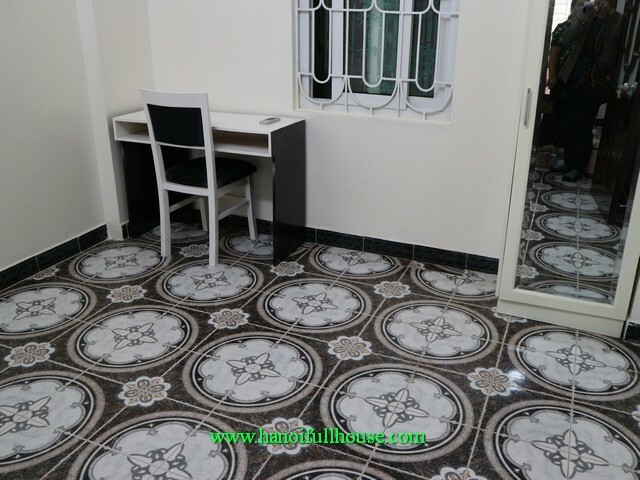 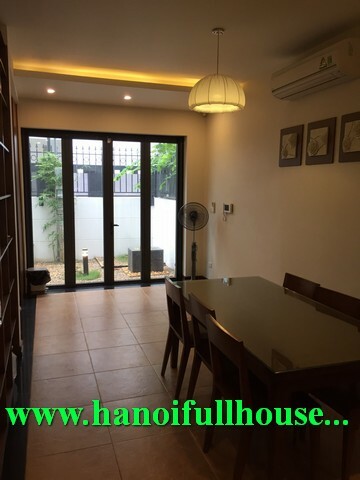 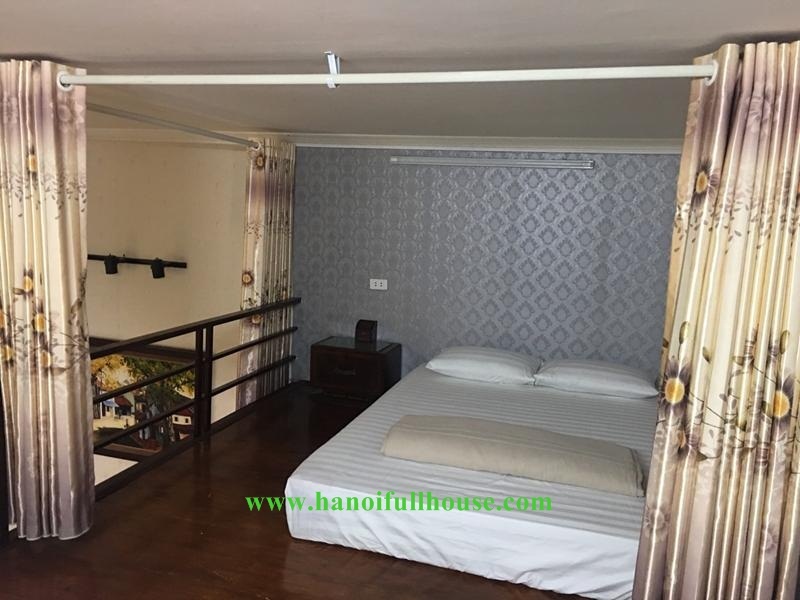 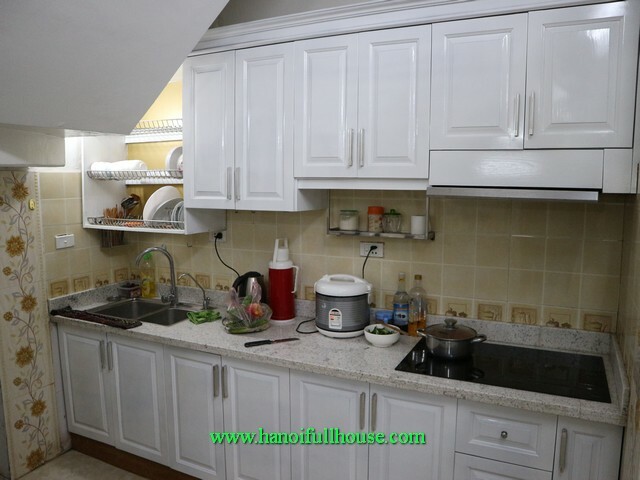 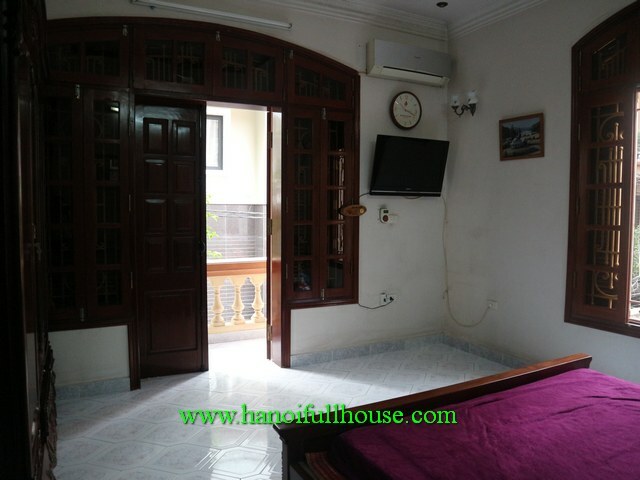 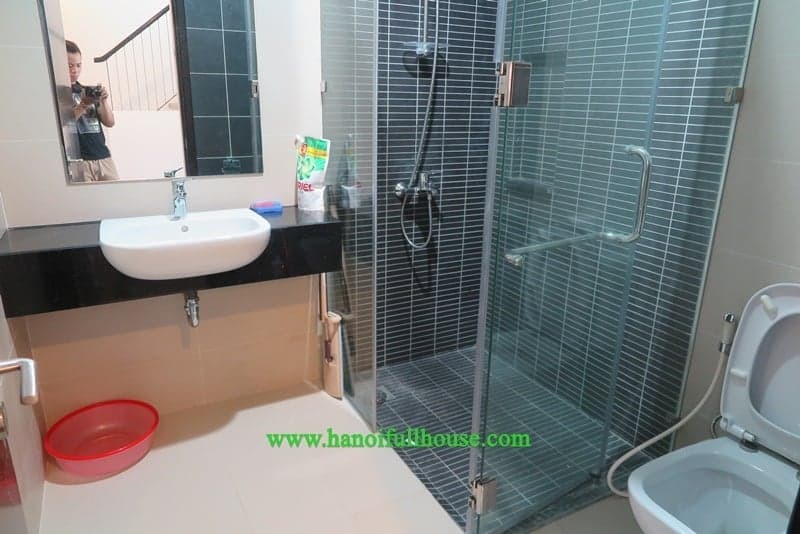 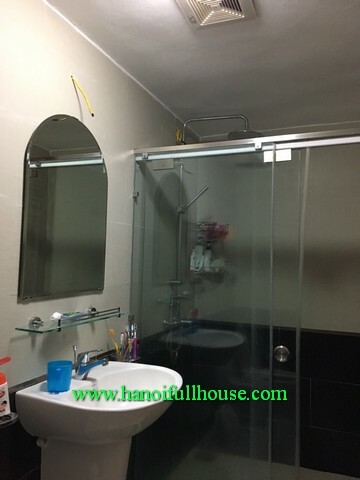 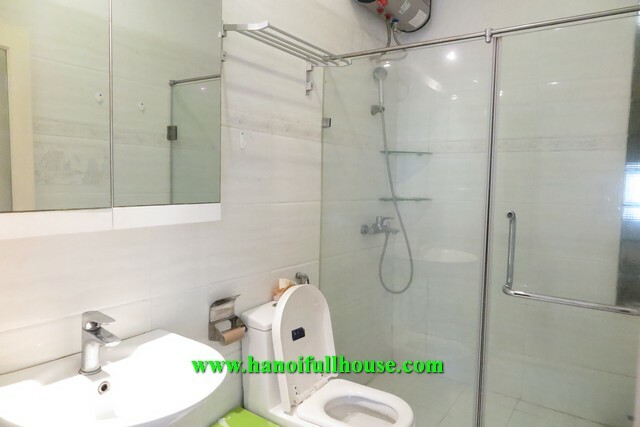 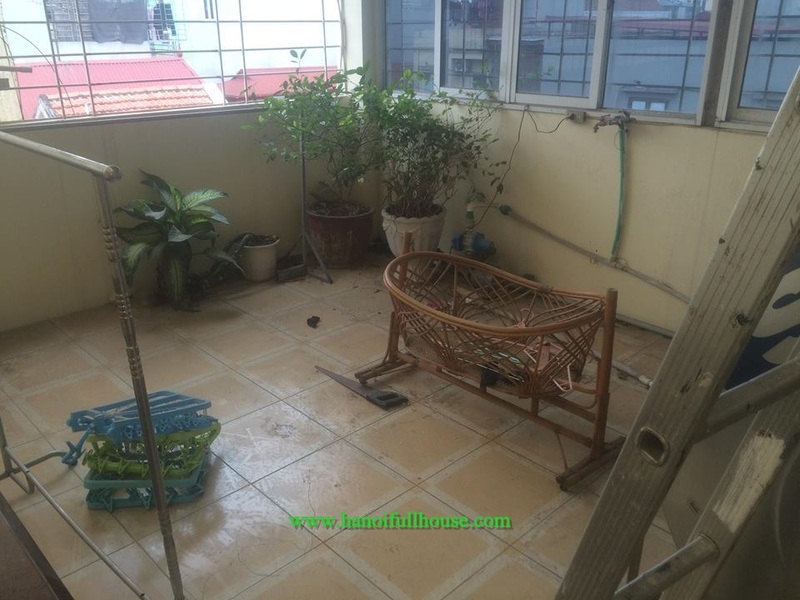 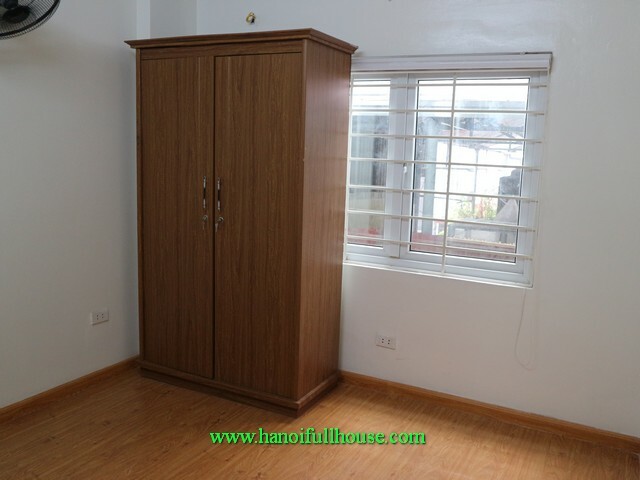 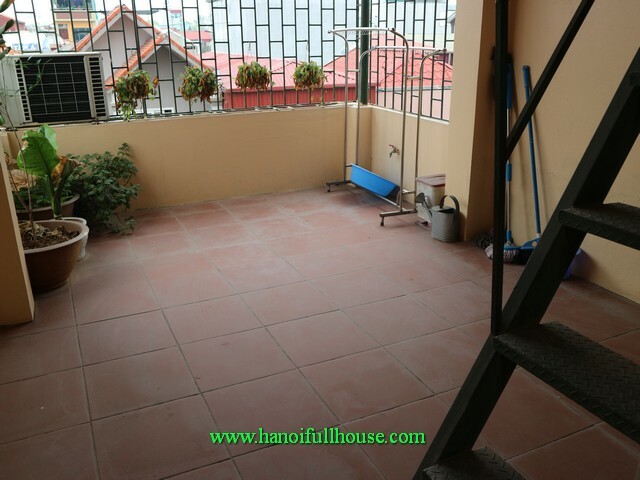 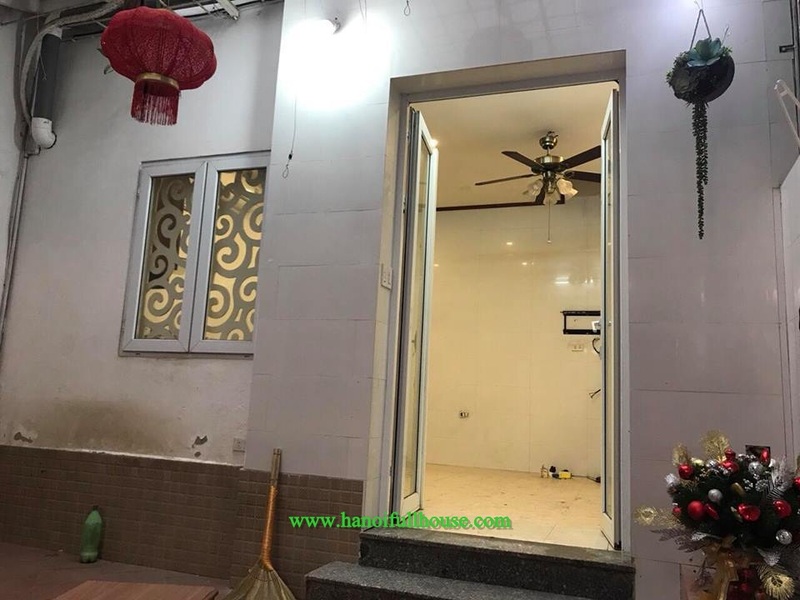 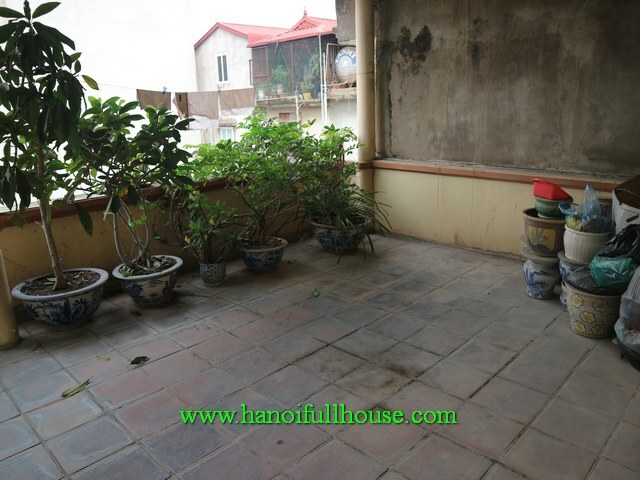 Cheap 01 bedroom house in old Quarter, Hanoi - Fully furnished for rent. 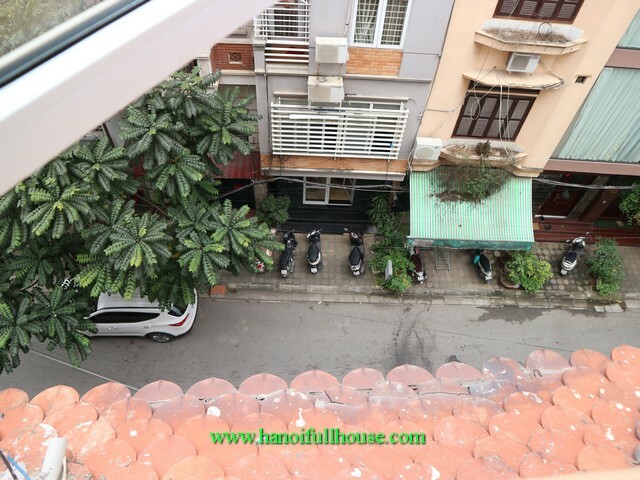 The apartment in Hoan Kiem district is located on Phung Hung street - Old Quarter has many restaurants, shops, coffee nearby. 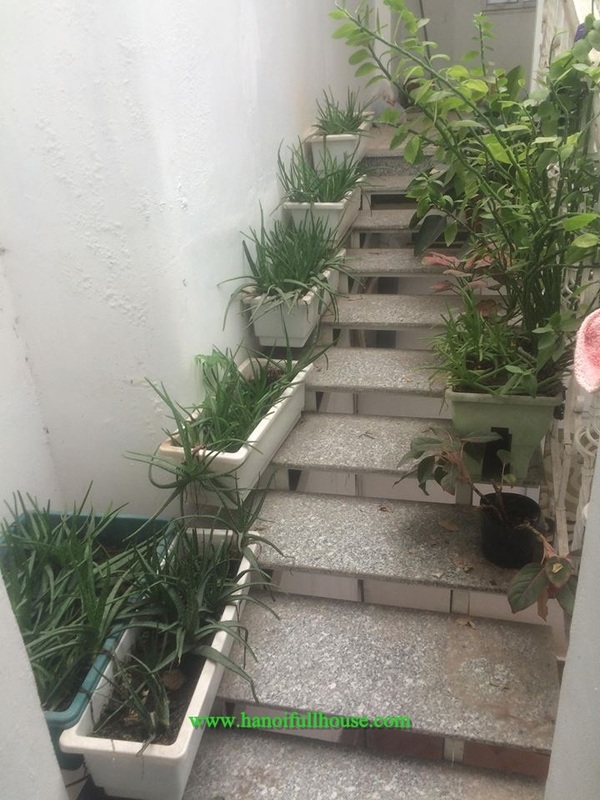 Customers only need to walk to discover interesting things. 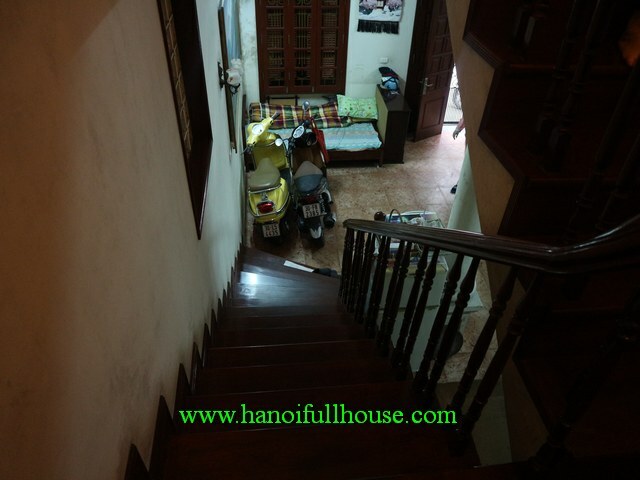 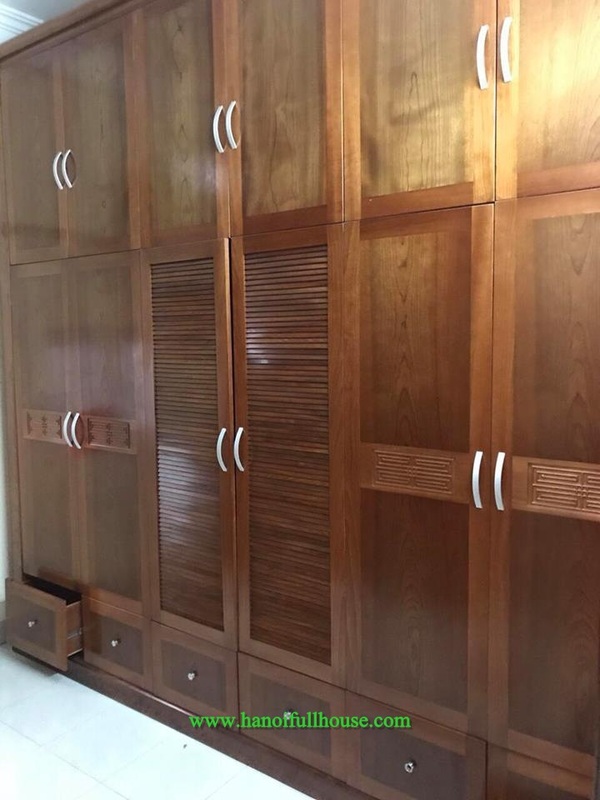 The house is located in a very nice and safe area, on Ly Nam De str, Hoan Kiem dist. 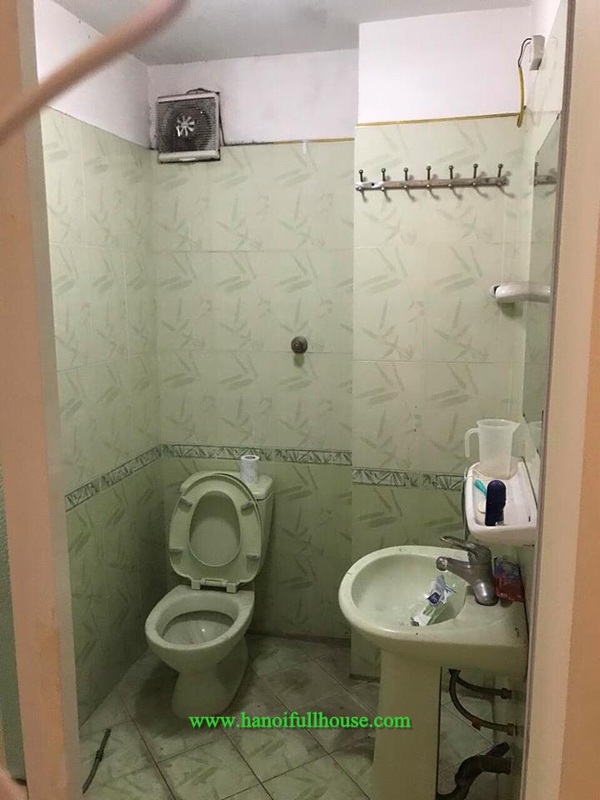 Many utilities, 3 open surfaces. 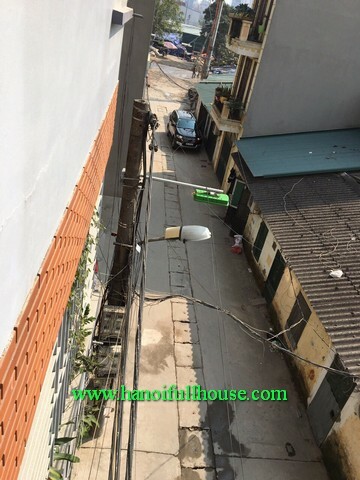 In front of the house, there is a large yard which 3 cars can avoid each other. 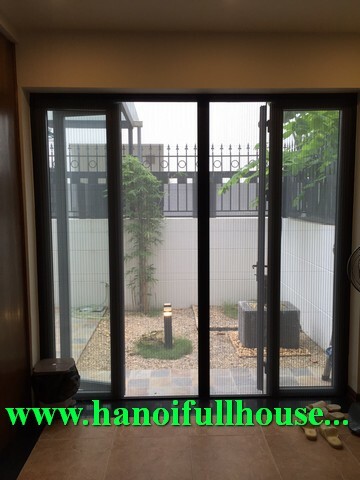 The house has a total area of ​​50m2 x 4 floors. 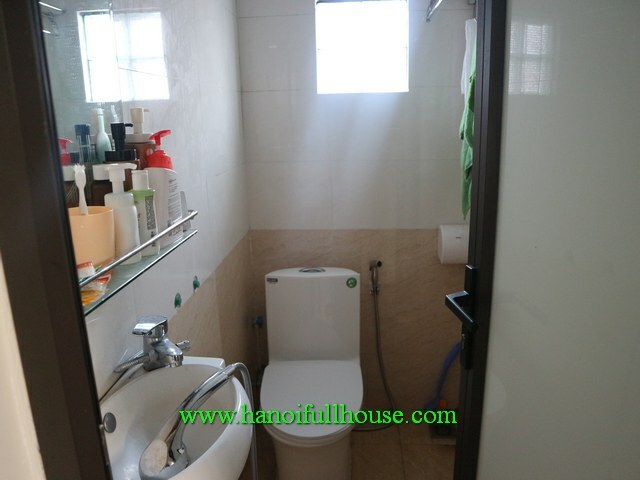 With each floor, it divided into 2 rooms, the bathroom is in the middle. 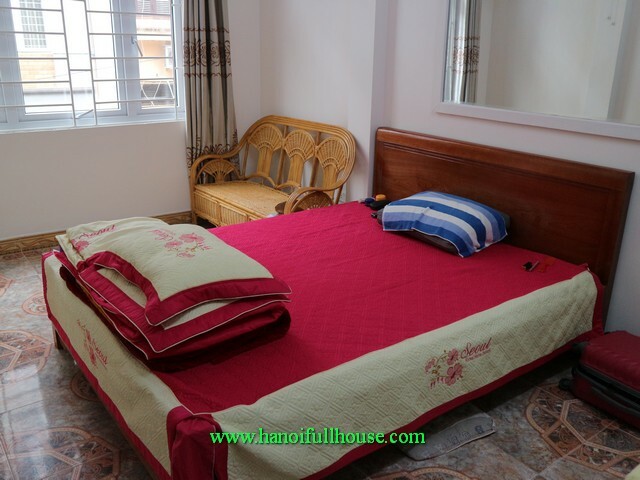 Bedroom outside is wide, with airy balcony, lake view. 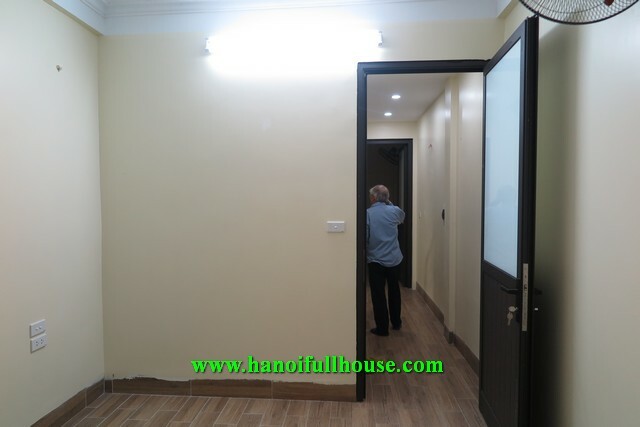 First floor is a kitchen, a dining room and reception place. 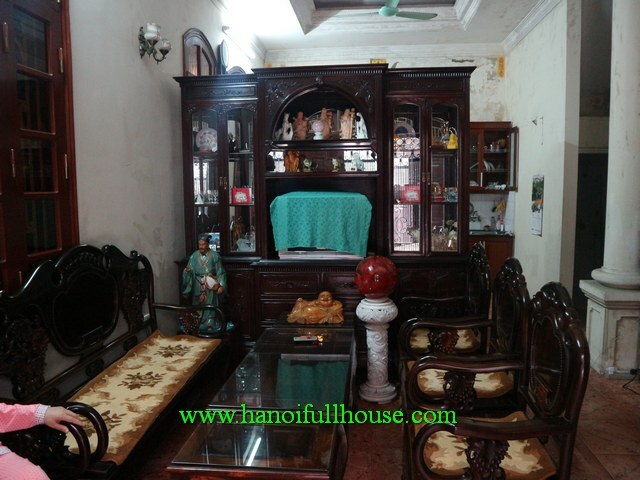 This house is located on Nguyen Khoai str, Hai Ba Trung dist, Ha Noi city. 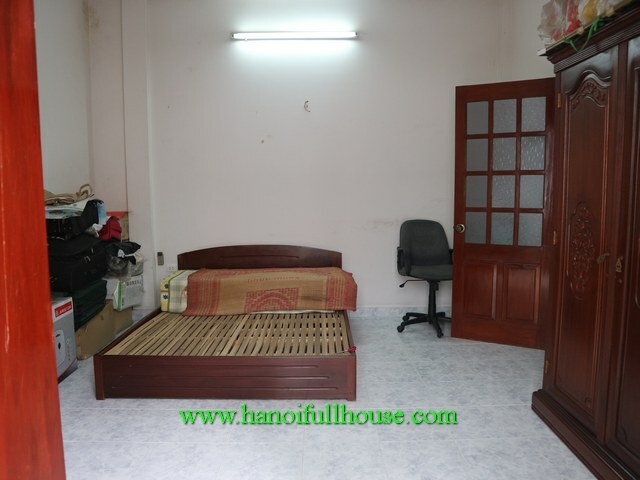 Its very convenient location, near Tran Khat Chan str, Dai Co Viet str or other complexes such as Sun Ancora, Times City. 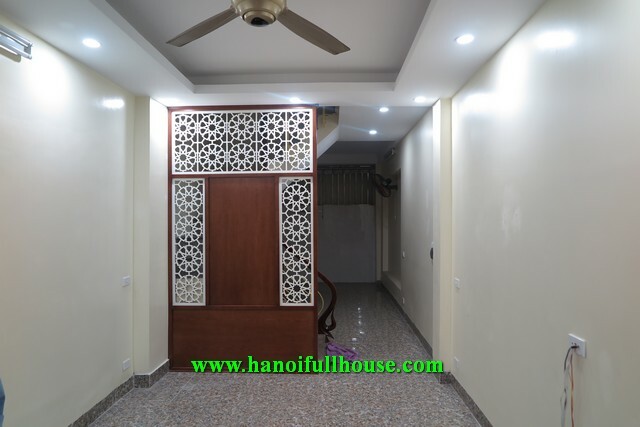 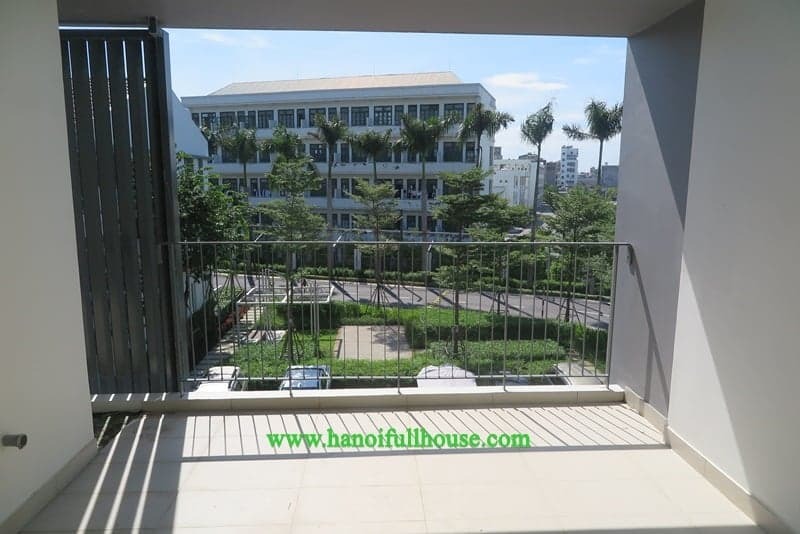 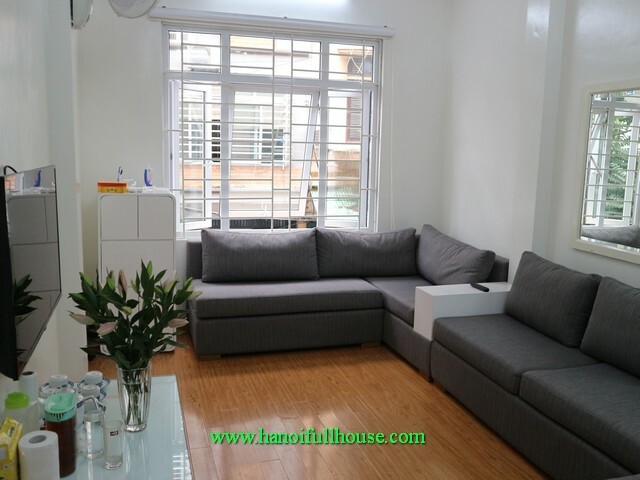 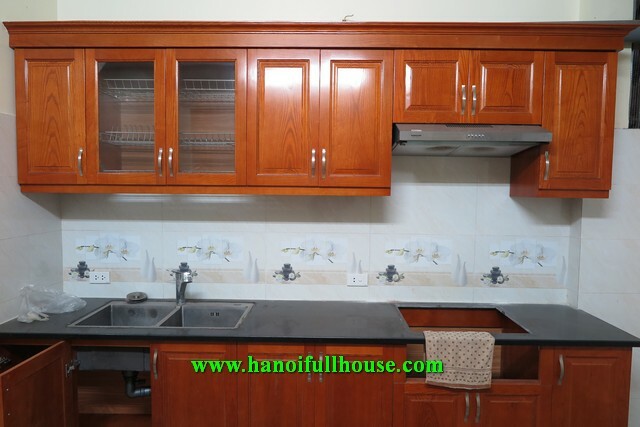 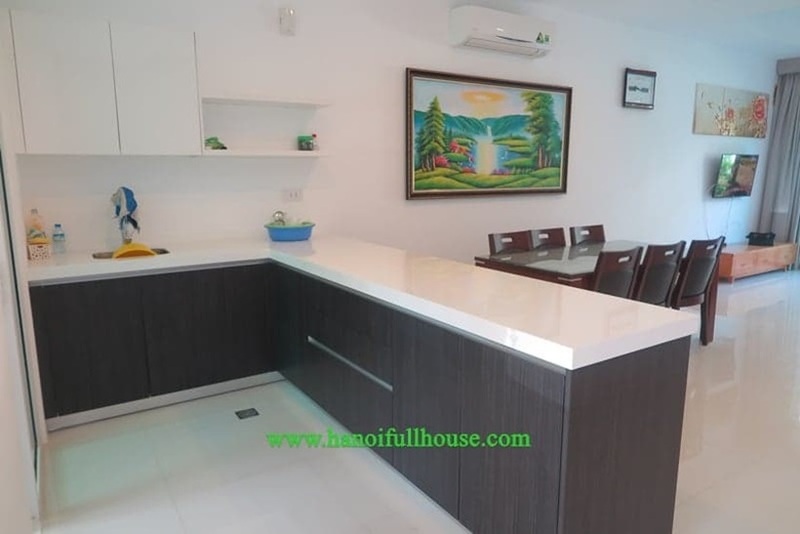 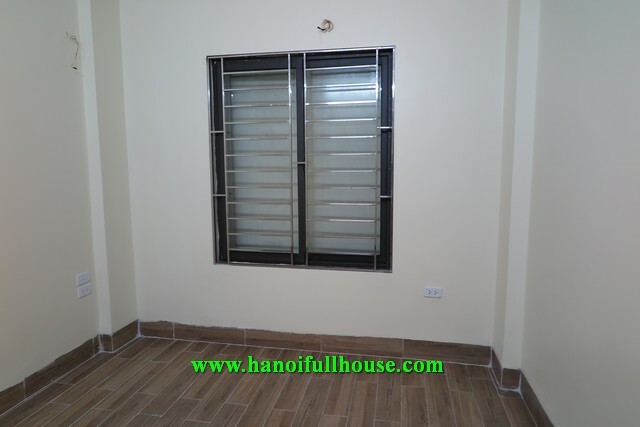 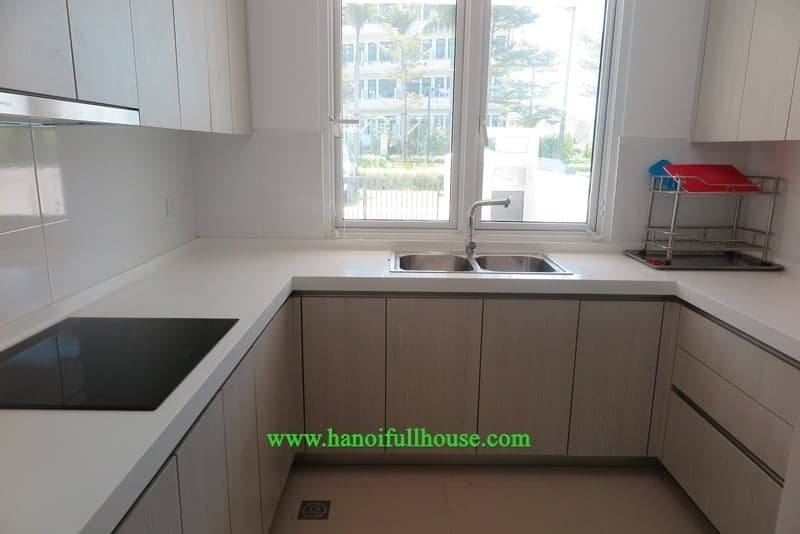 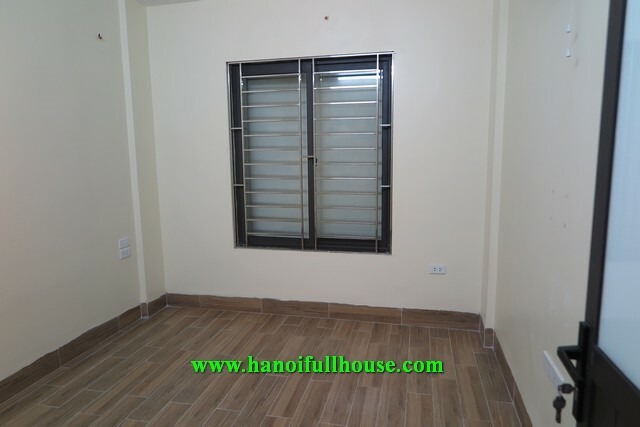 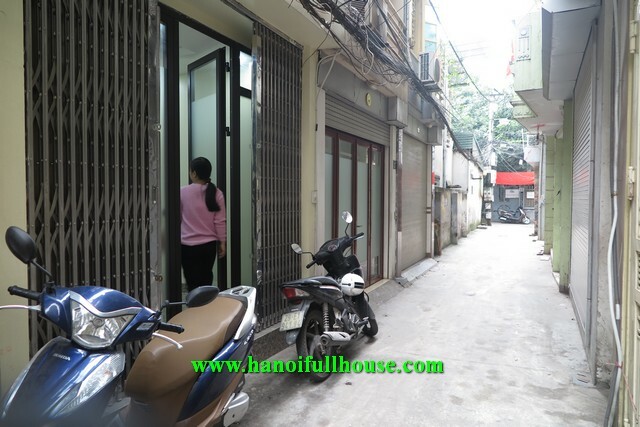 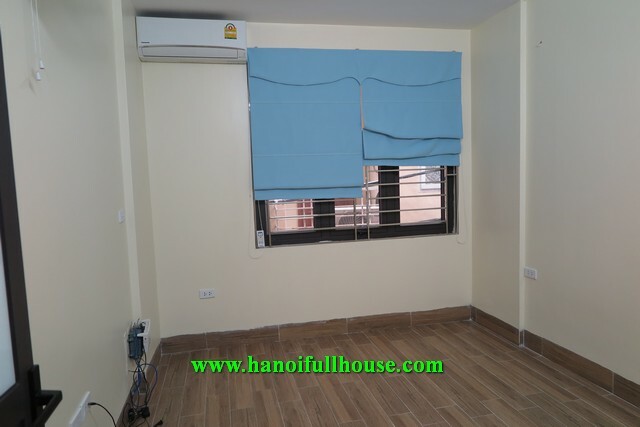 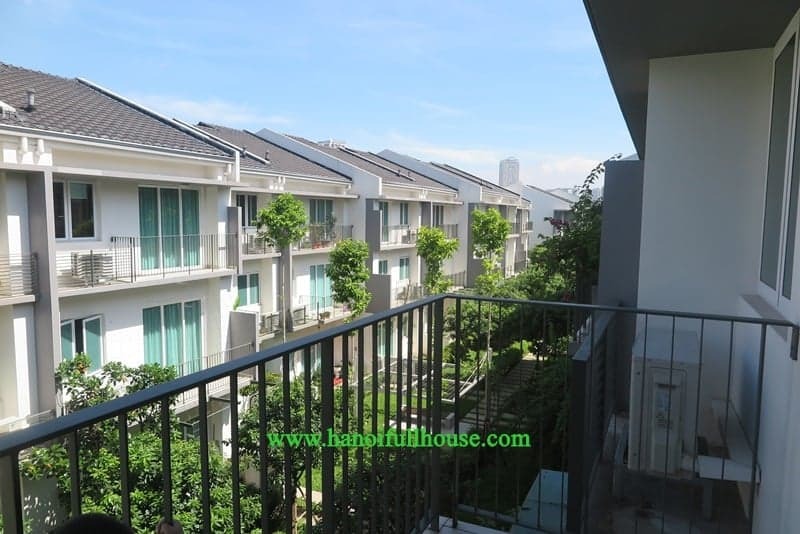 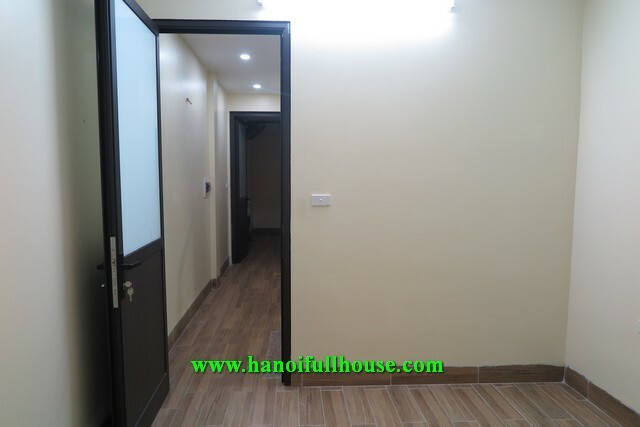 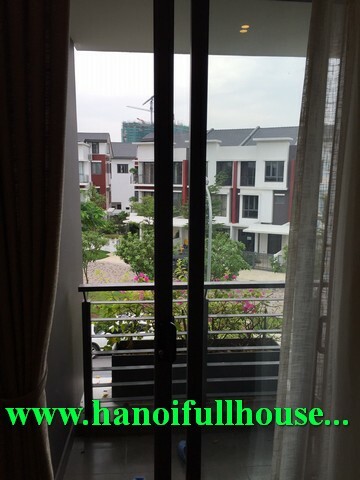 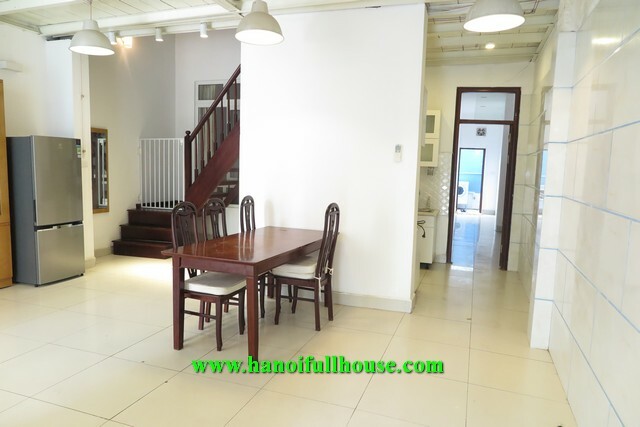 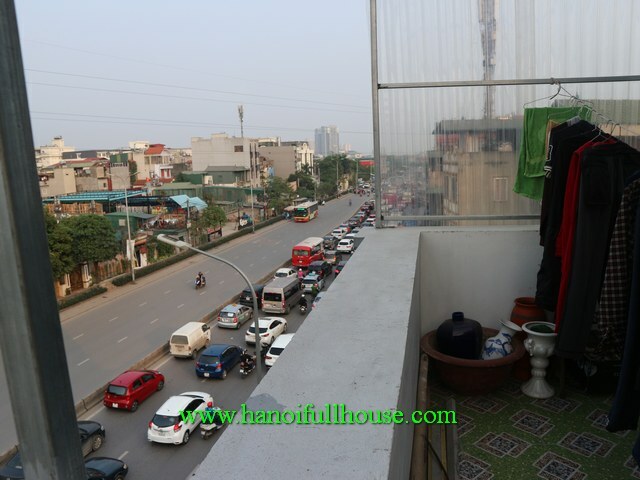 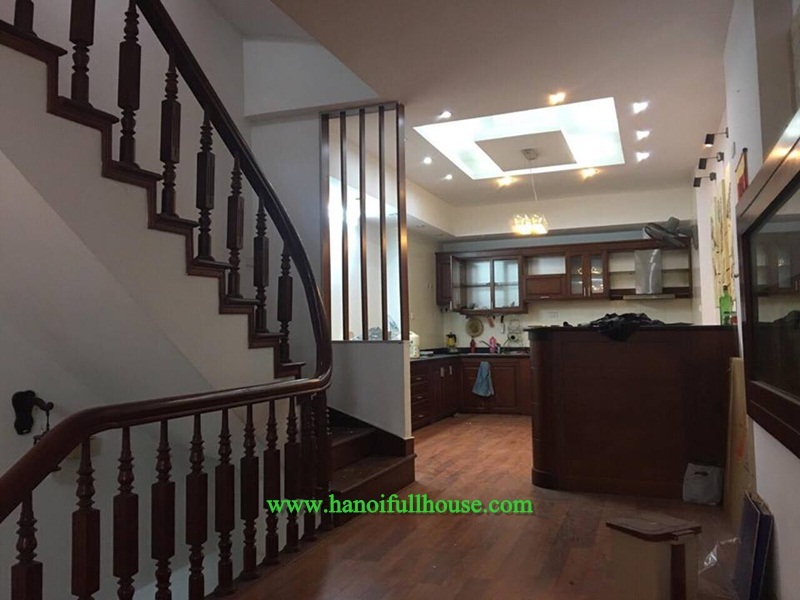 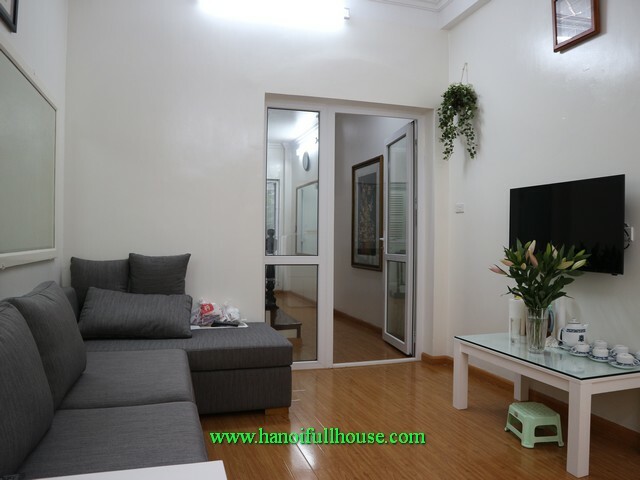 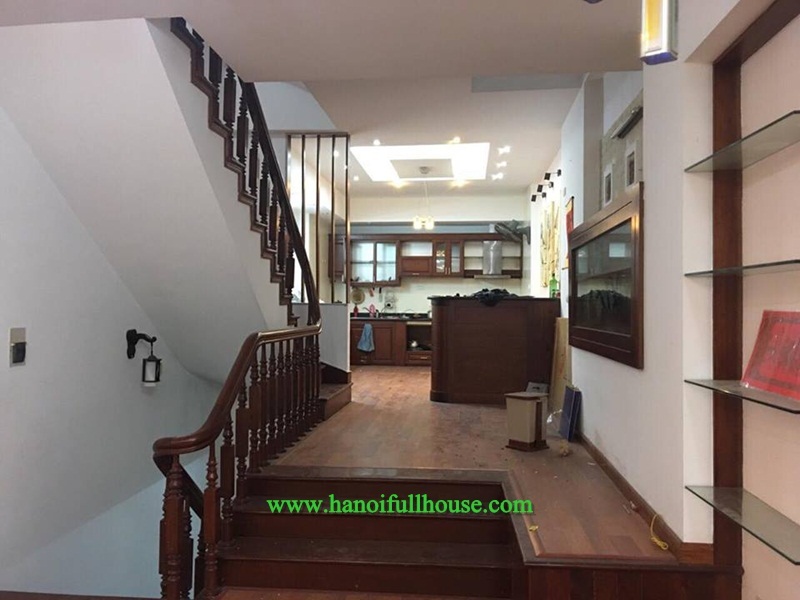 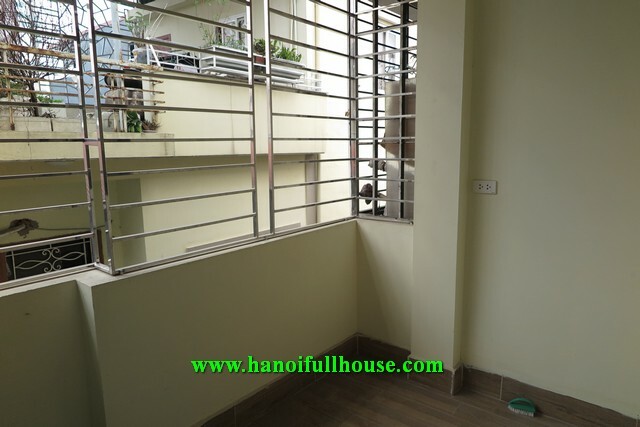 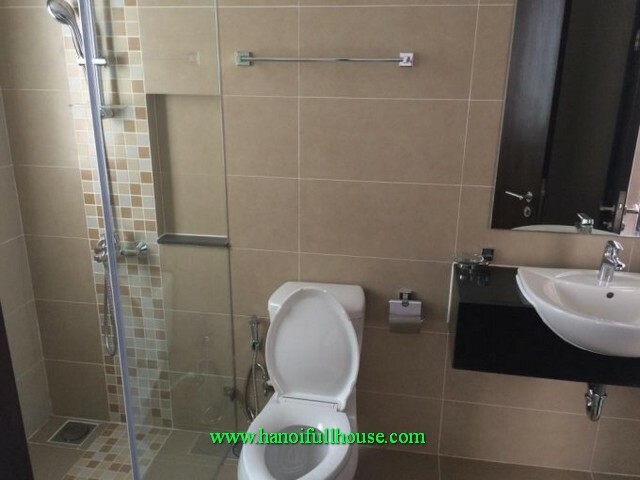 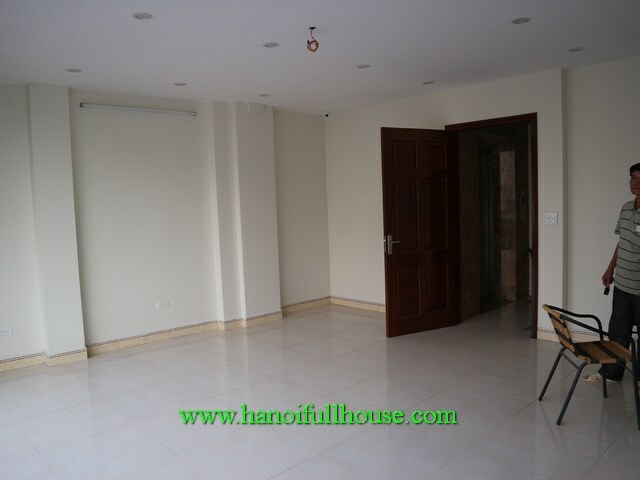 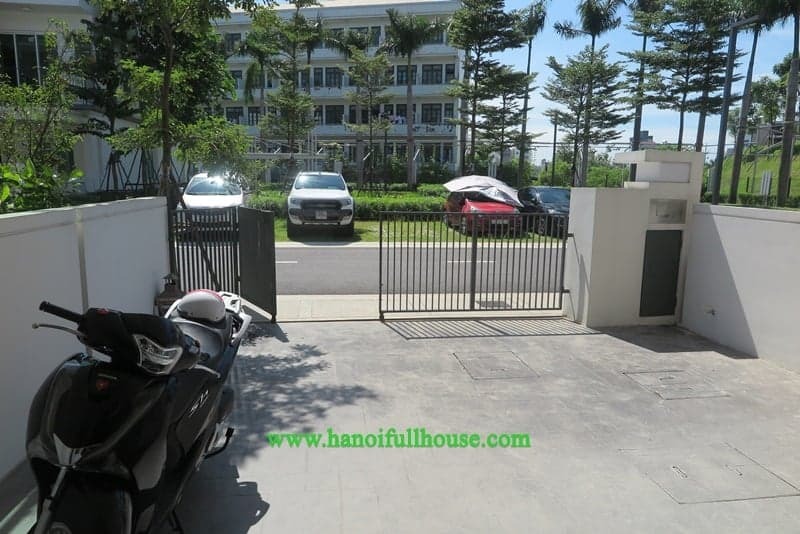 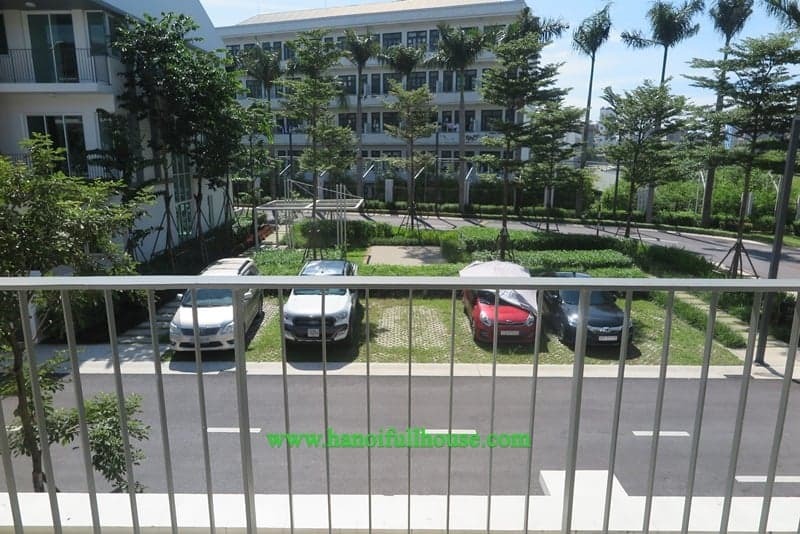 Hanoi Full House Real Estate Company specializes in providing real estate with the best quality and resonable price. 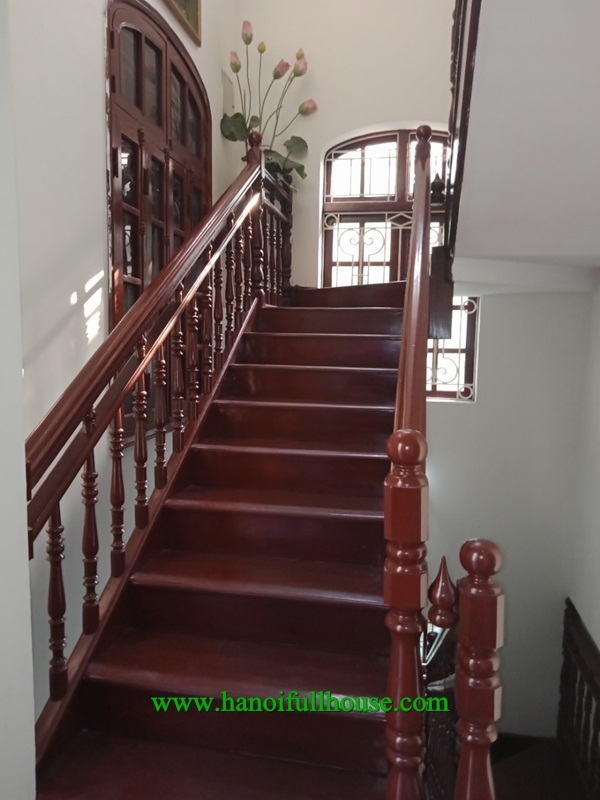 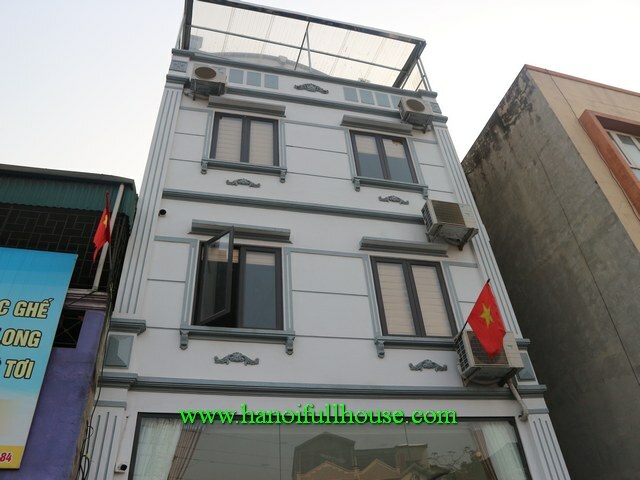 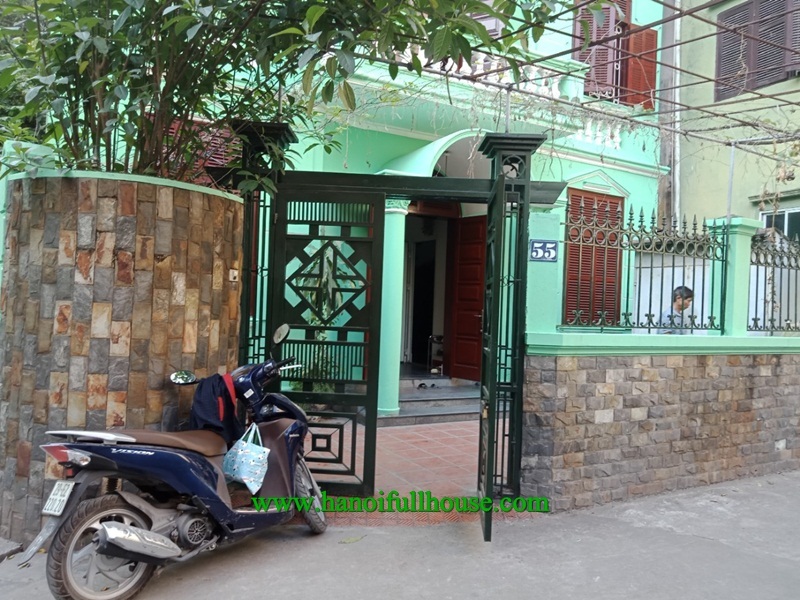 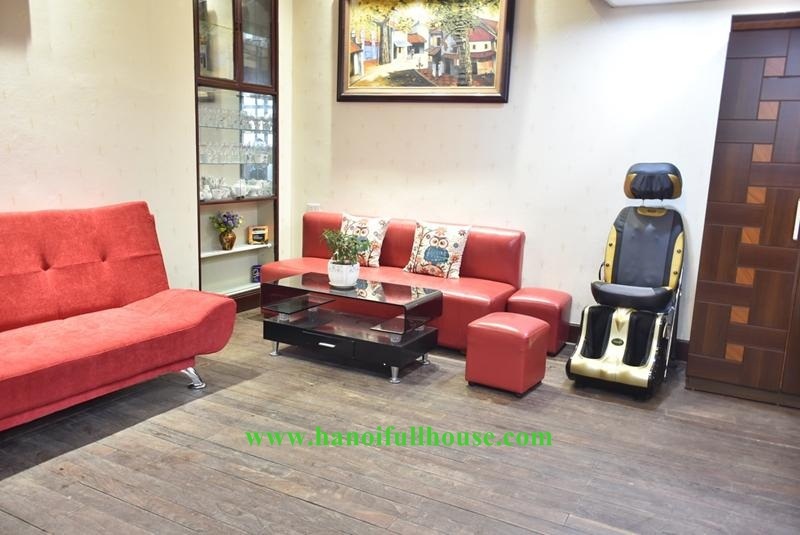 This house we introduce is located on Kim Ma and Lieu Giai streets, Ba Dinh district, Hanoi. 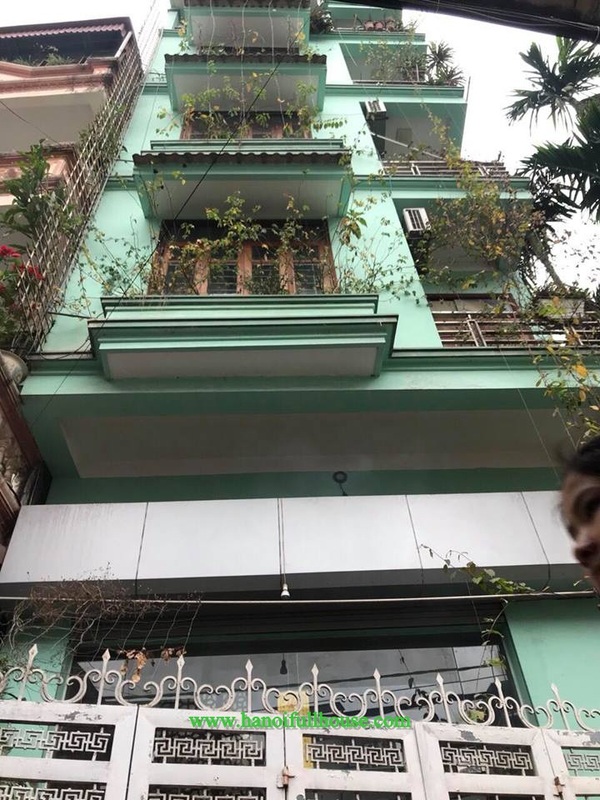 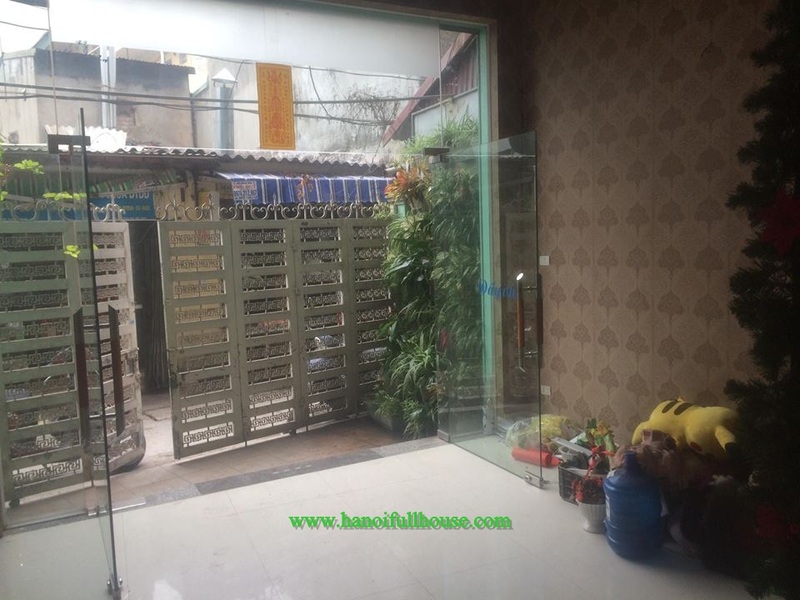 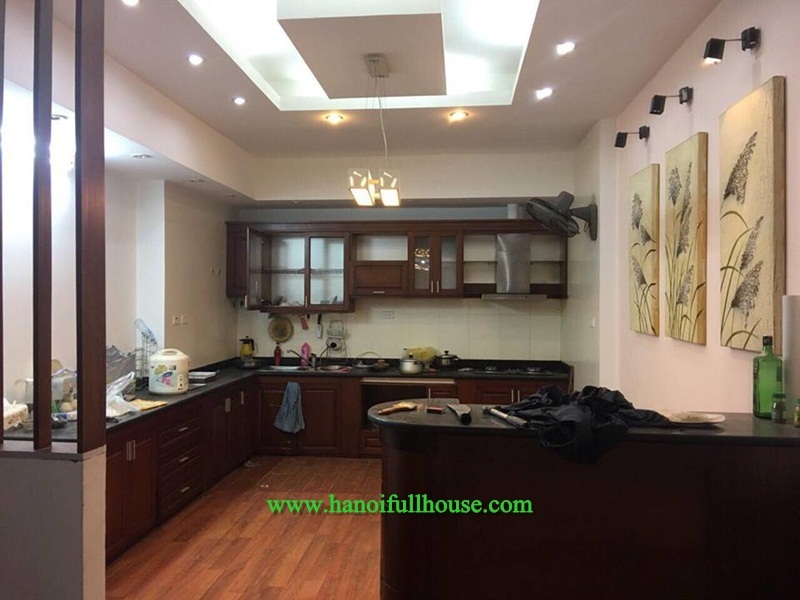 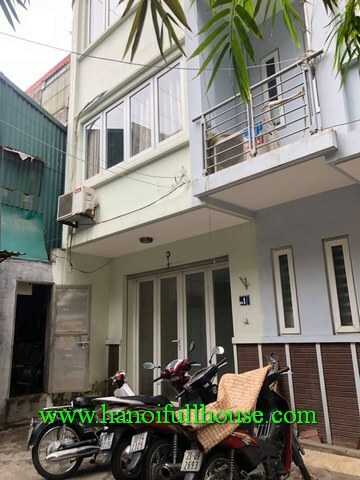 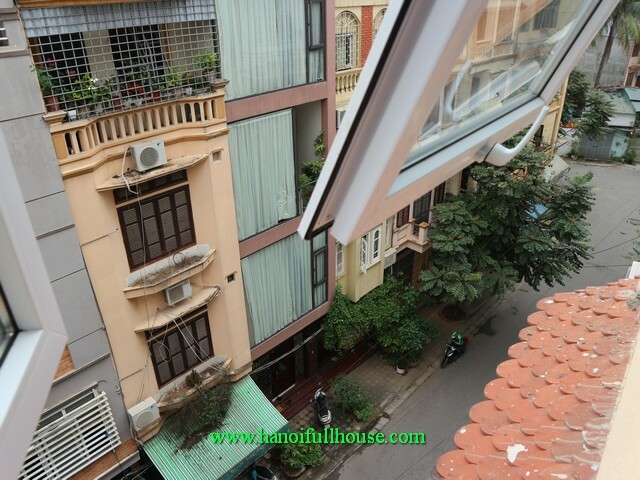 This house is located on Hao Nam str, Dong Da dist, Ha Noi city. 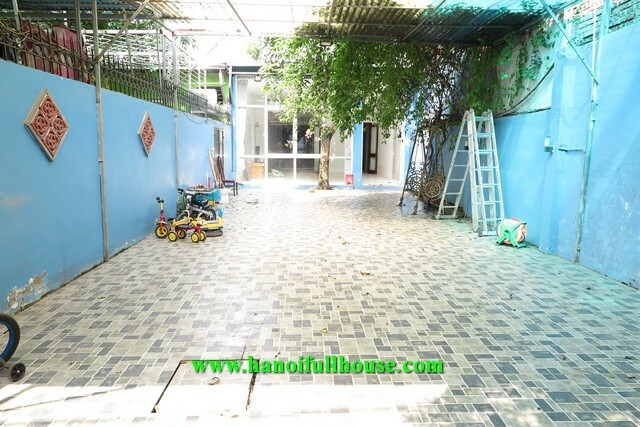 It has total area of 45m2 x 5 floors. 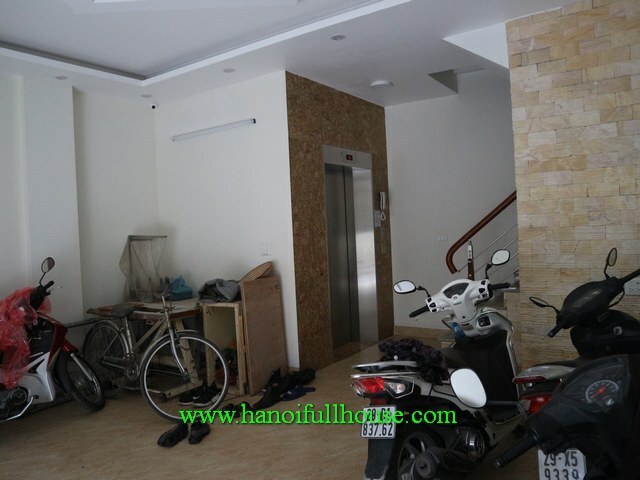 The first floor is parking area. 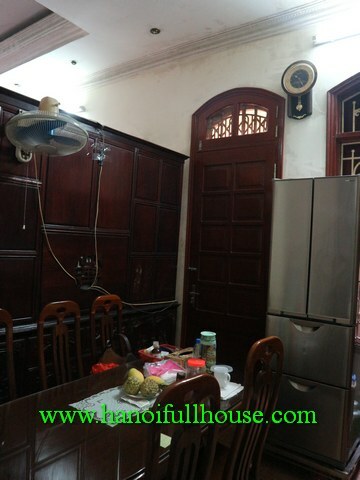 Second floor is a kitchen and dinning area. 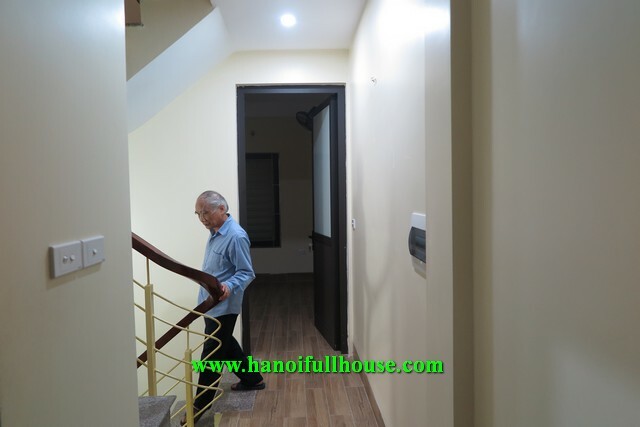 The 3rd and 4th floor are 2 bedrooms and one bathroom on each. 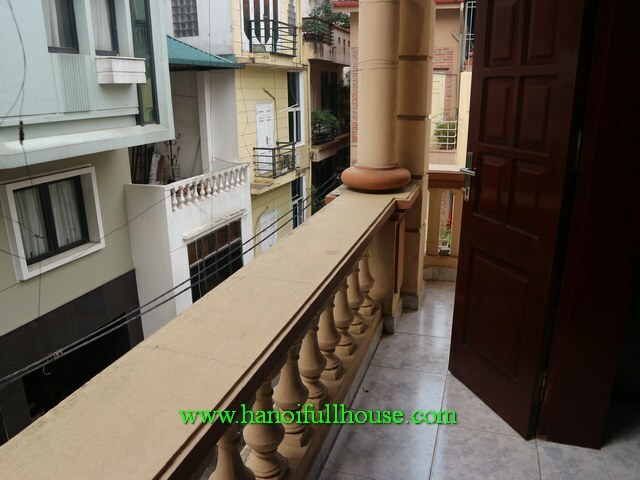 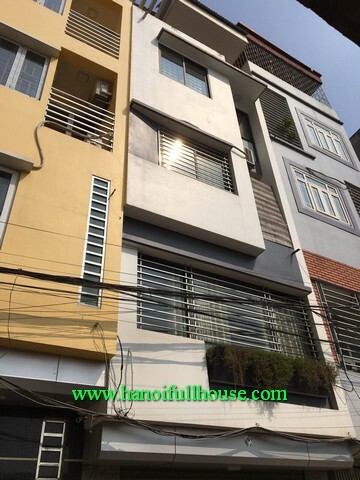 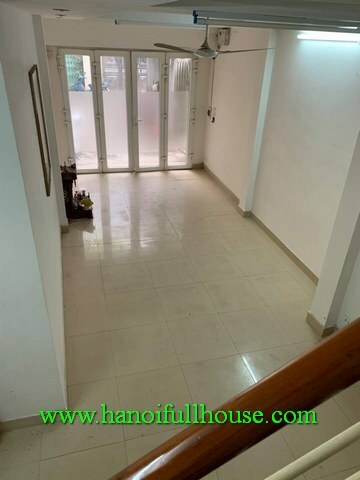 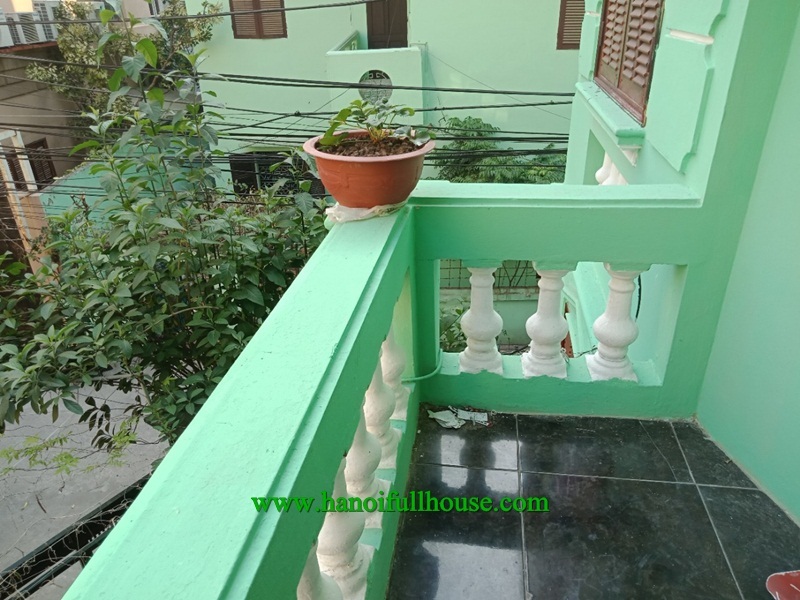 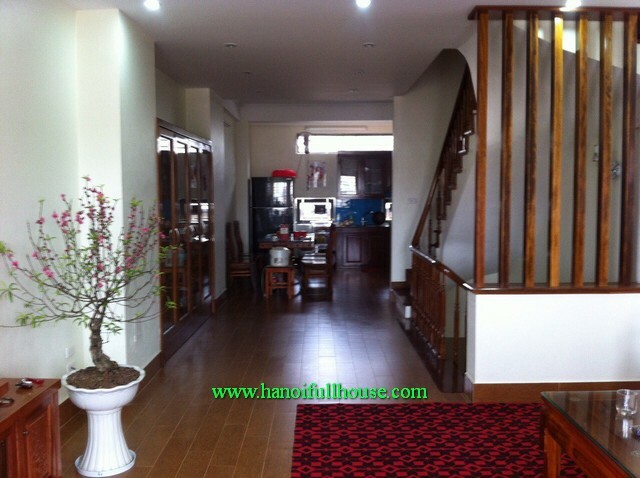 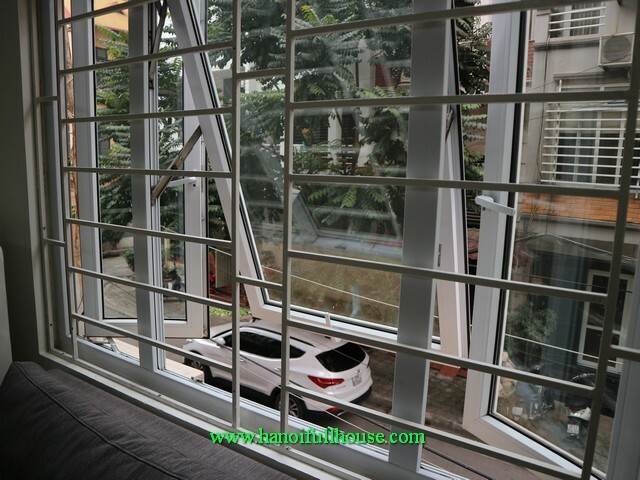 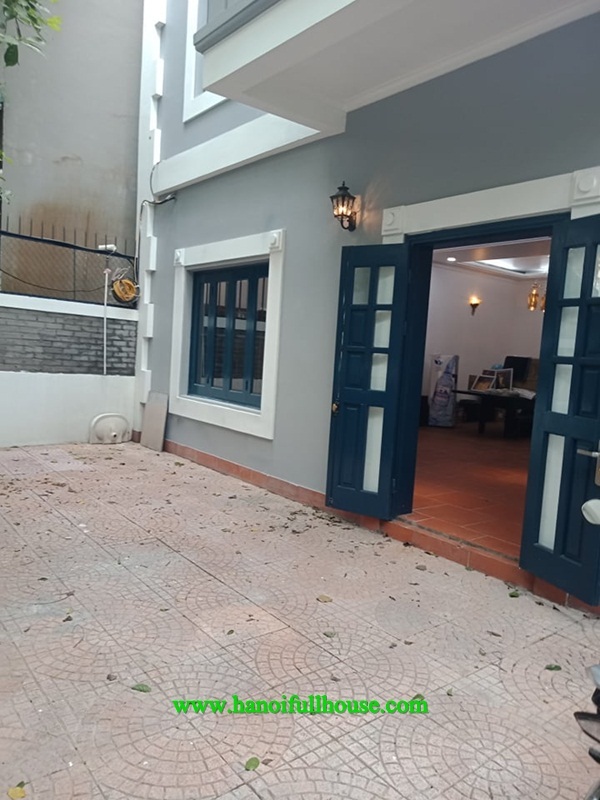 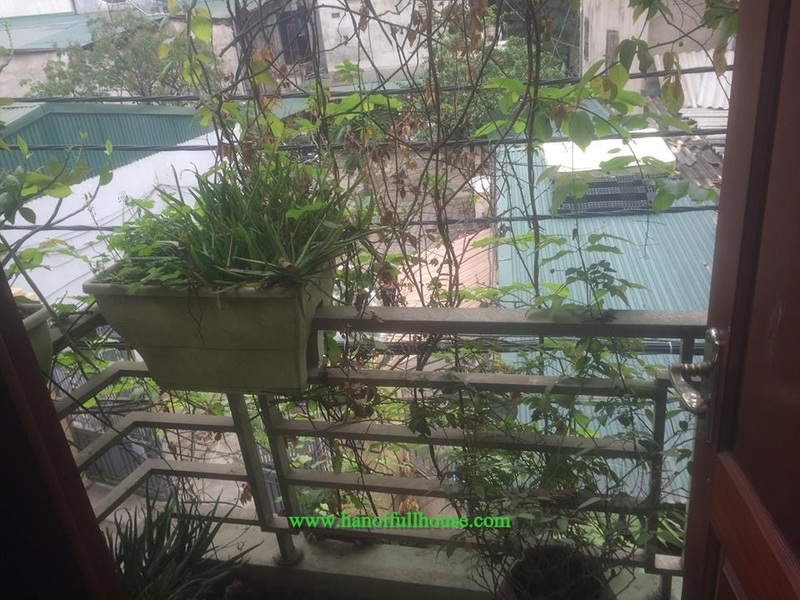 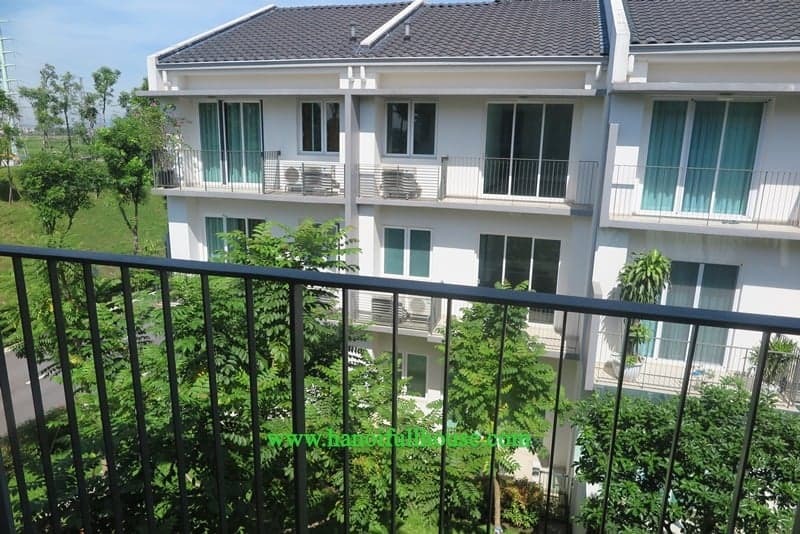 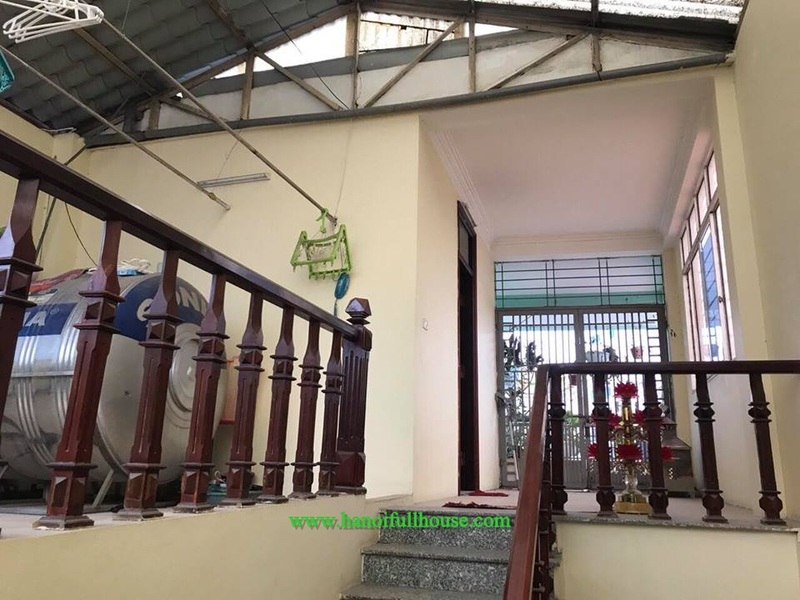 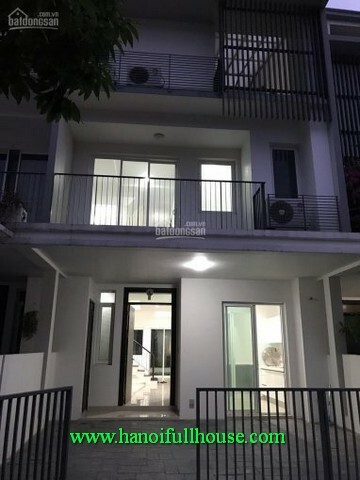 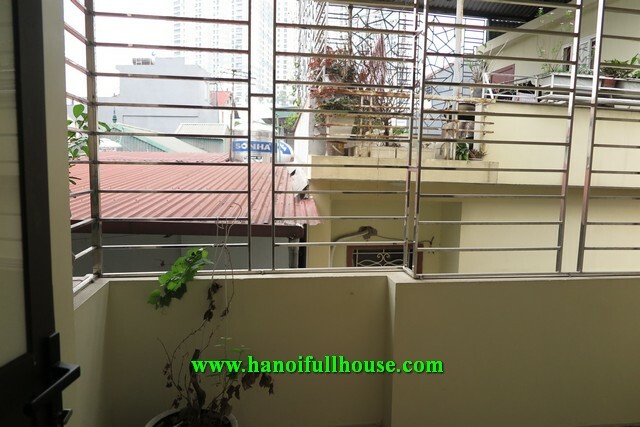 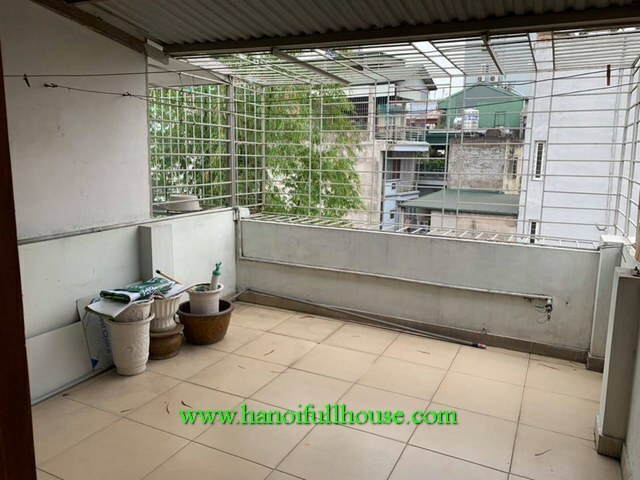 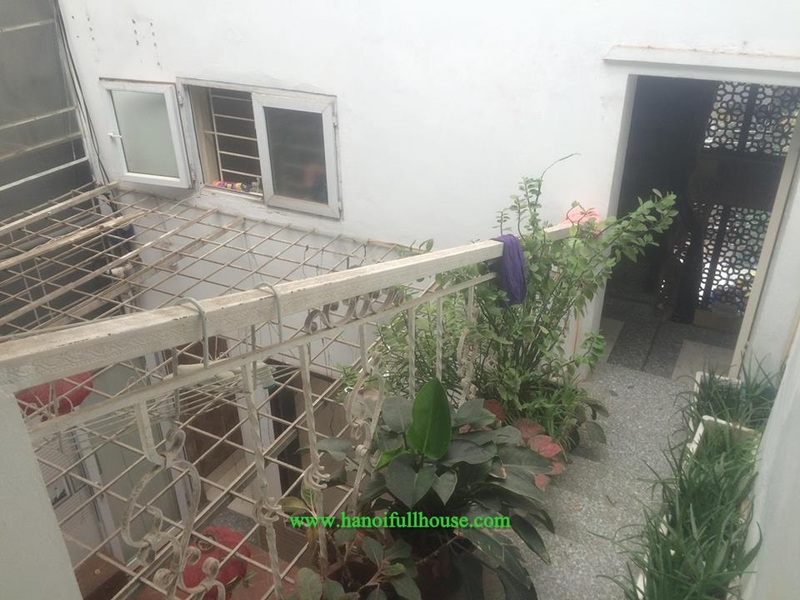 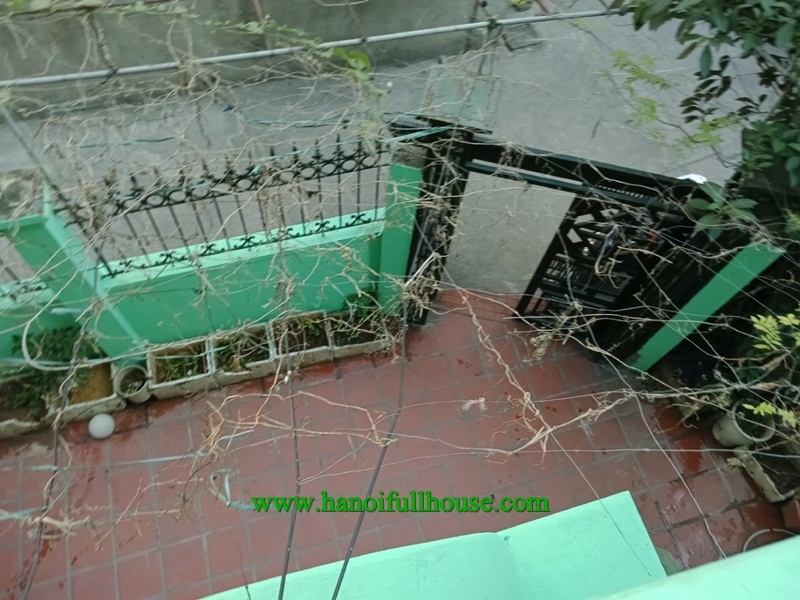 Nice house on Tran Cung street, 4 bedrooms, big balconies and terrace and a large yard for rent. 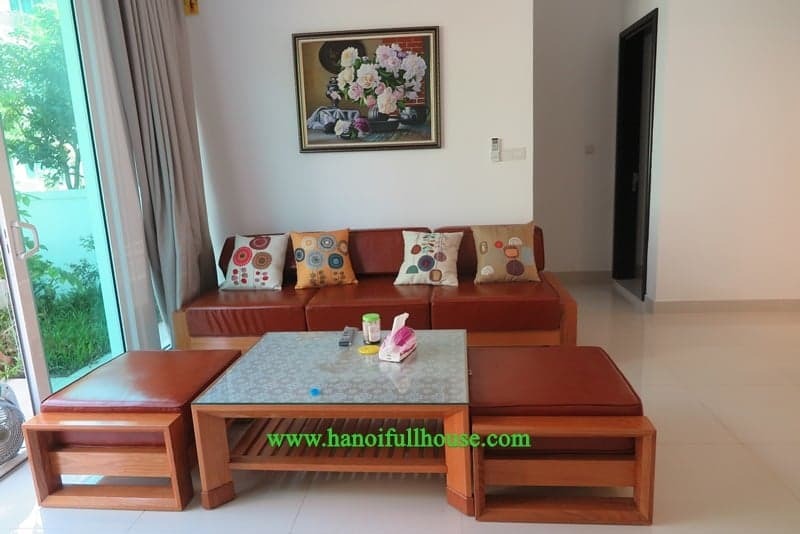 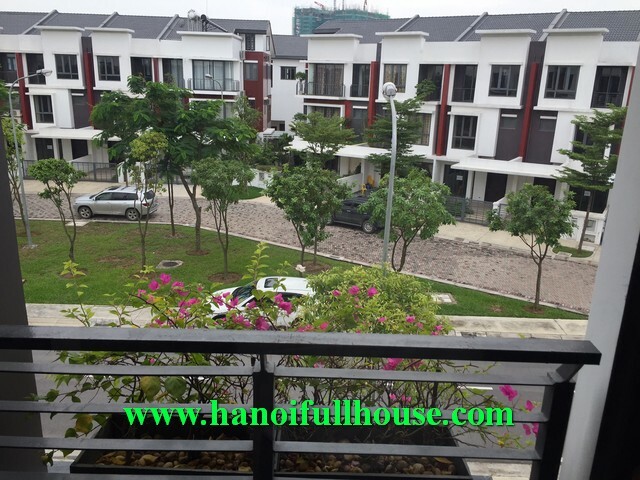 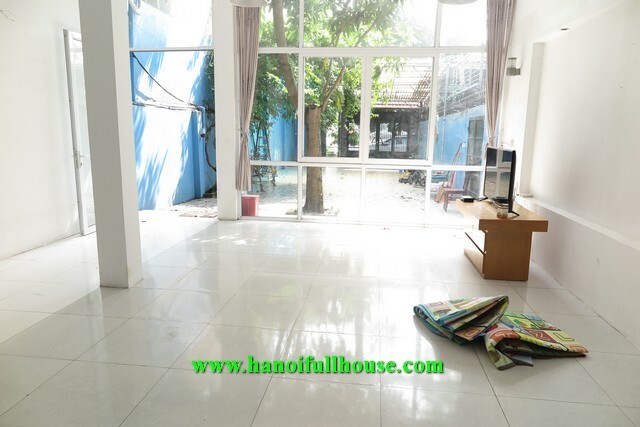 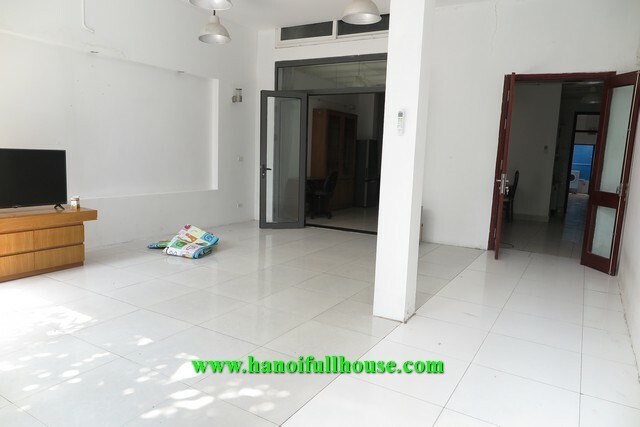 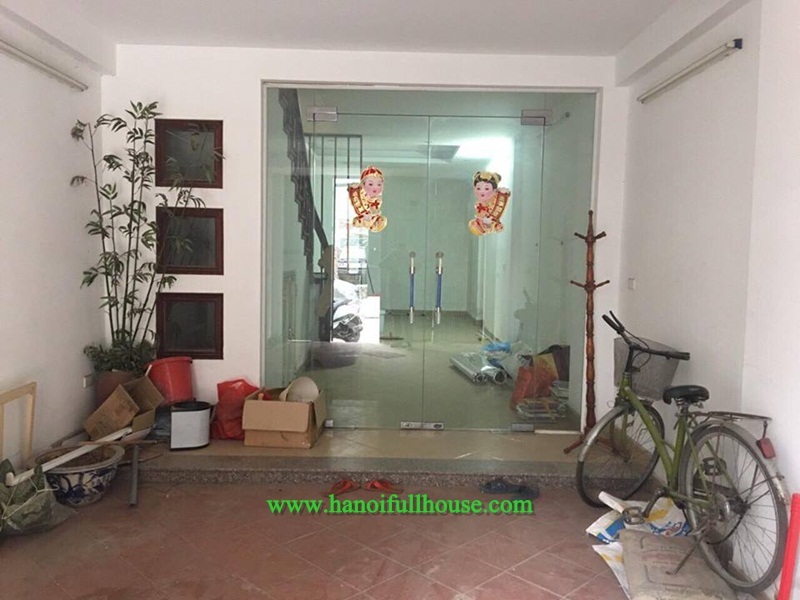 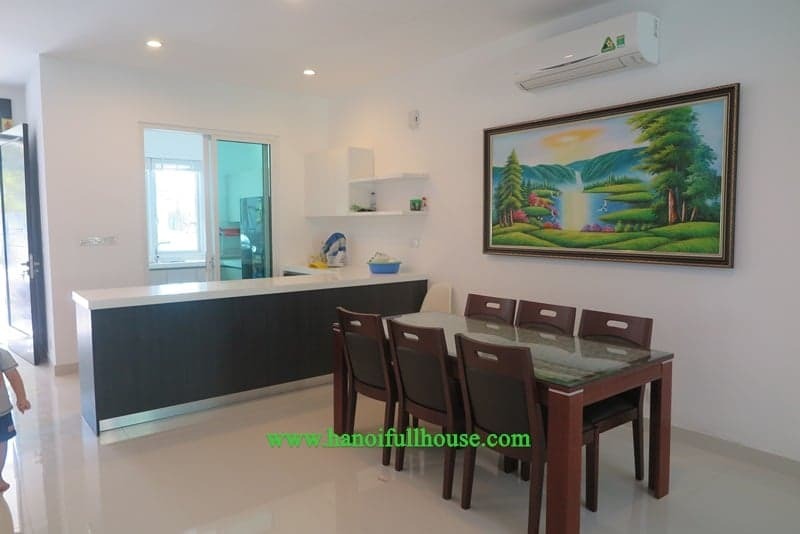 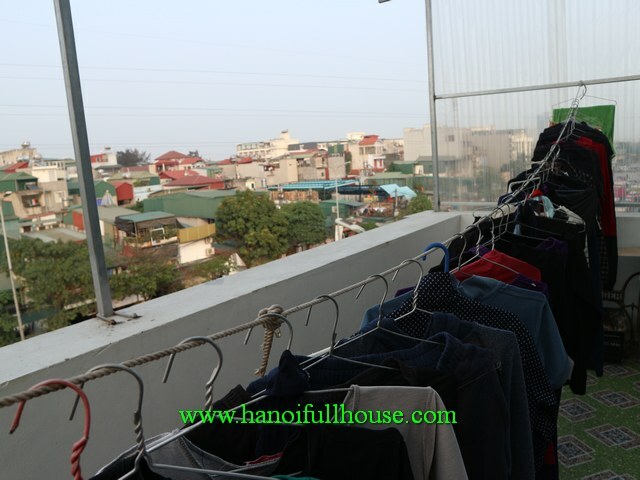 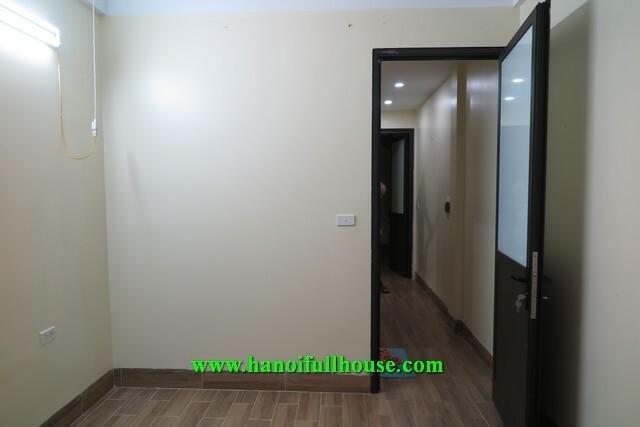 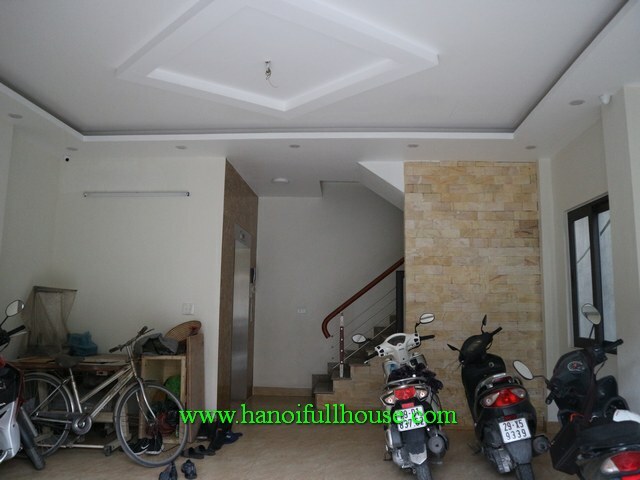 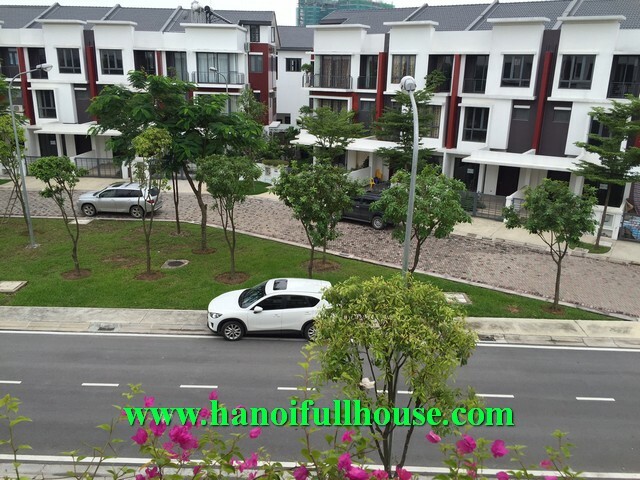 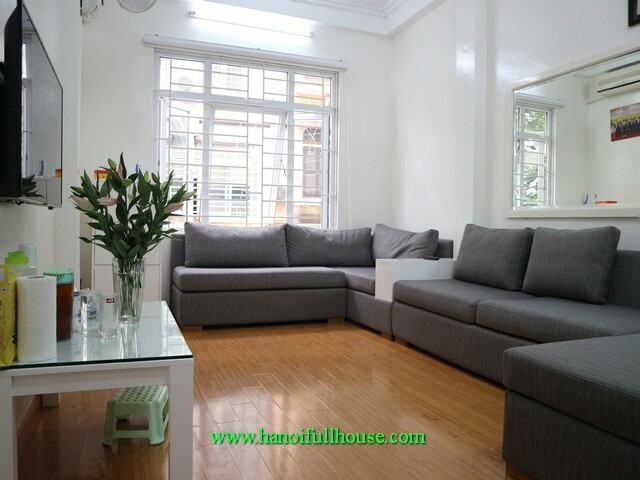 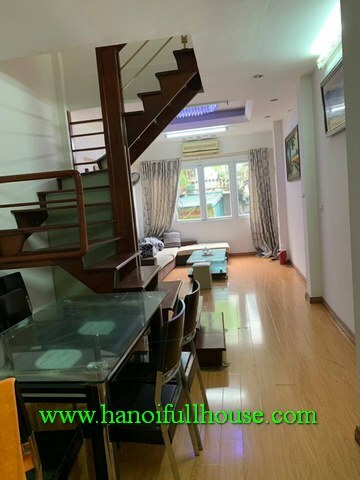 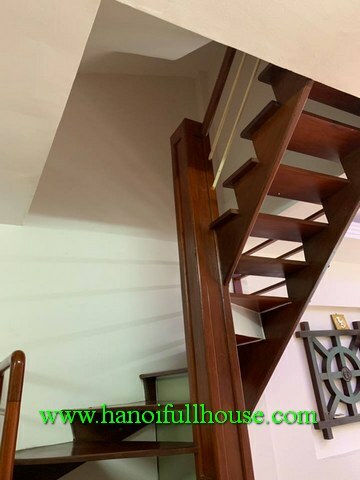 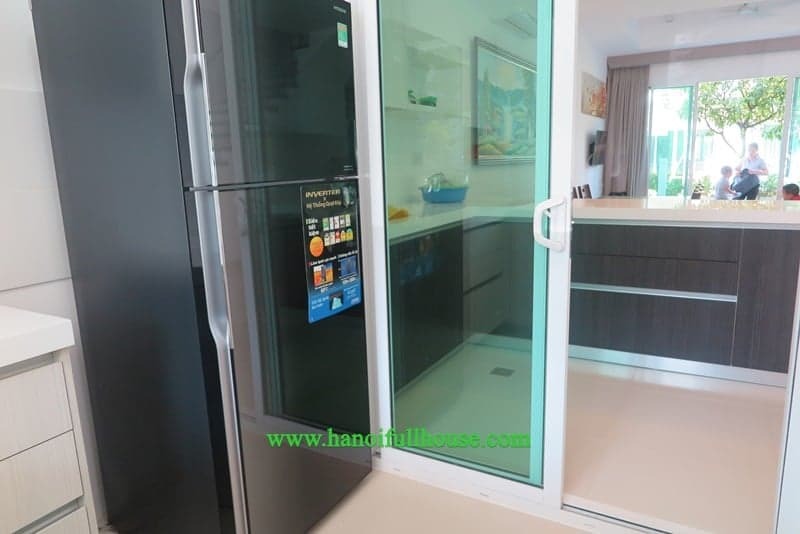 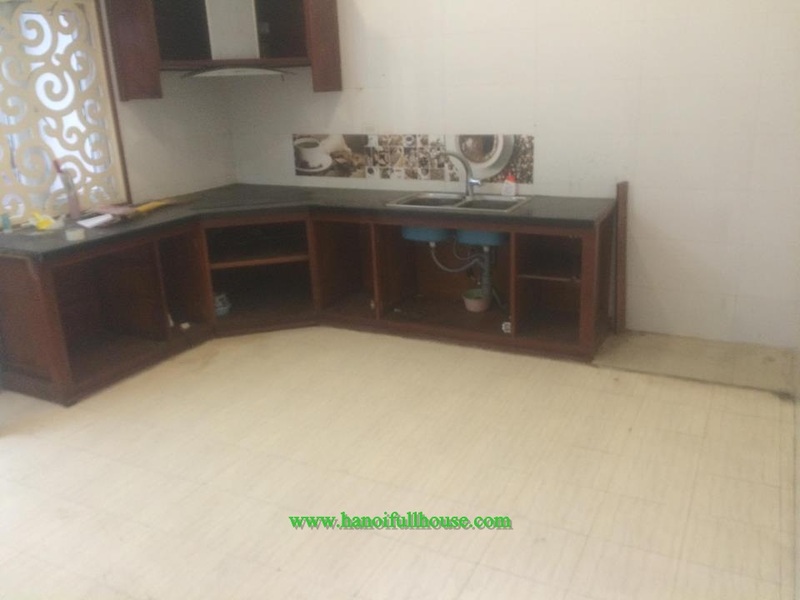 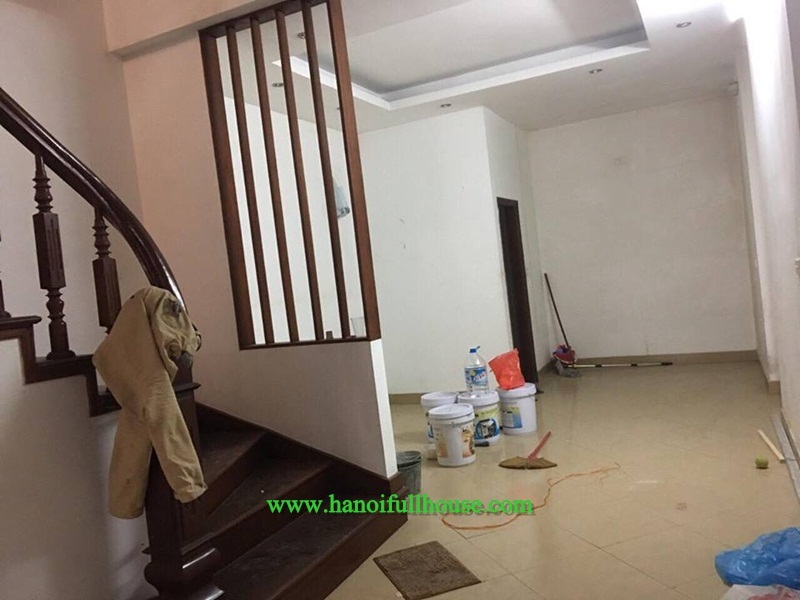 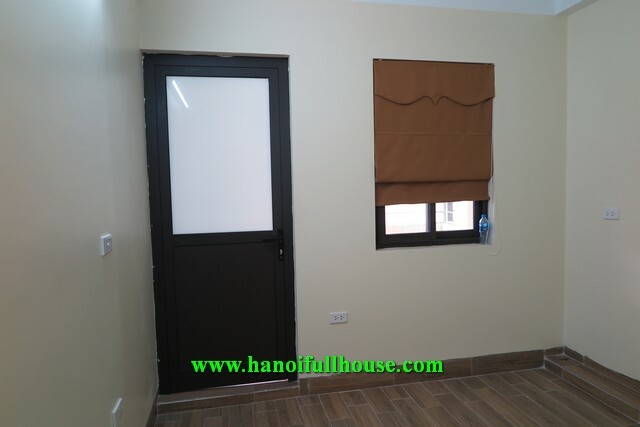 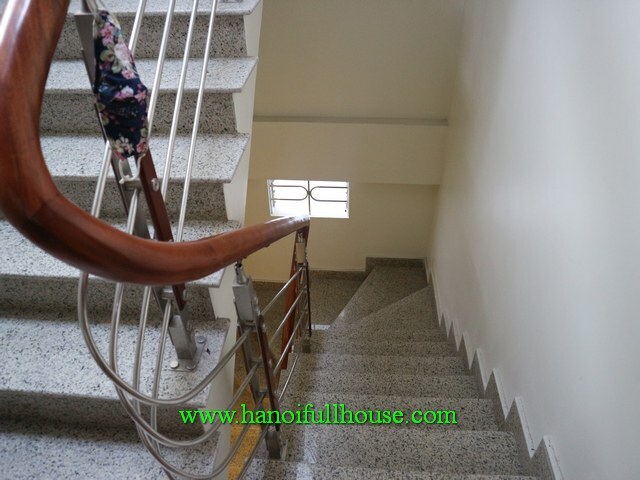 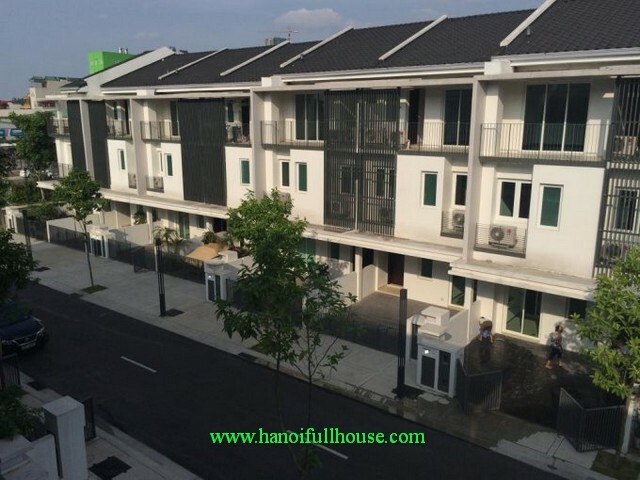 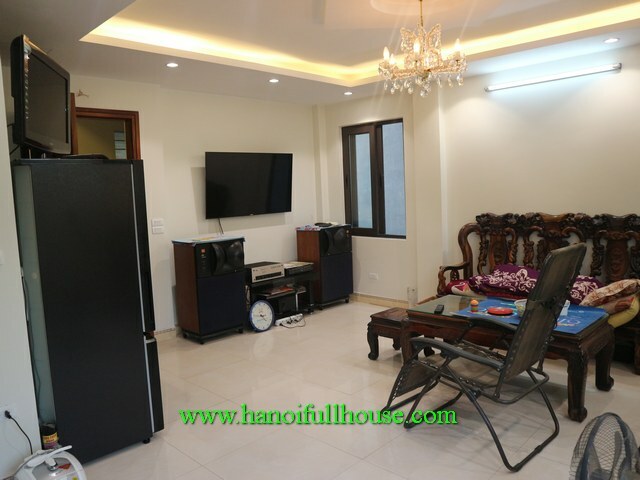 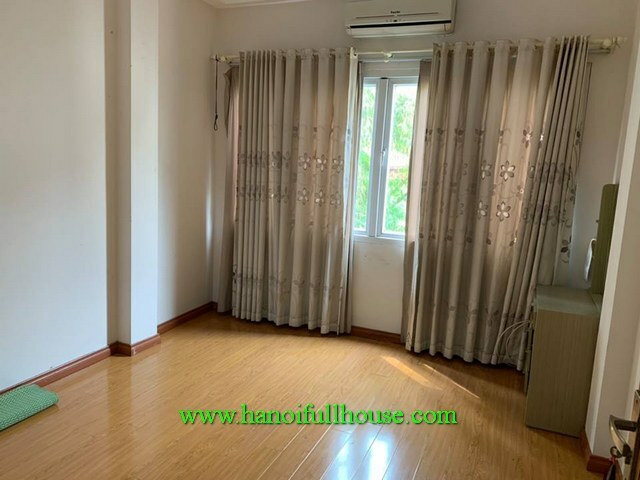 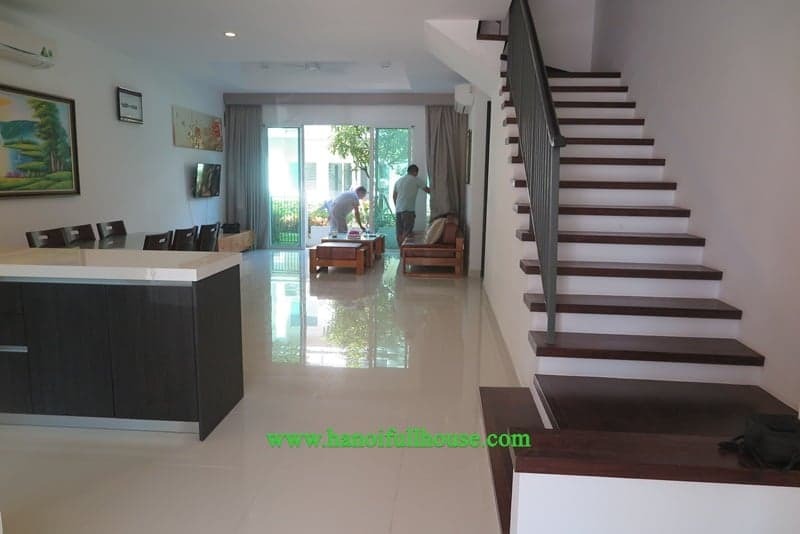 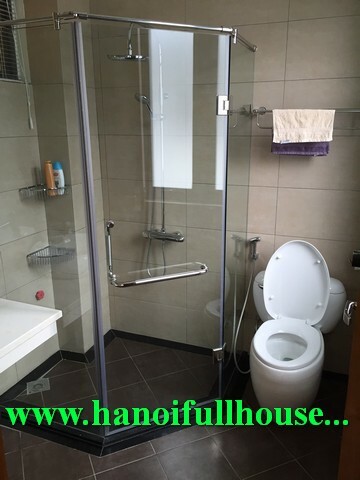 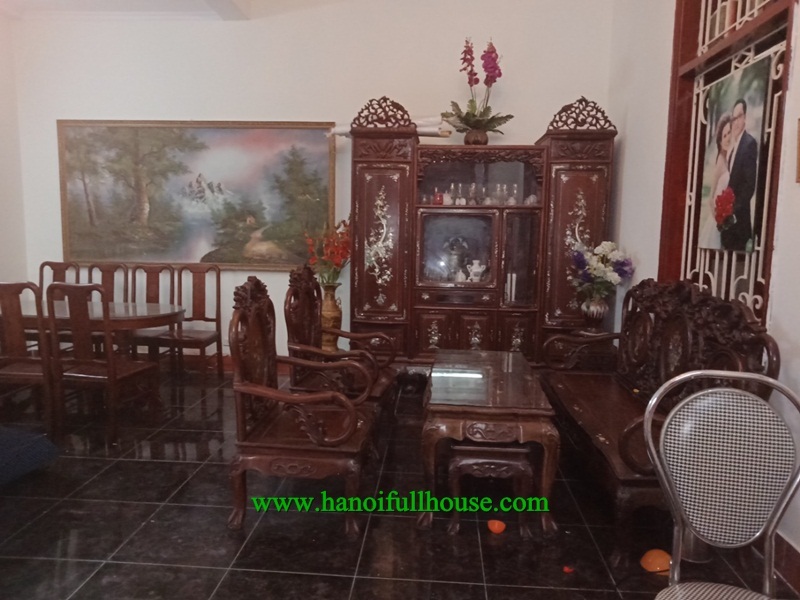 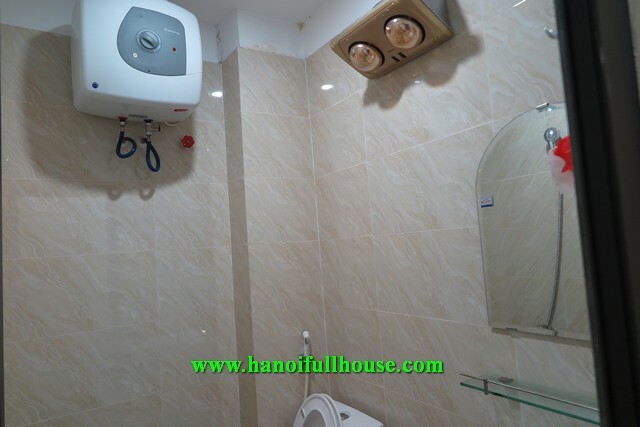 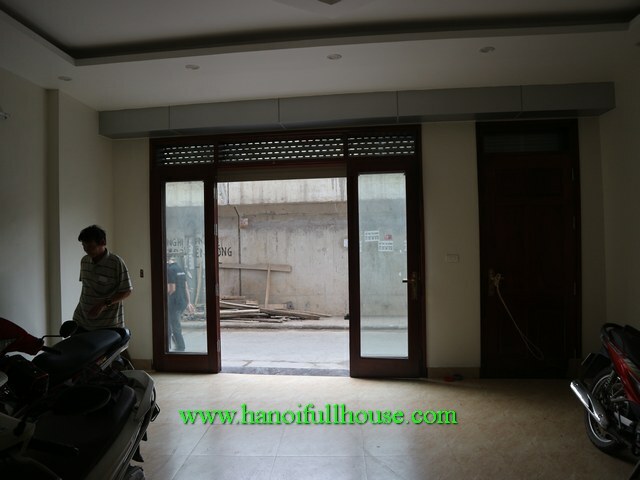 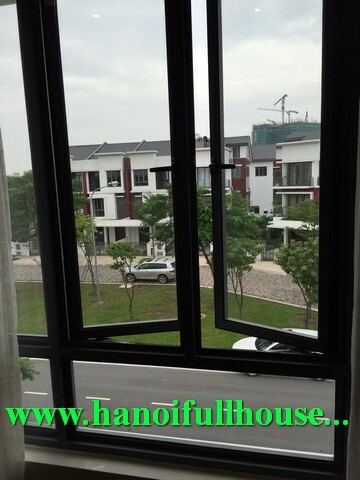 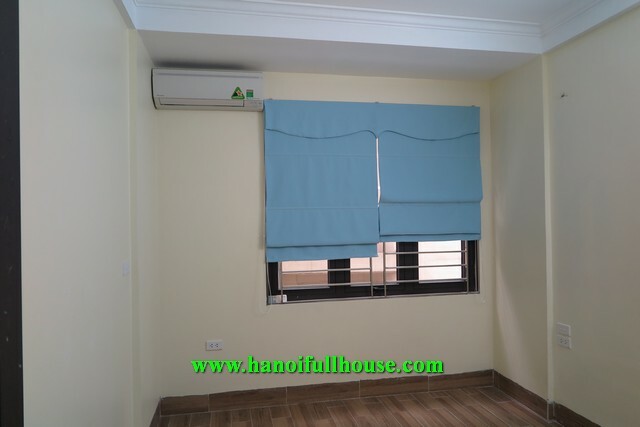 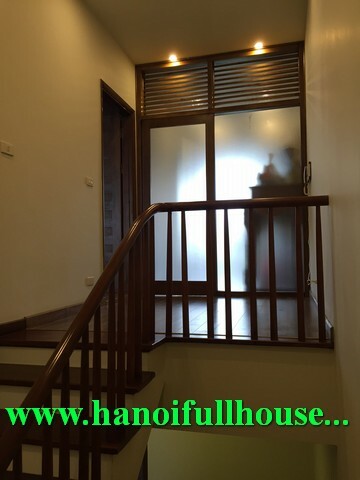 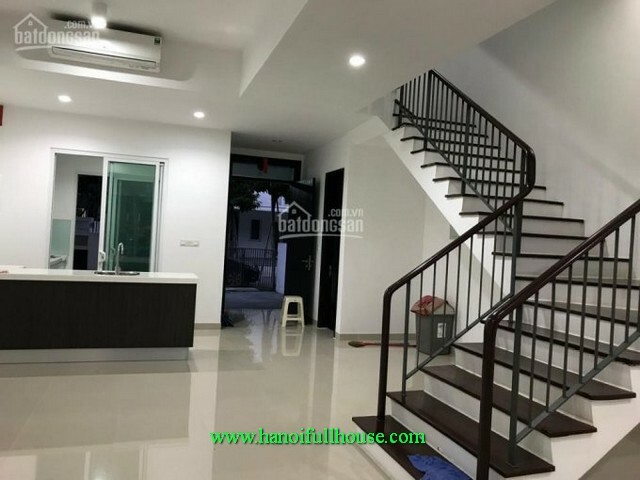 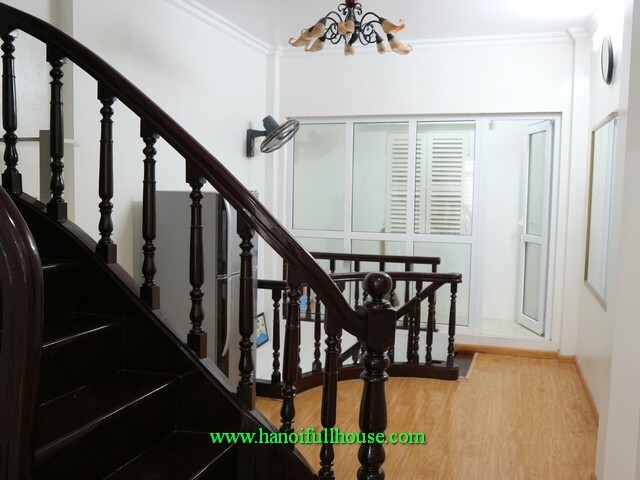 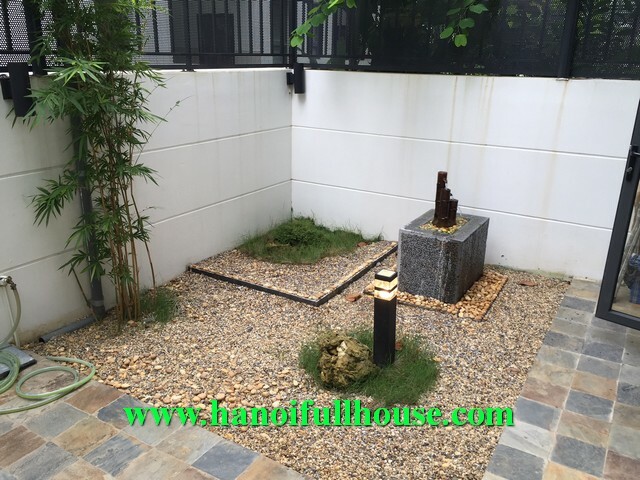 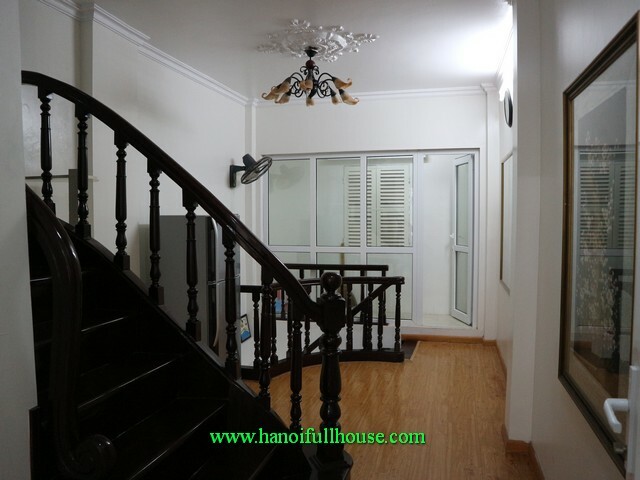 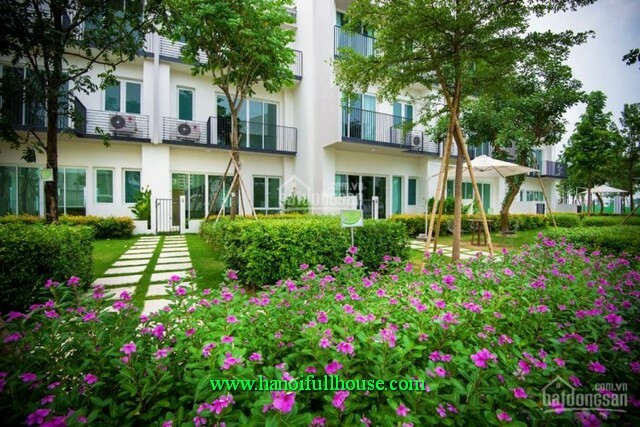 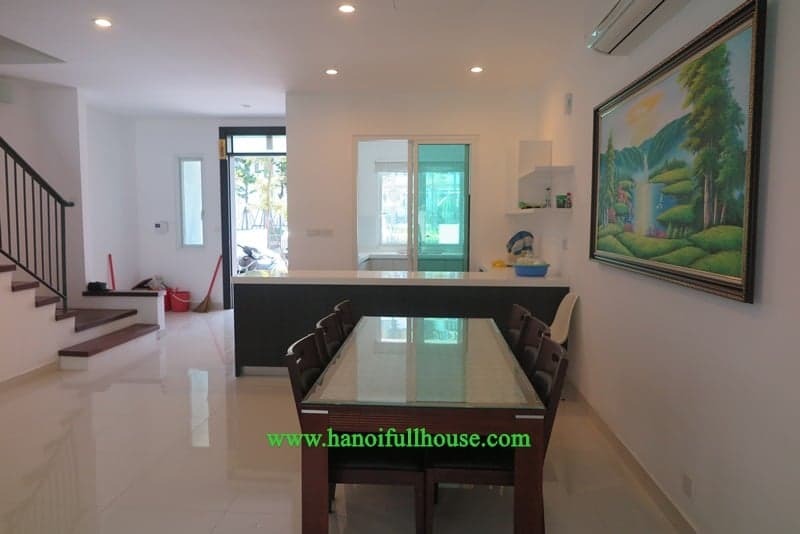 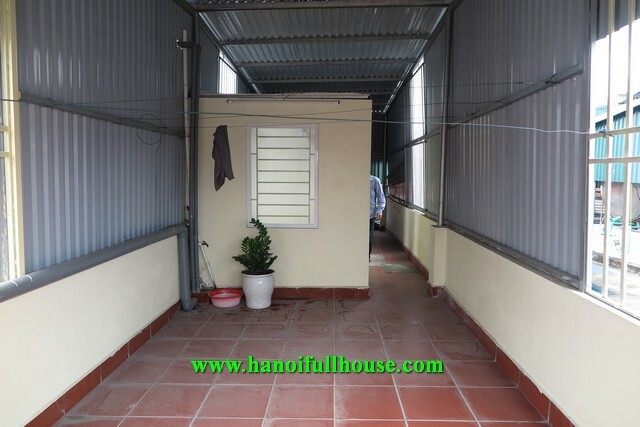 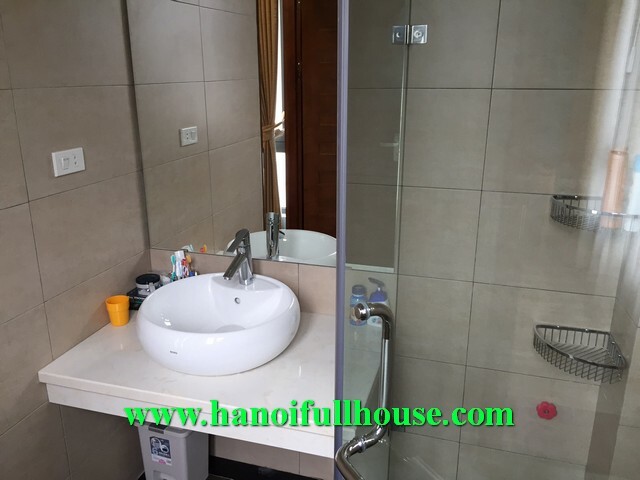 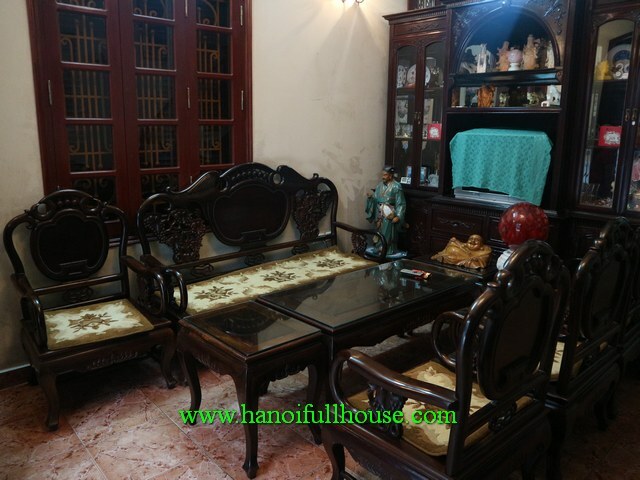 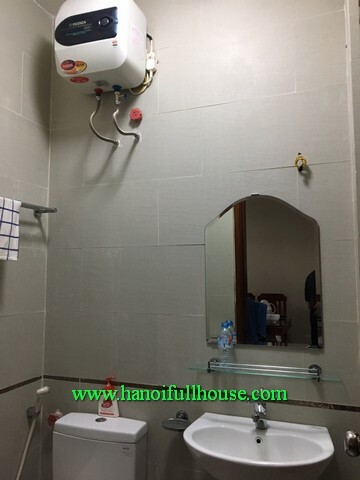 Welcome to Hanoifullhouse property company. 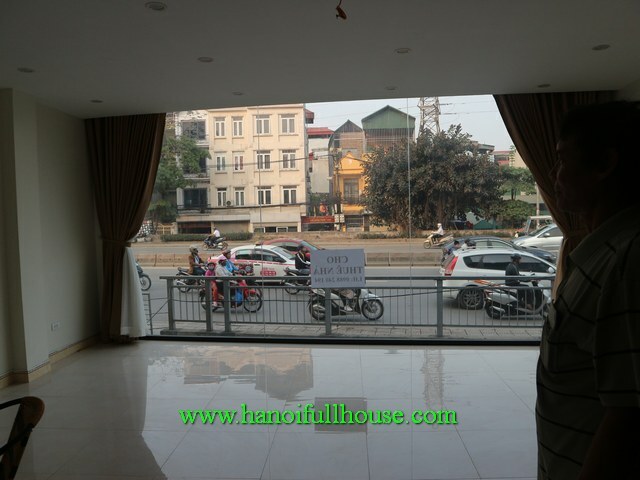 We are the best agents in Hanoi capital. 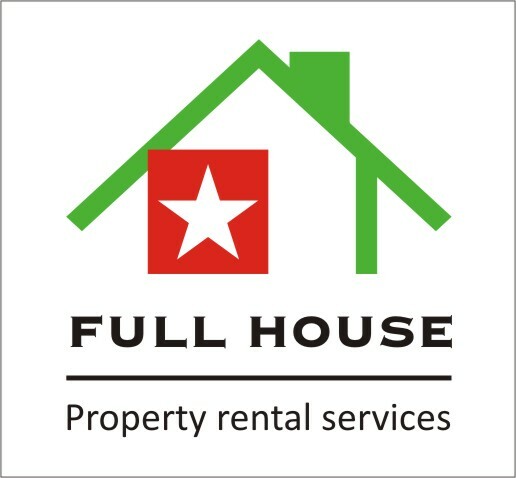 we have a lot of properties for rent and sell. 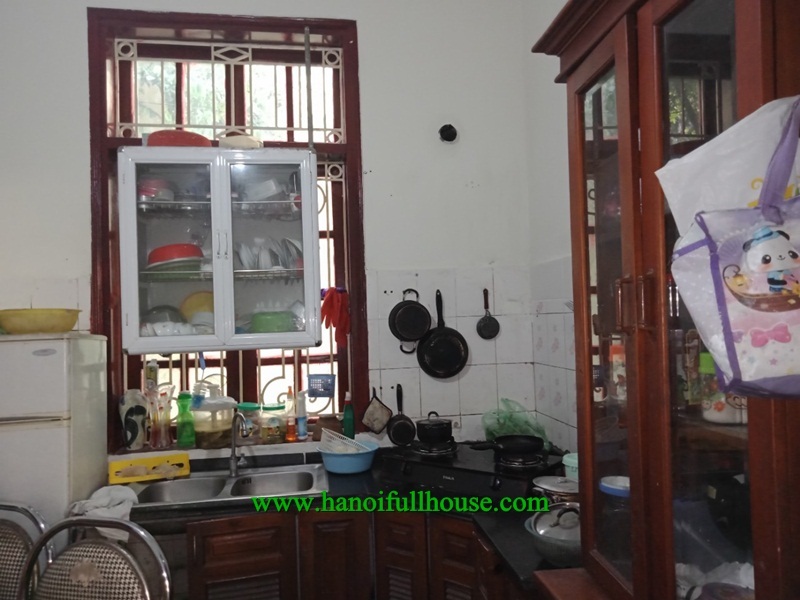 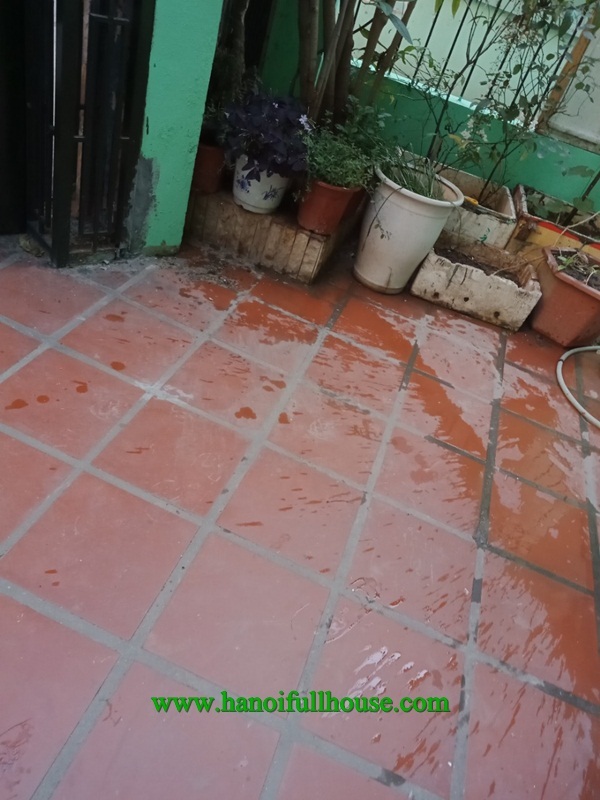 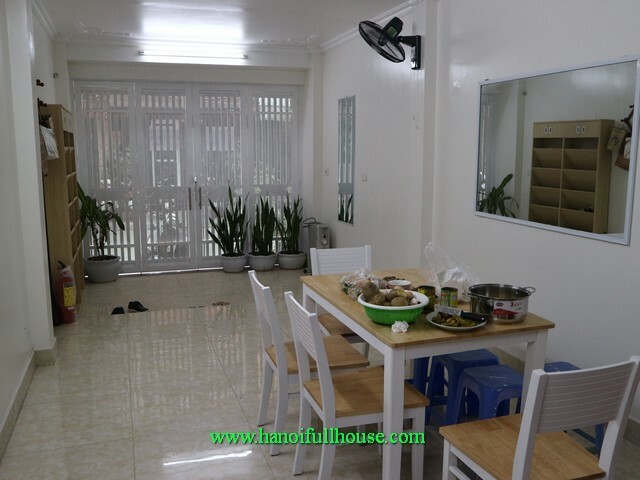 In this post, we introduce a nice house - located in Tran Cung street. 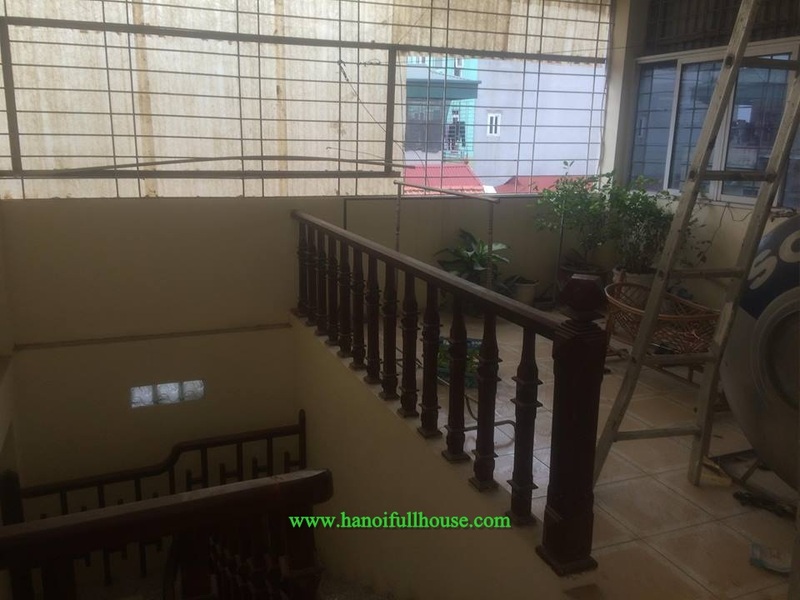 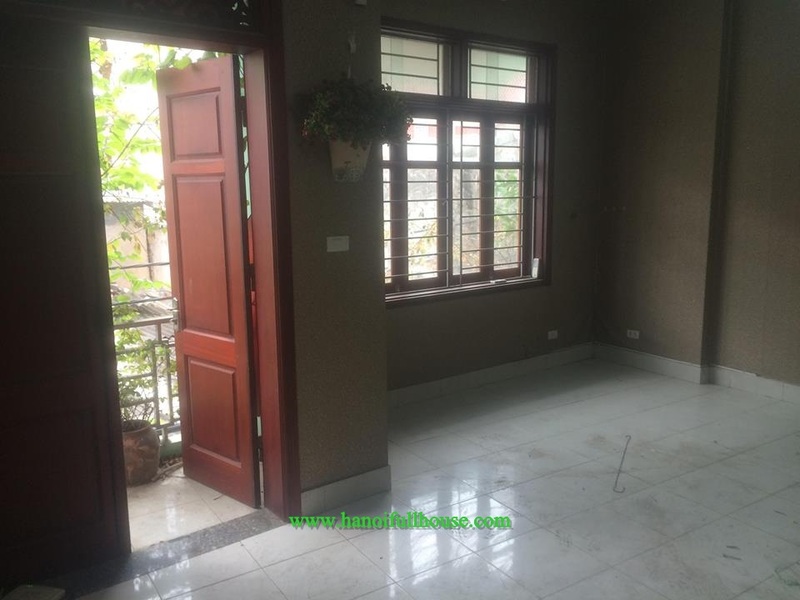 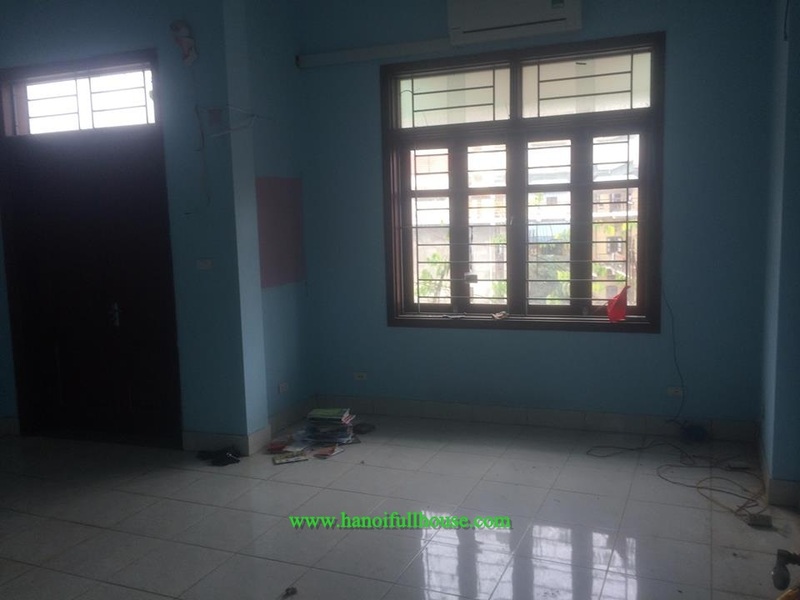 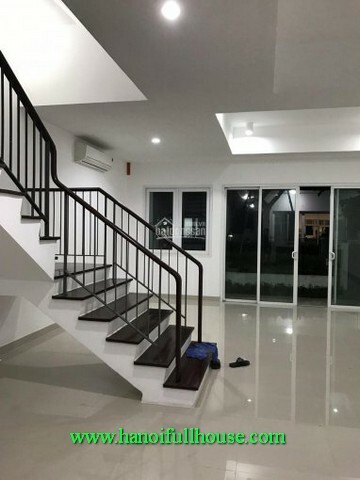 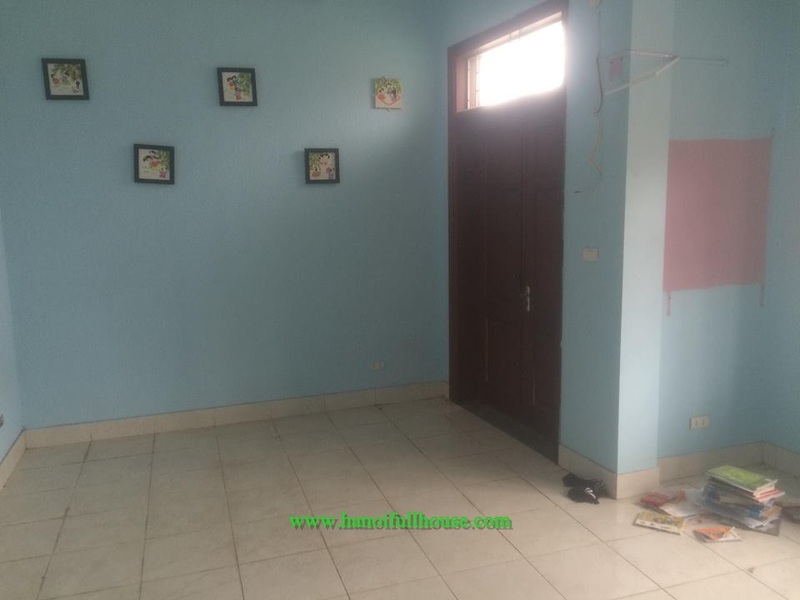 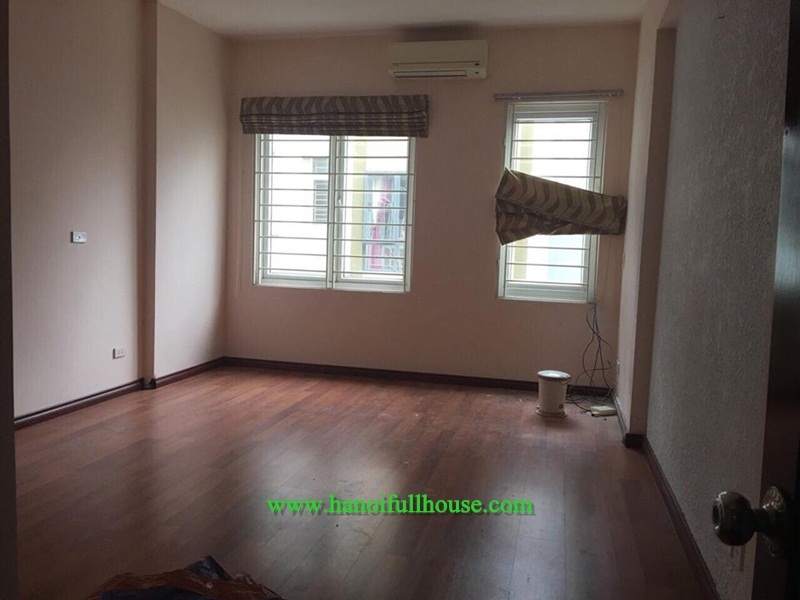 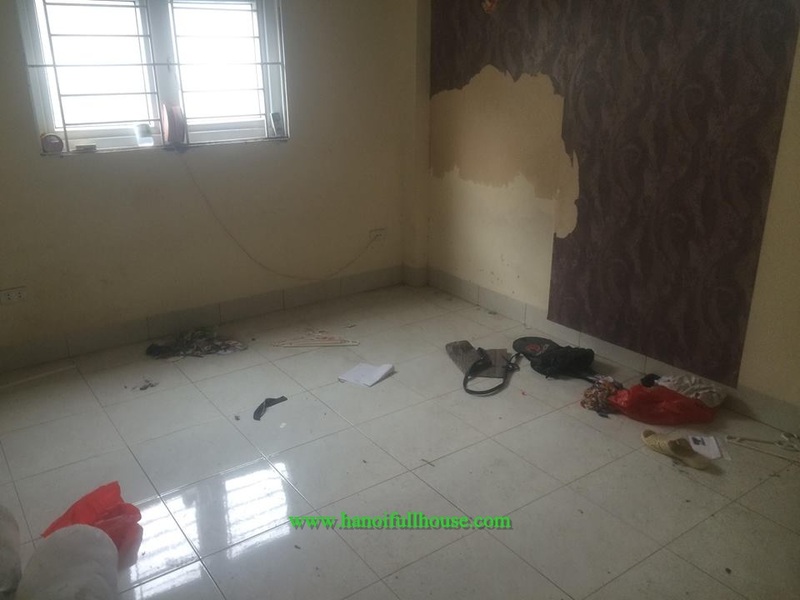 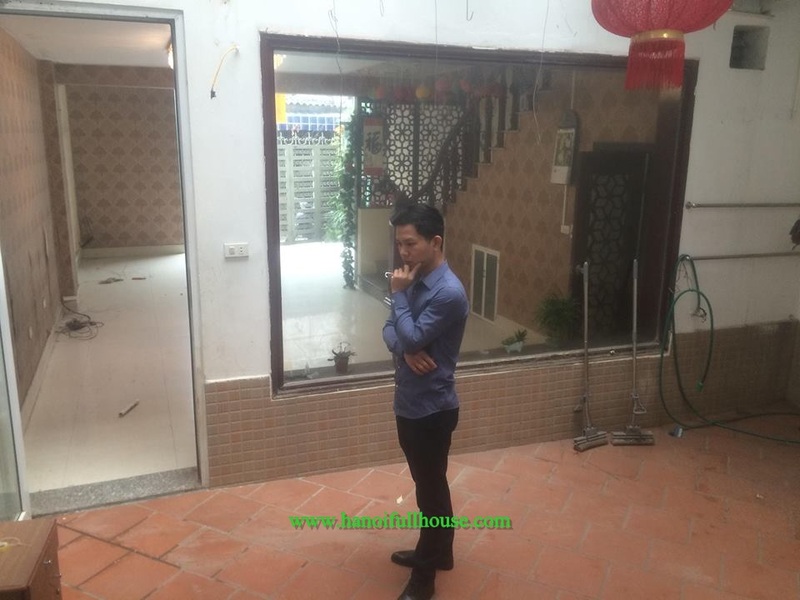 We have this nice house in Tu Liem dist for rent. 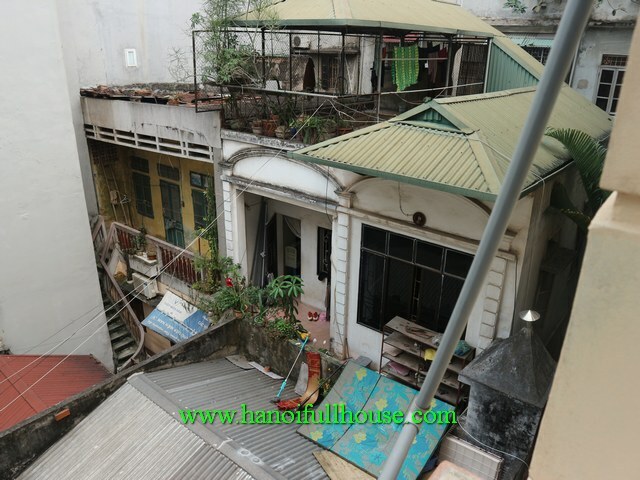 It has 70 sq m. The house has five storeys, a nice terrace. 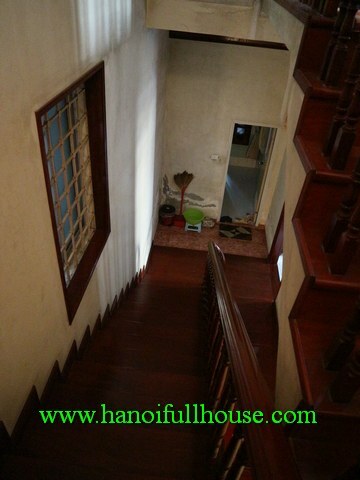 The house has lots of natural light, hardwood floor. 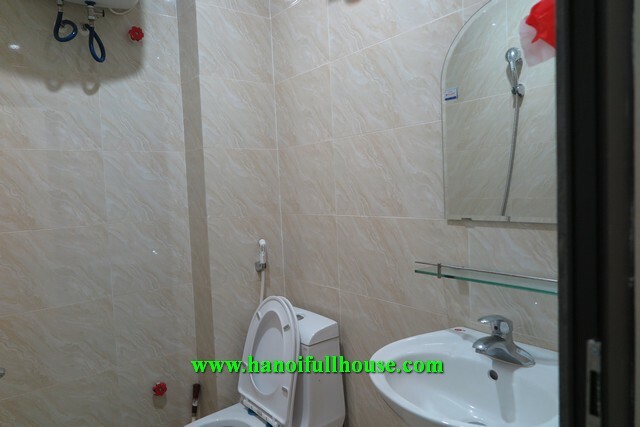 It has a lovely living room and a separate kitchen, there are four bathrooms with modern showers, clean and clear. 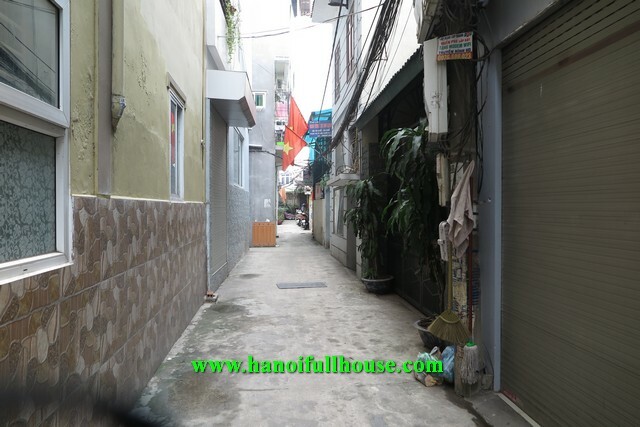 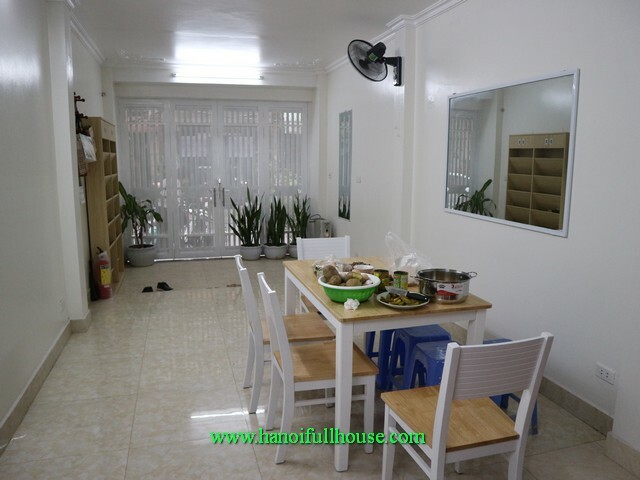 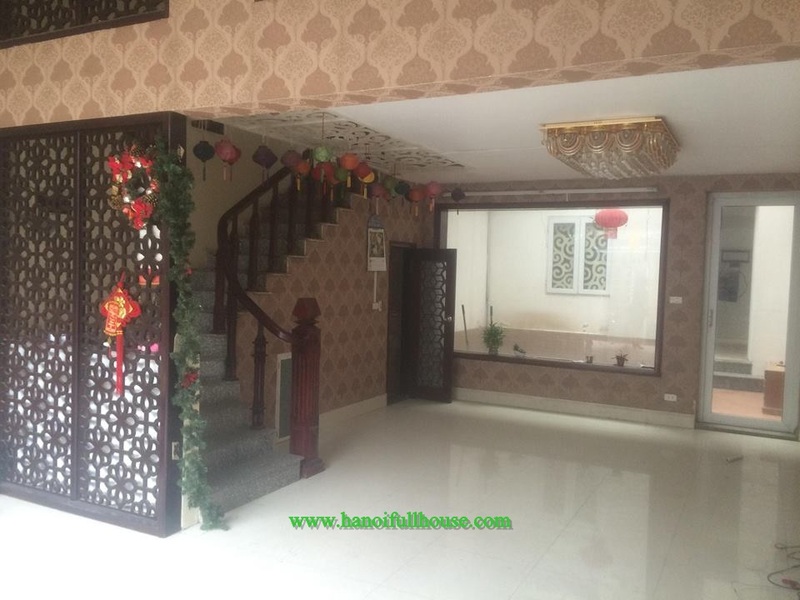 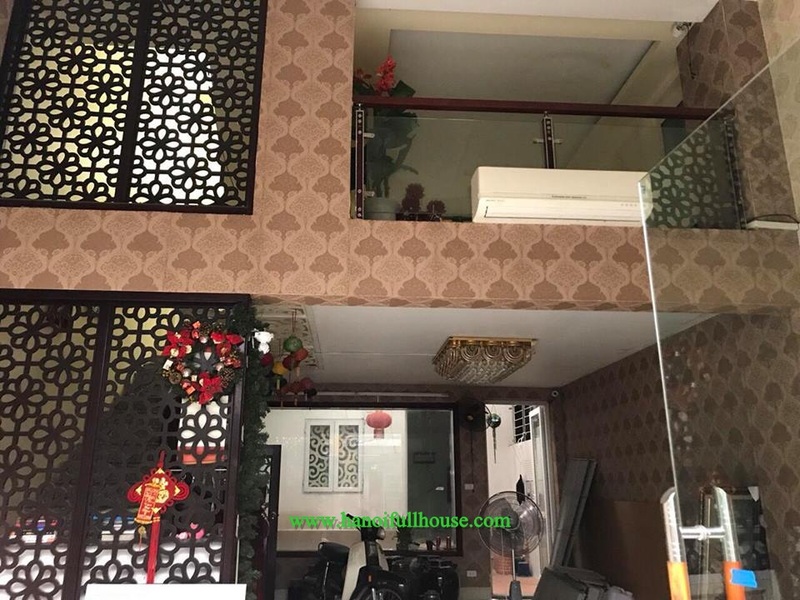 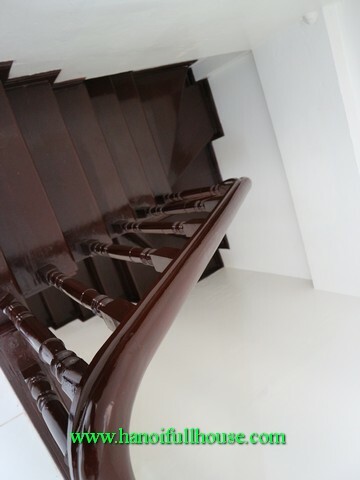 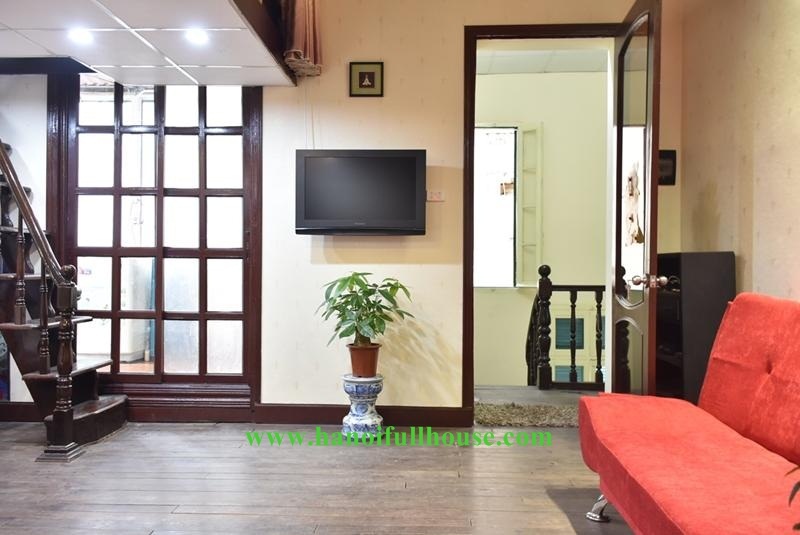 The beautiful house is located in a quiet and safe alley, Ngoc Lam street. 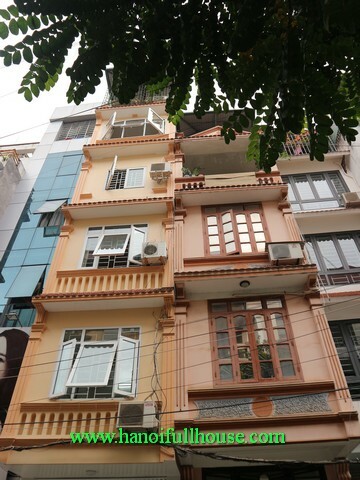 It has 35 sq m x 5 storeys. 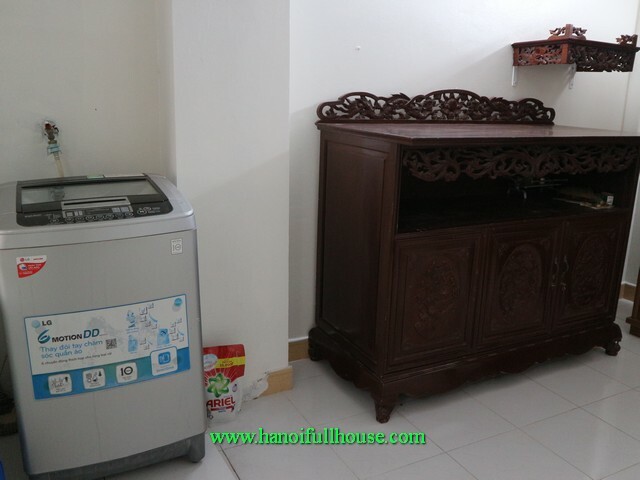 The usable is small but very convenient with fully furniture and equipment. 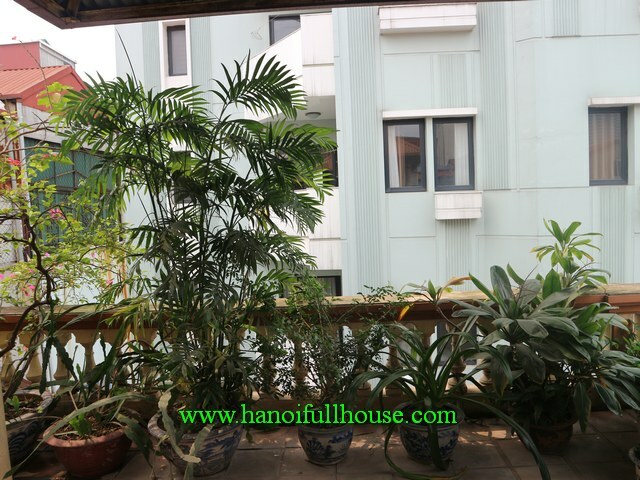 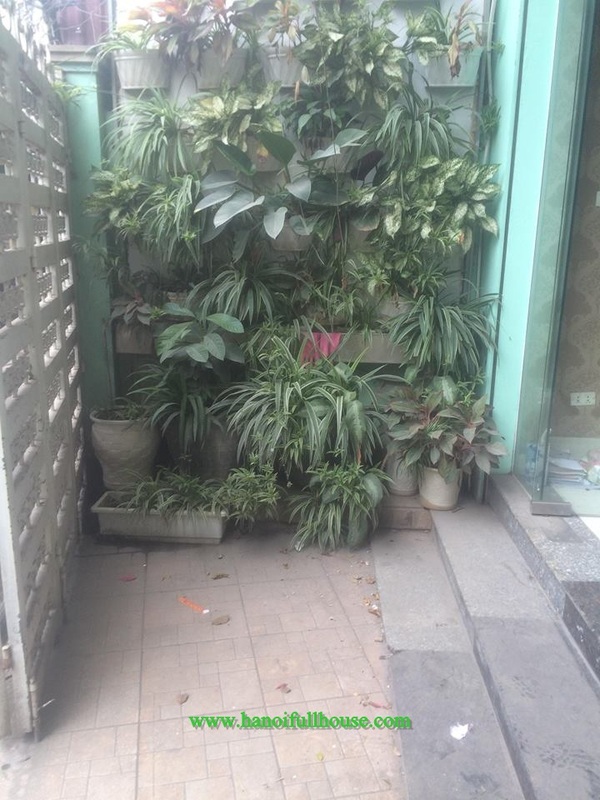 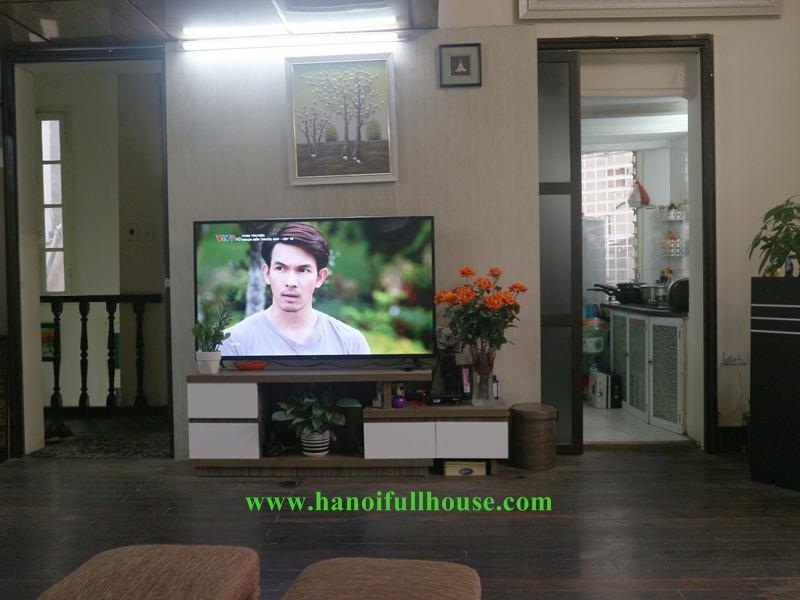 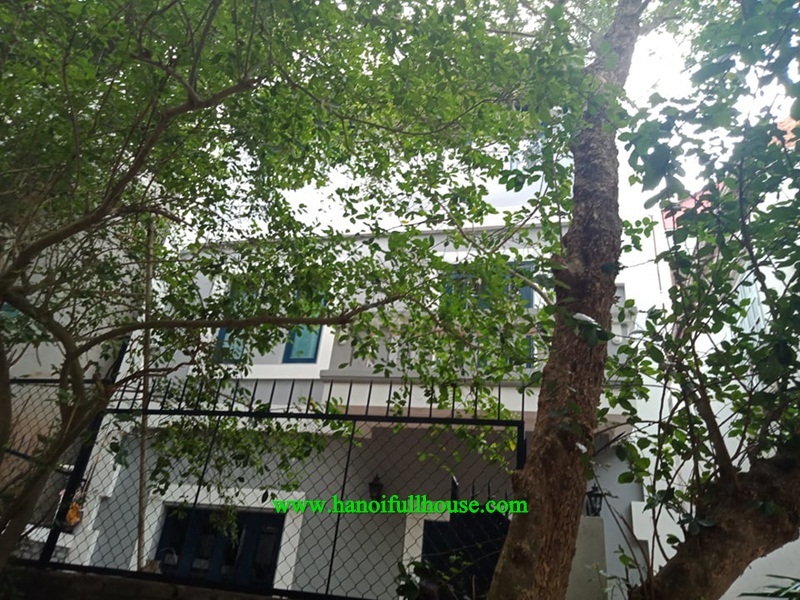 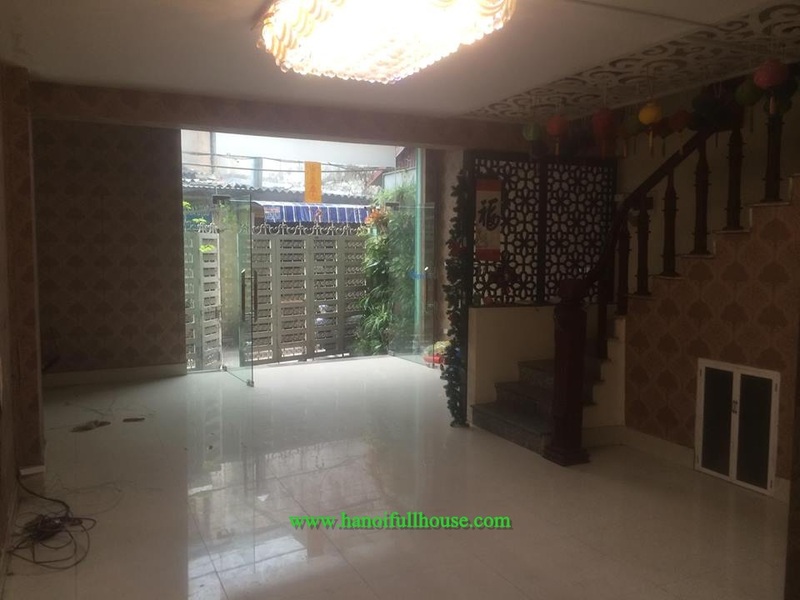 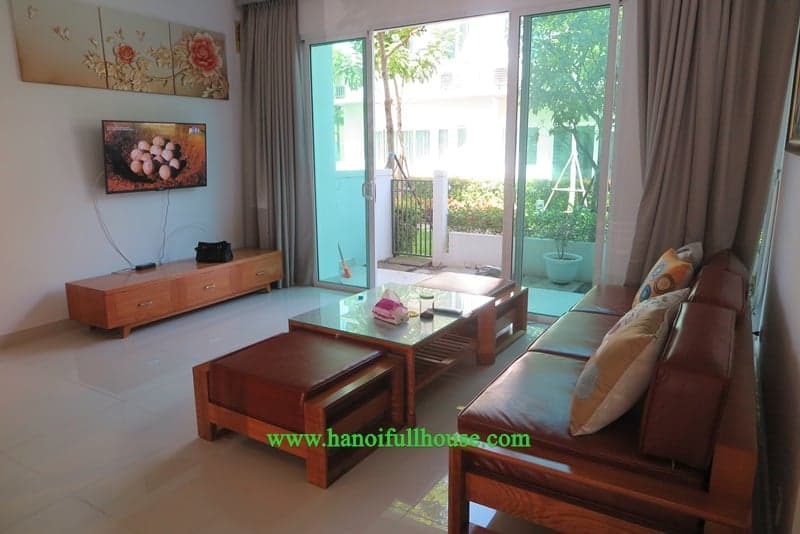 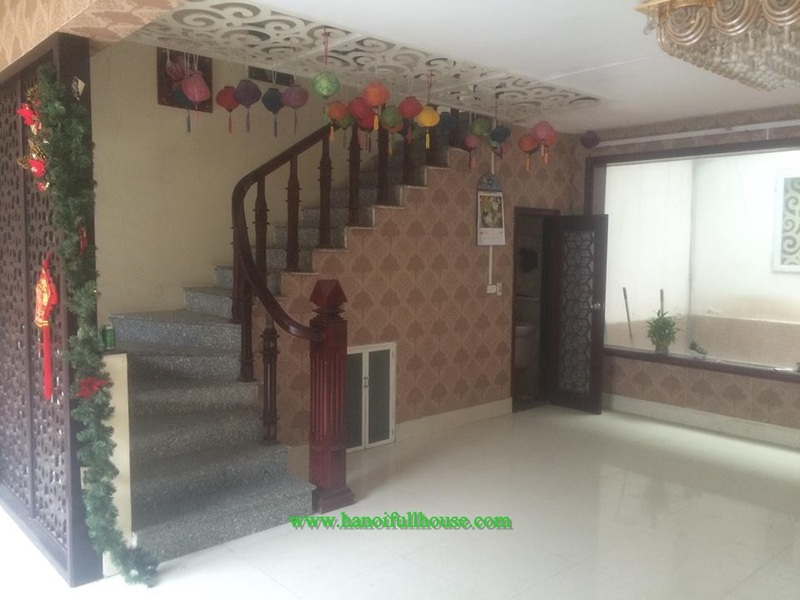 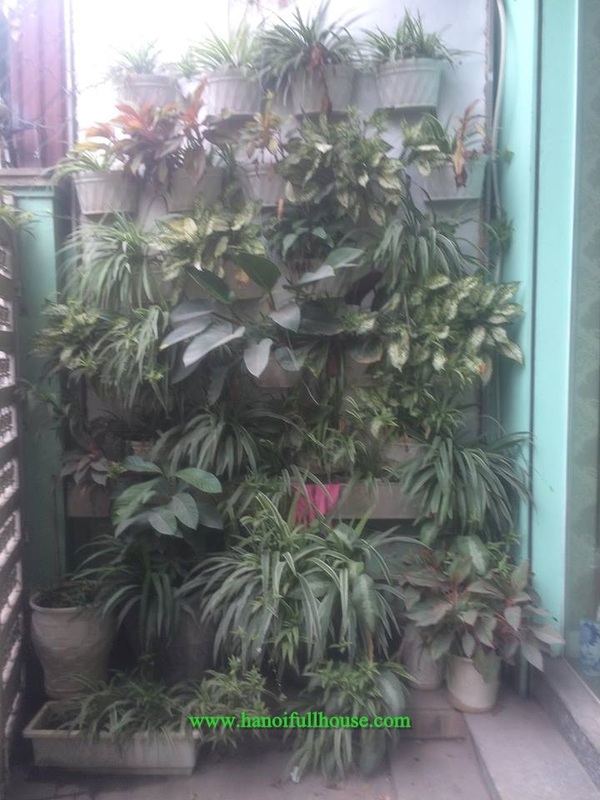 An amazing house in Tuong Mai street with a lot of trees, great garden, cheap price for rent. 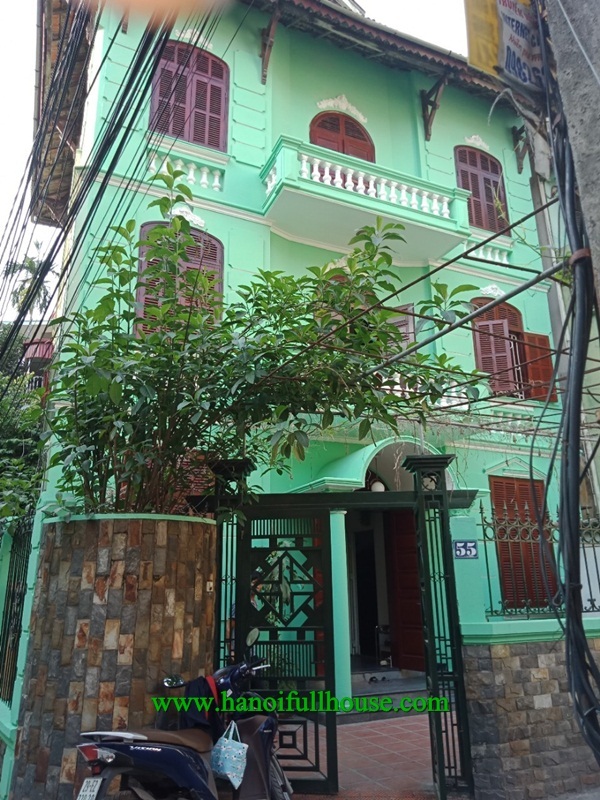 This house is located in Tuong Mai street, Hoang Mai Dist. 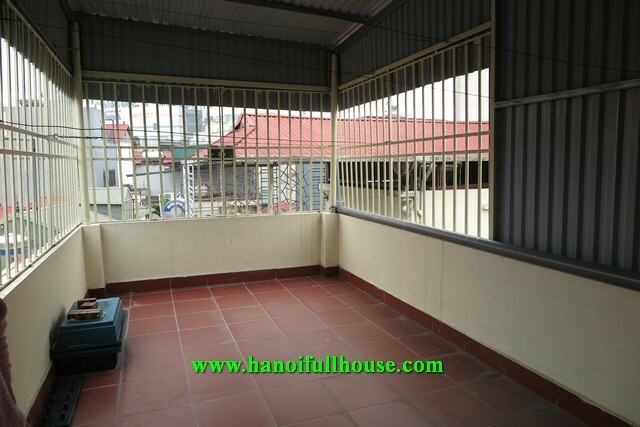 It has 4 stories with usable of each floor 80 sqm. 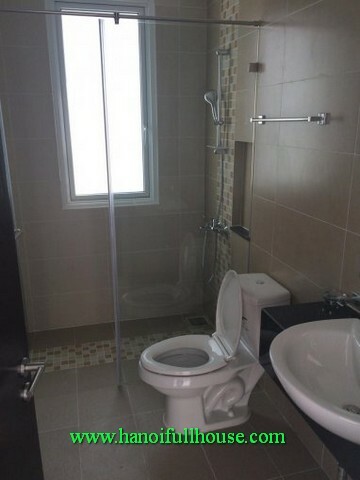 It has four bedrooms and four bathrooms. 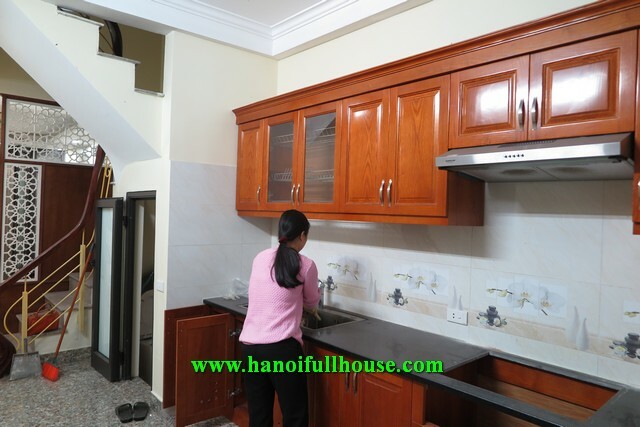 A nice living room and a perfect kitchen.